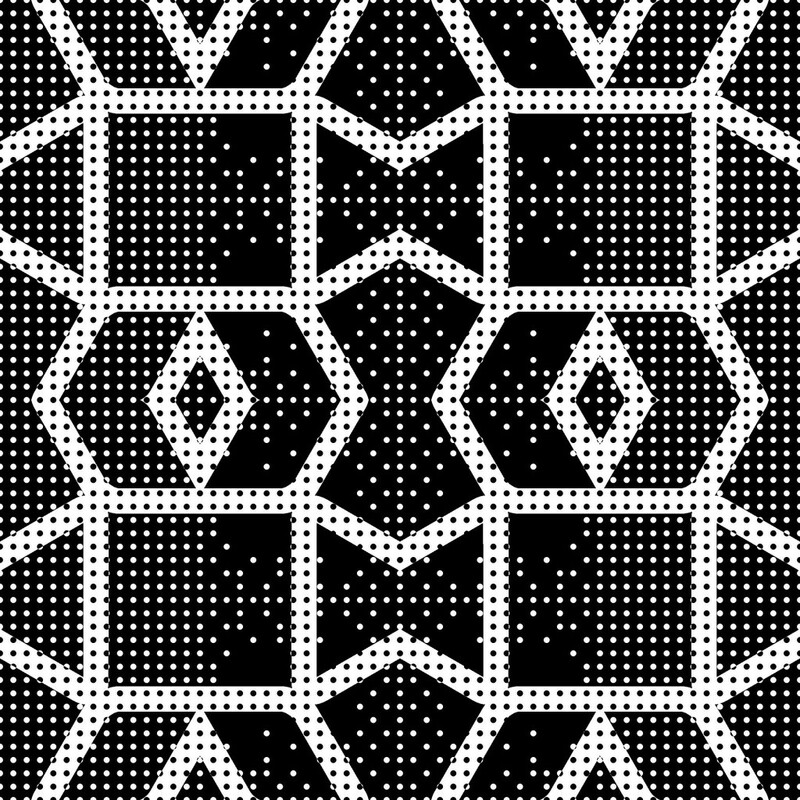 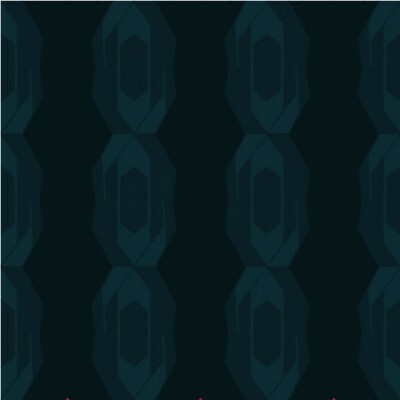 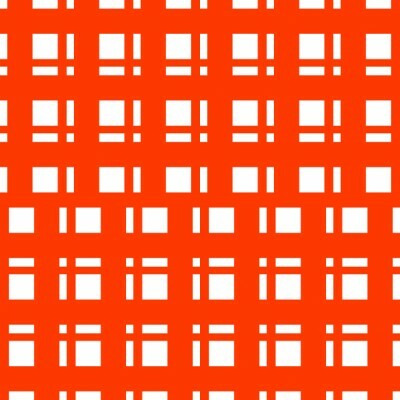 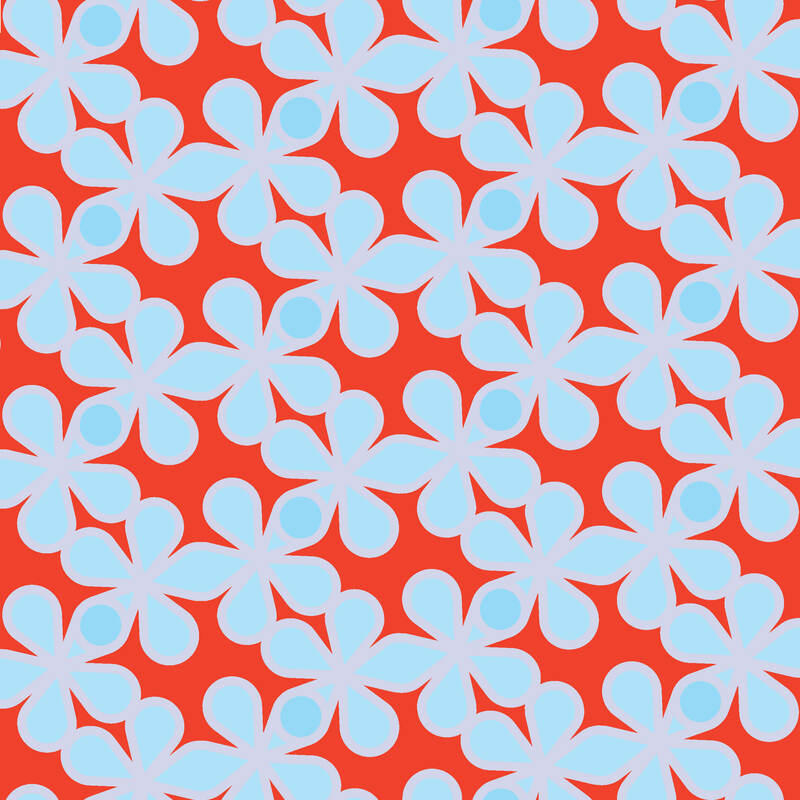 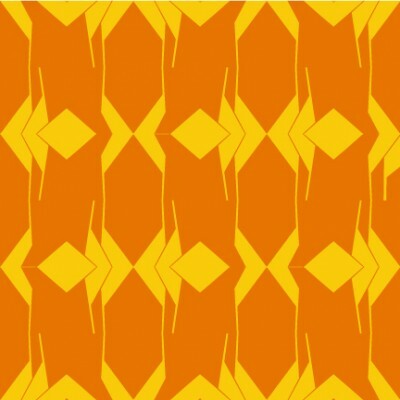 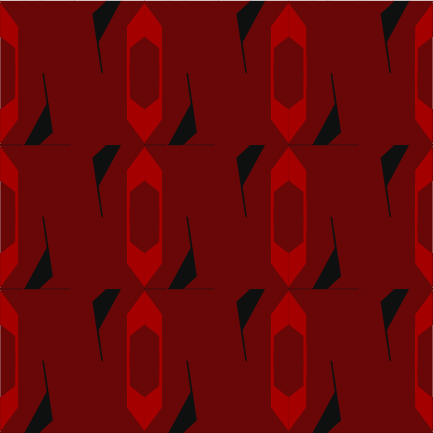 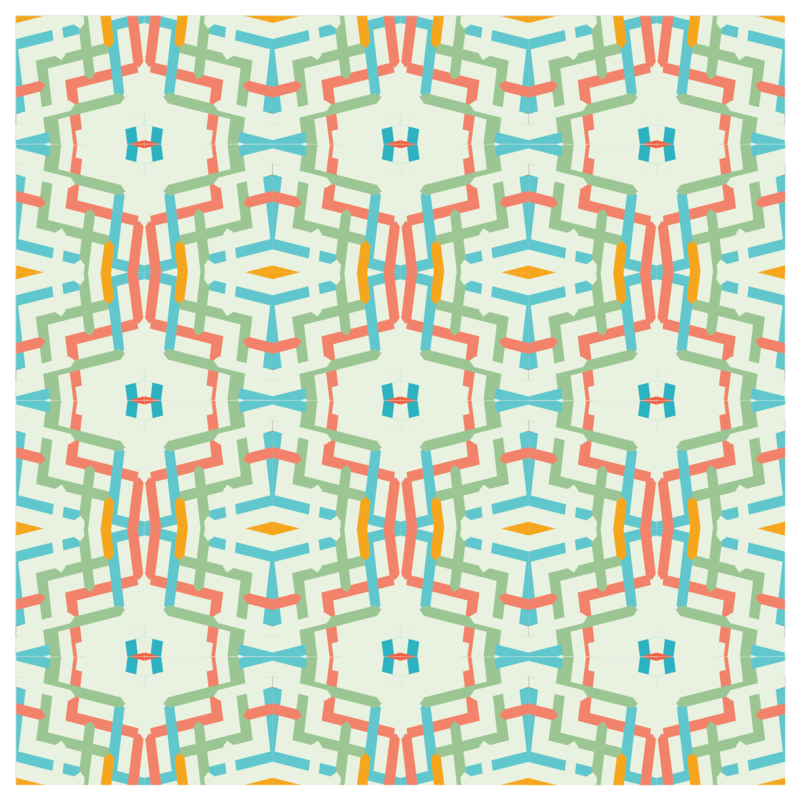 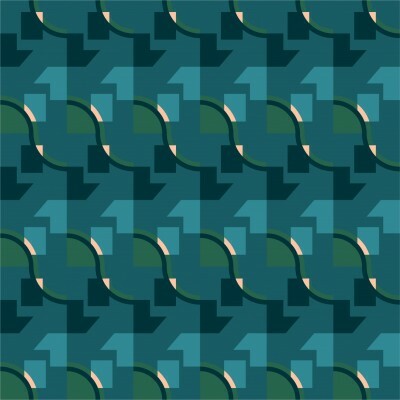 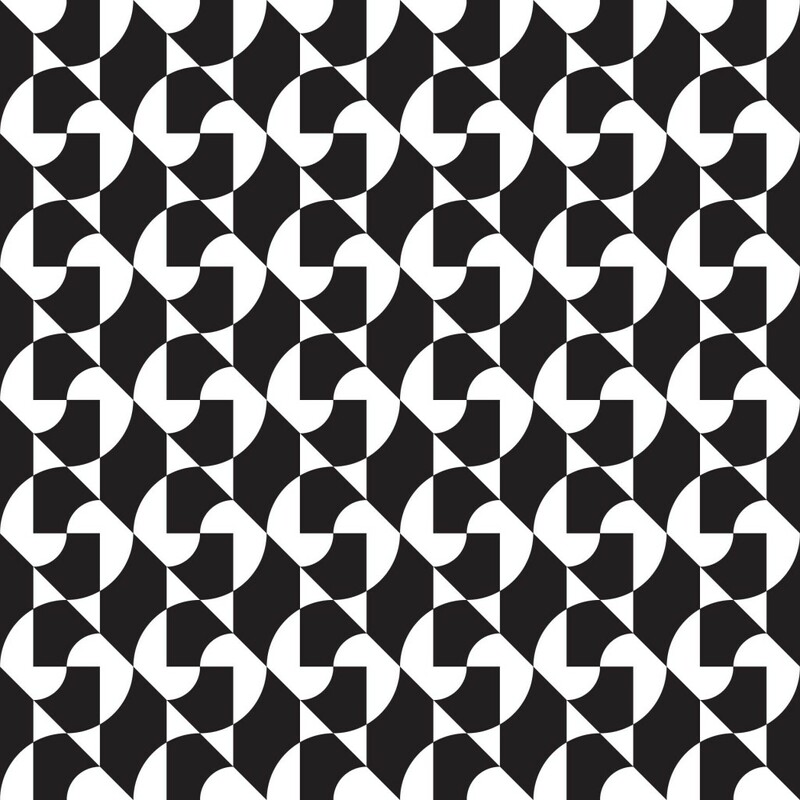 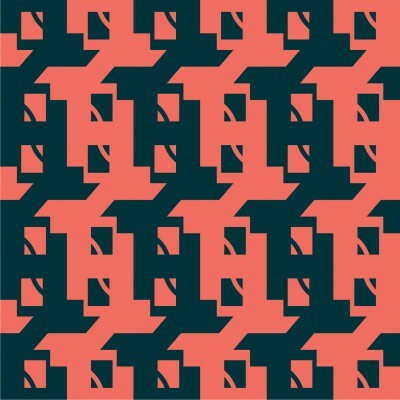 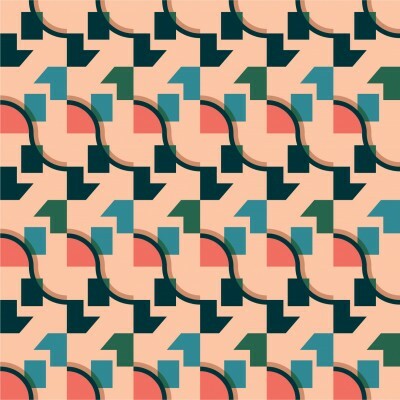 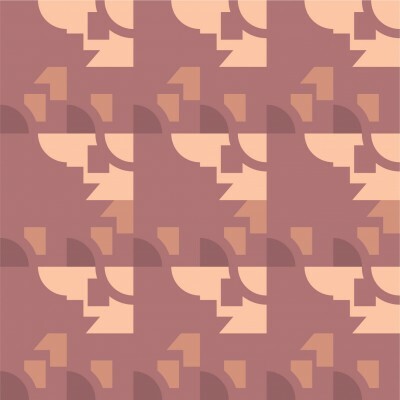 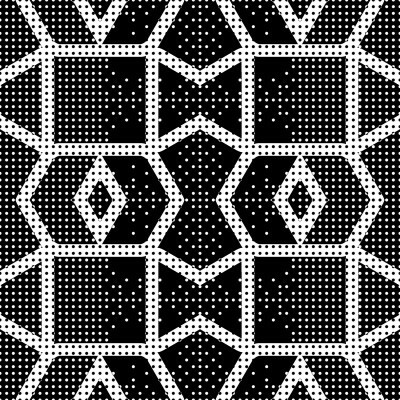 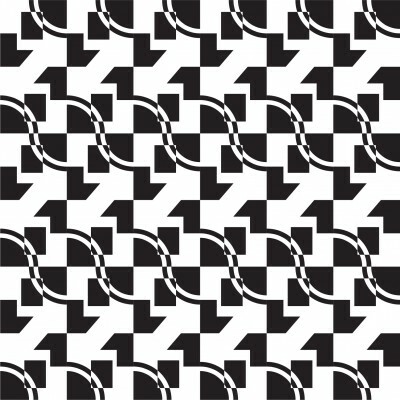 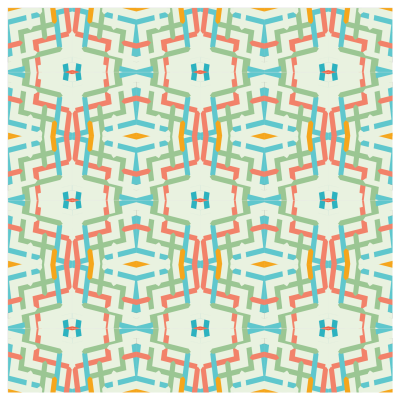 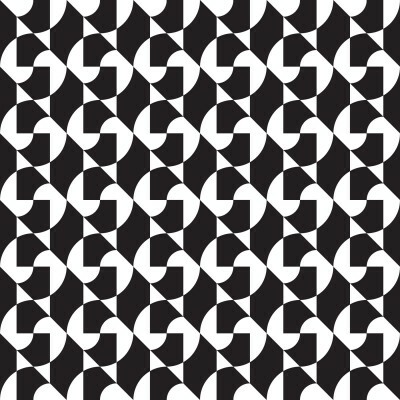 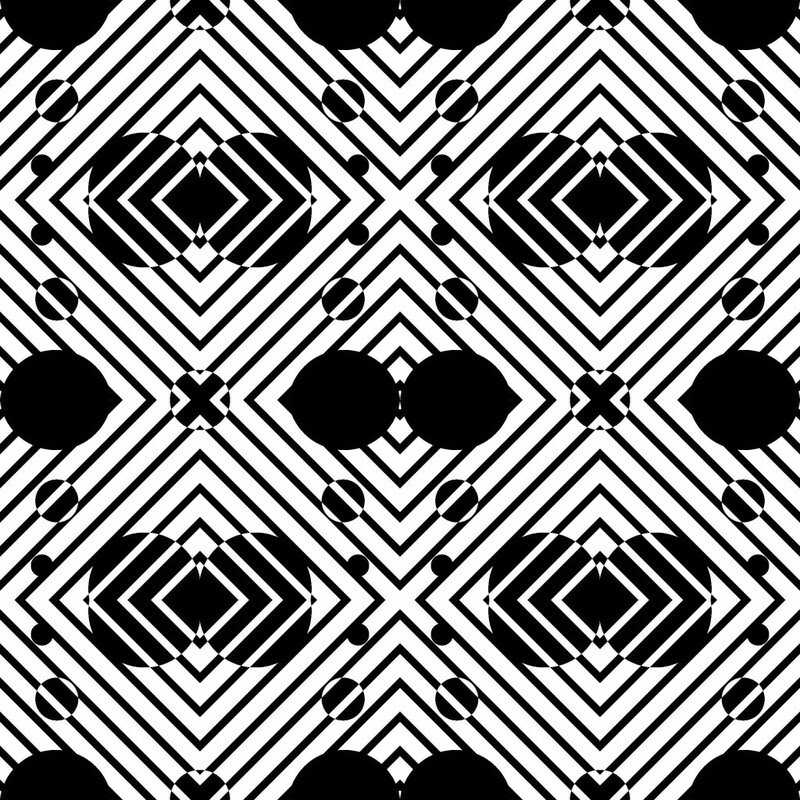 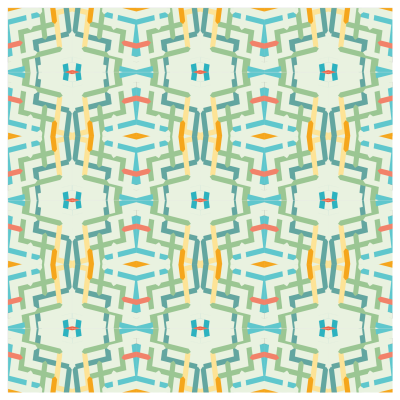 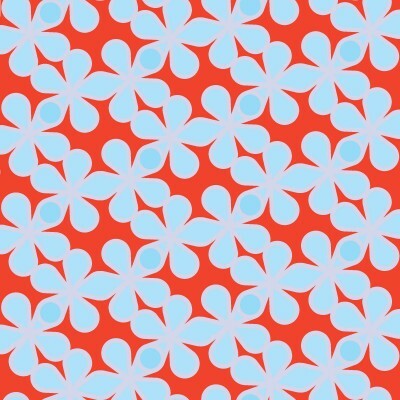 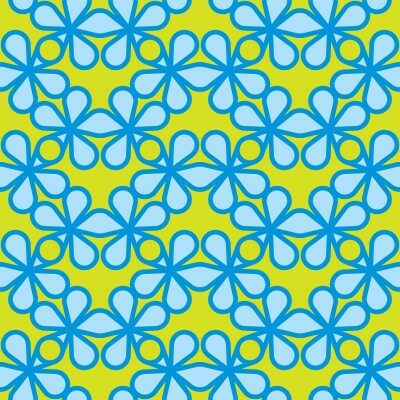 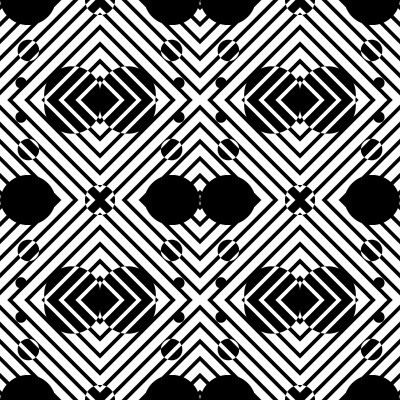 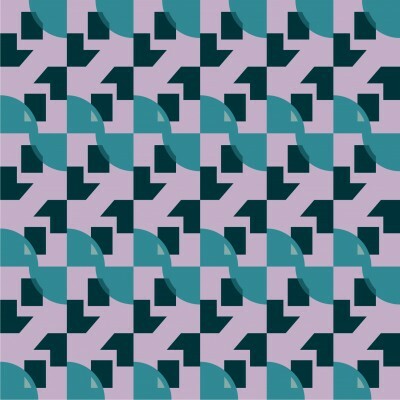 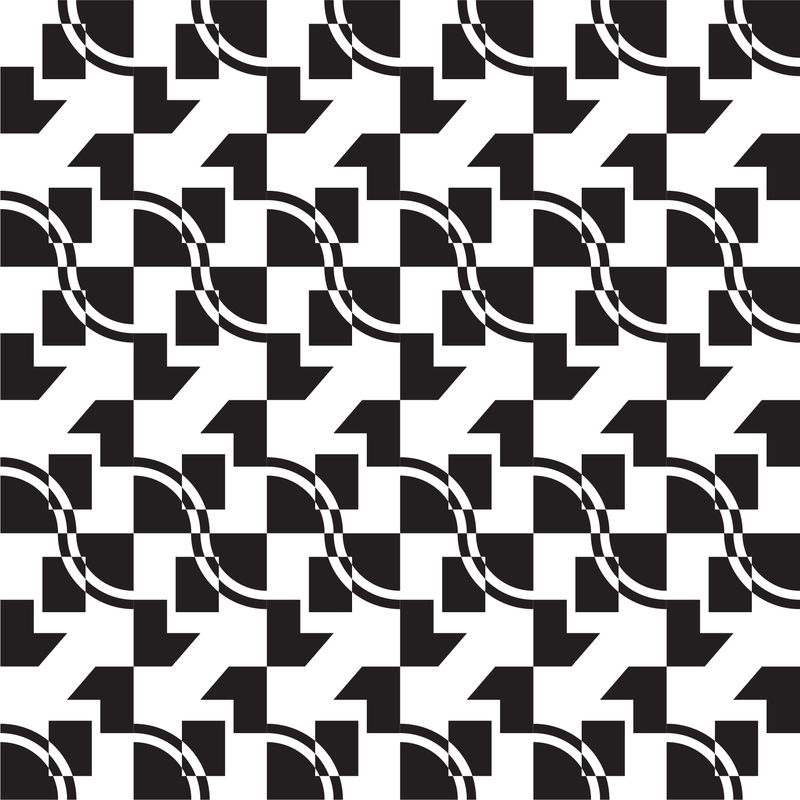 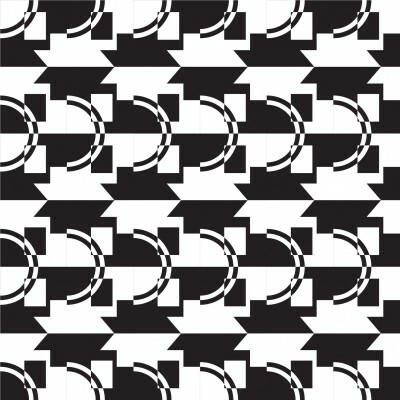 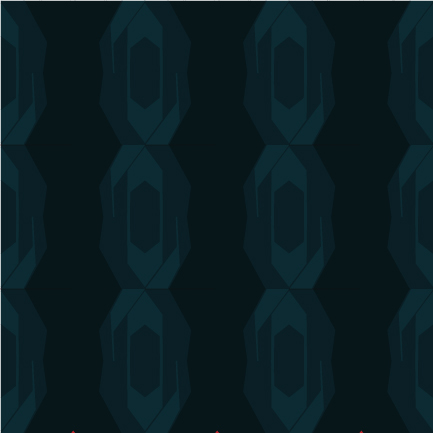 Pattern 7. 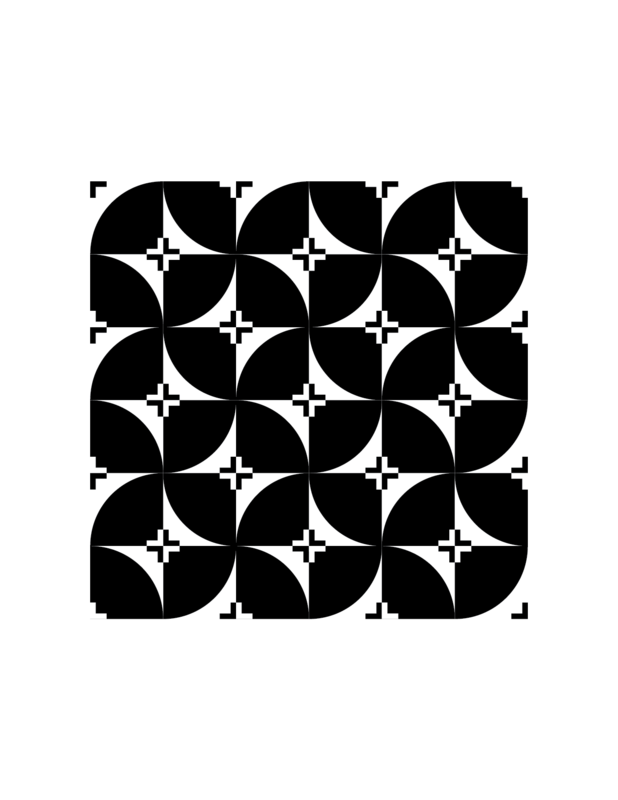 Center 2×2 unit is rotated clockwise. 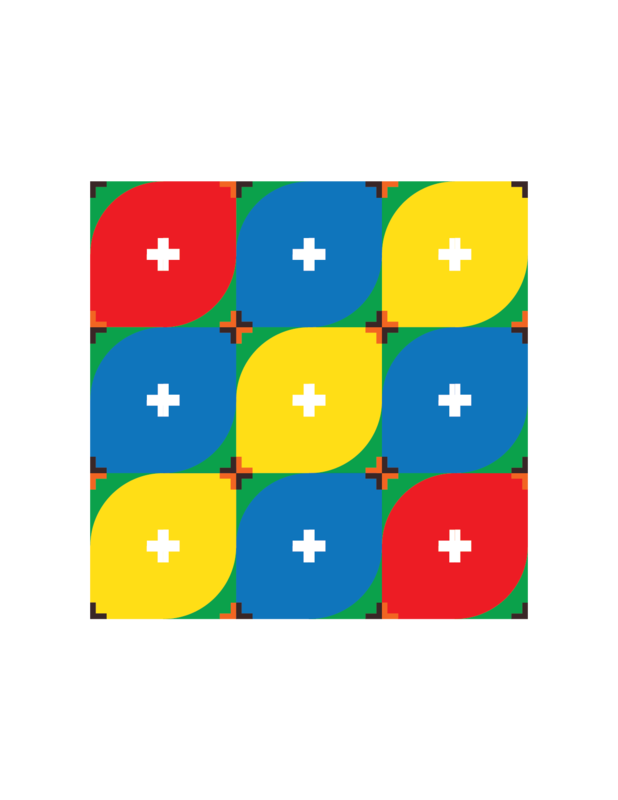 Surrounding 4×4 ring is reflected vertically. Center 2×2 unit is rotated clockwise. 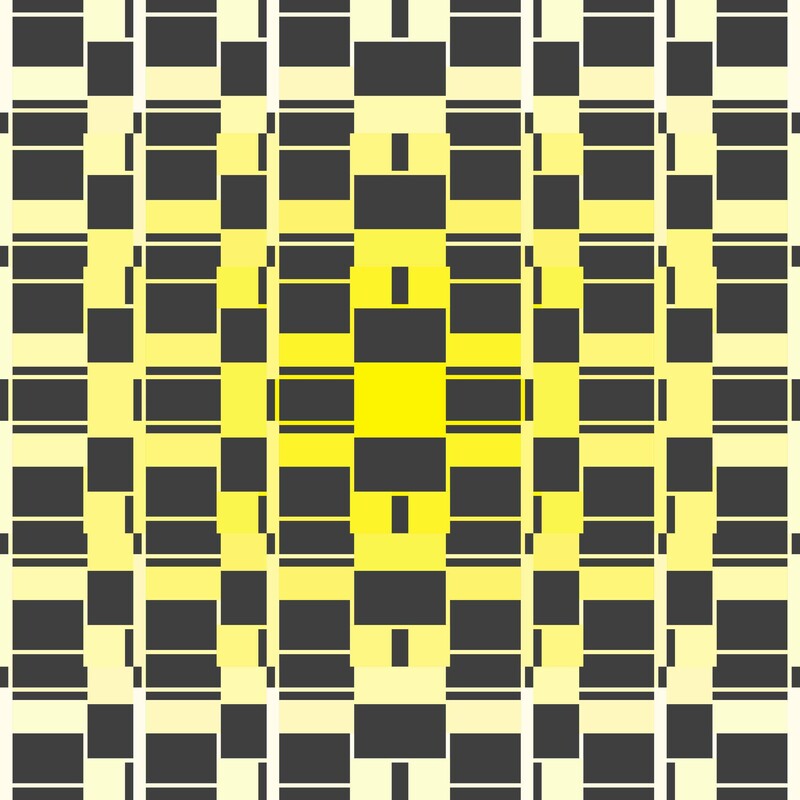 Surrounding 4×4 ring is reflected vertically. 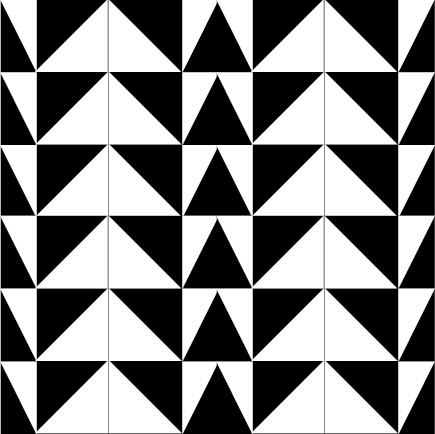 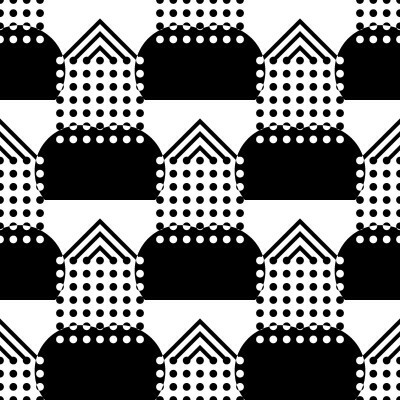 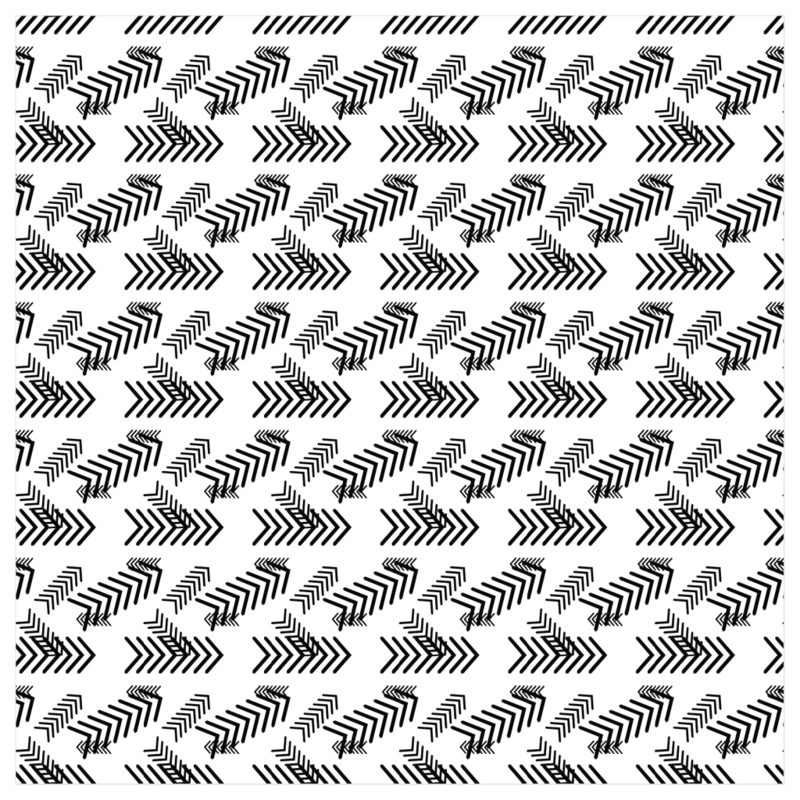 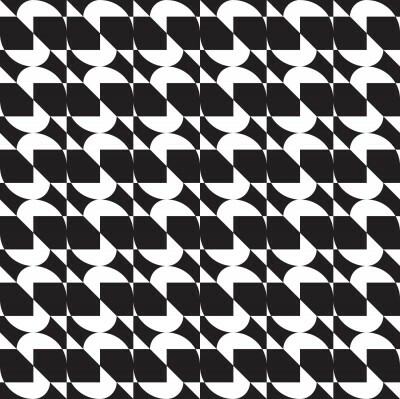 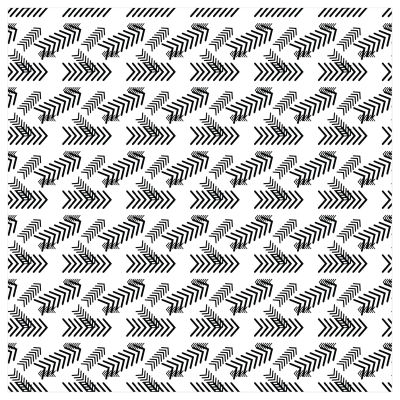 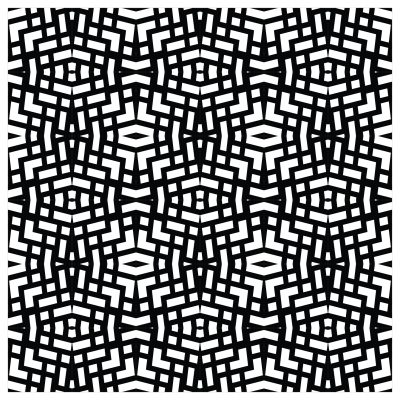 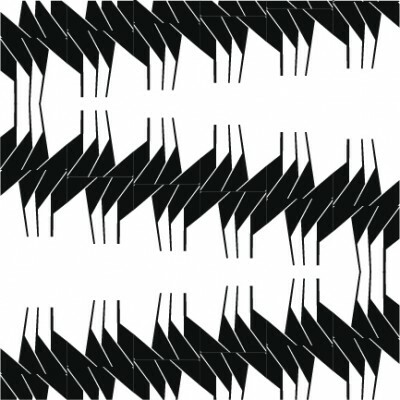 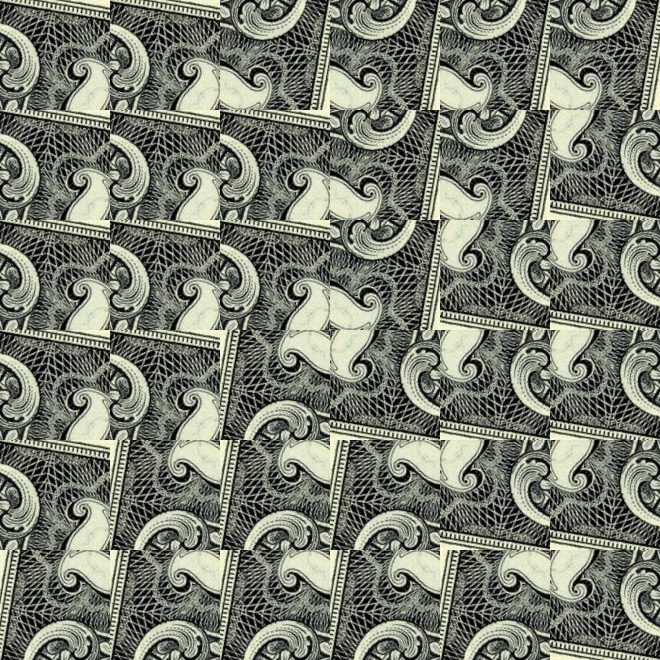 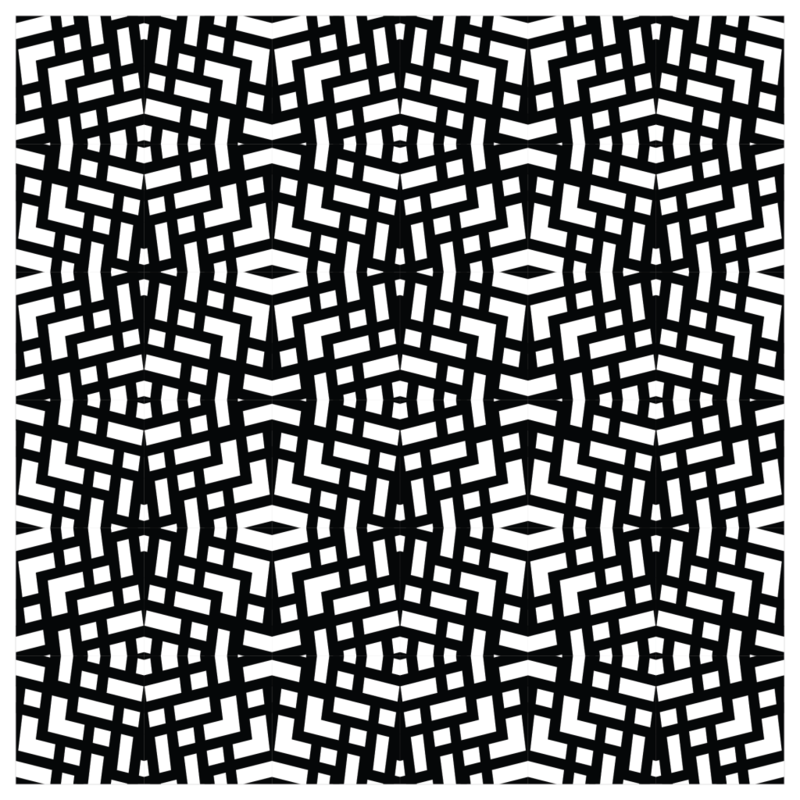 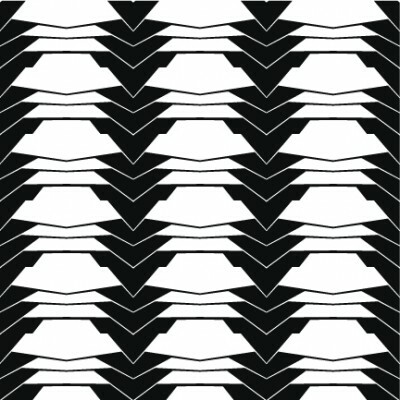 Pattern 6. 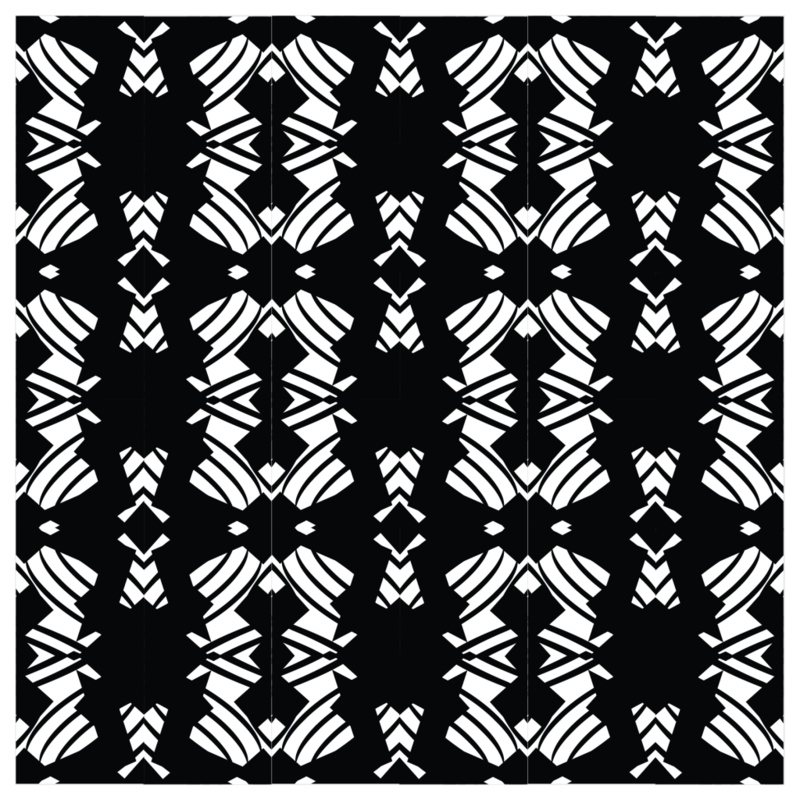 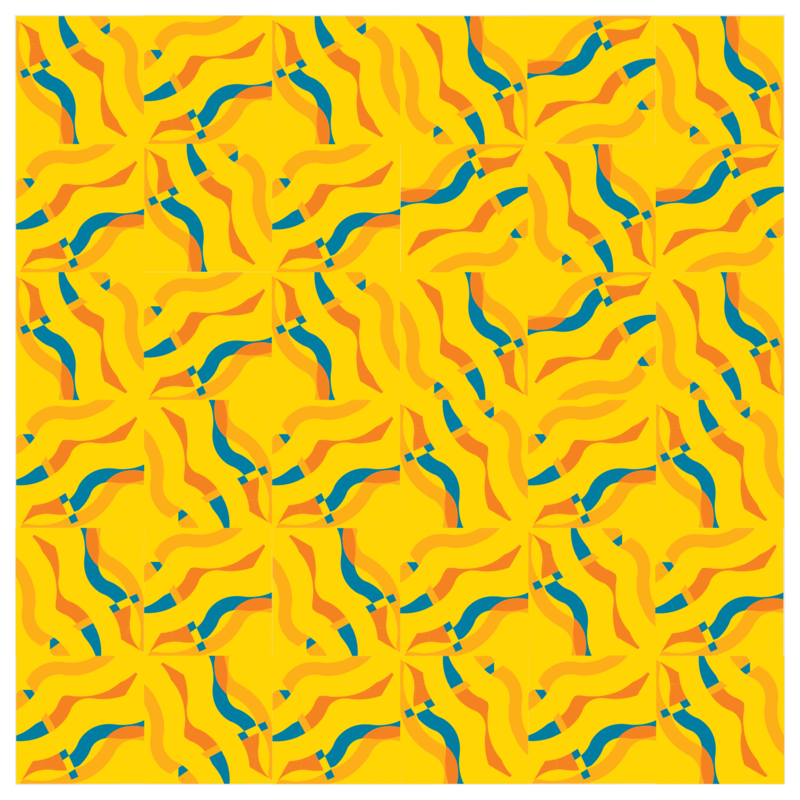 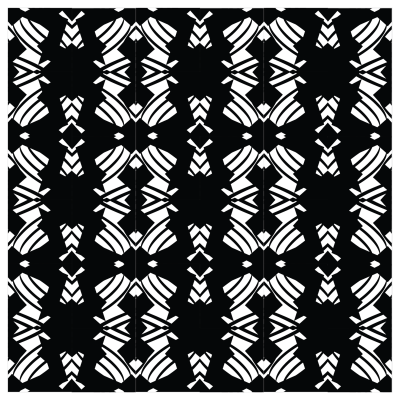 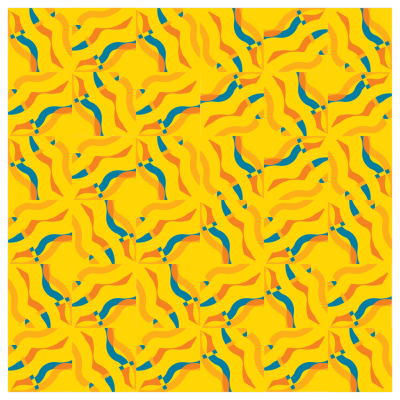 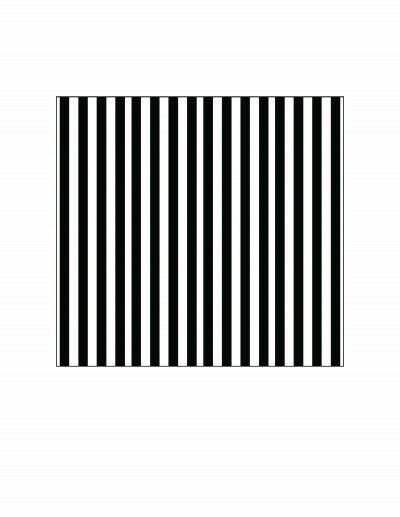 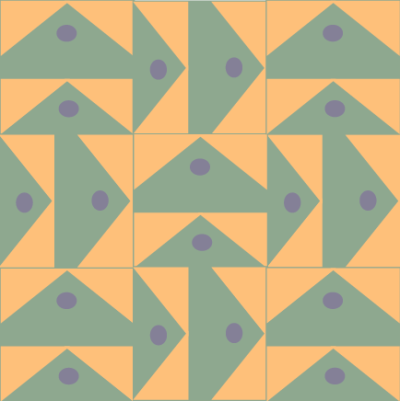 Tile is vertically reflected to create 2×1 unit, which is repeated to fill up row. 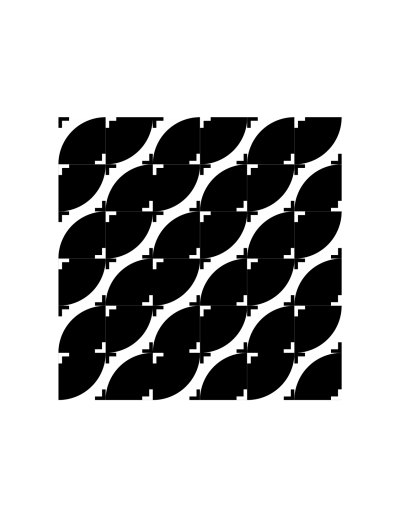 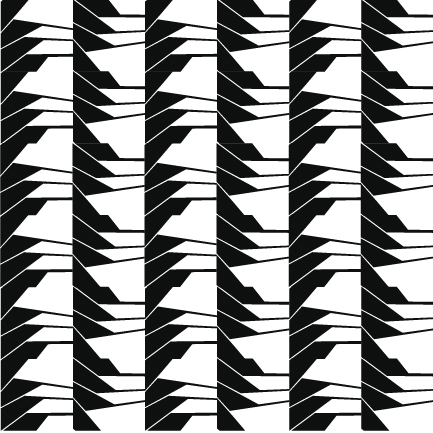 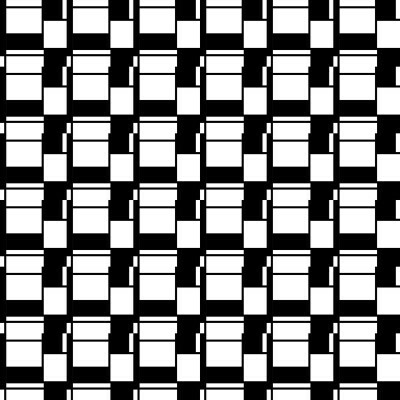 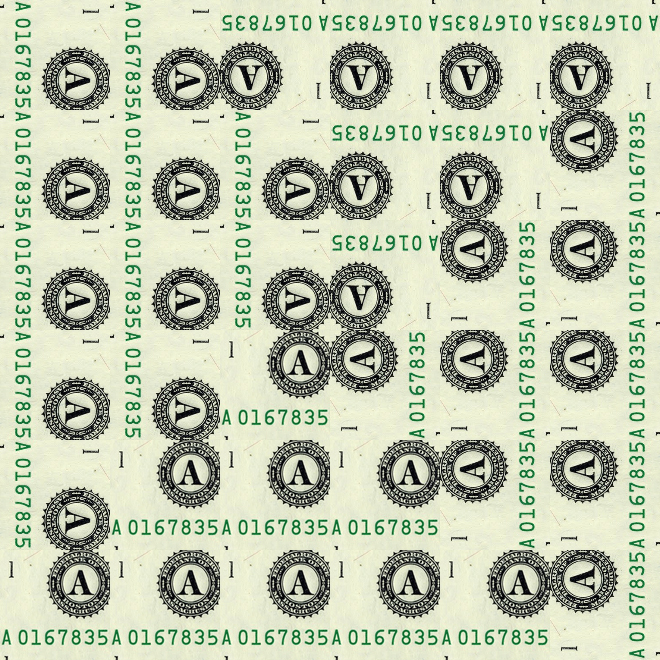 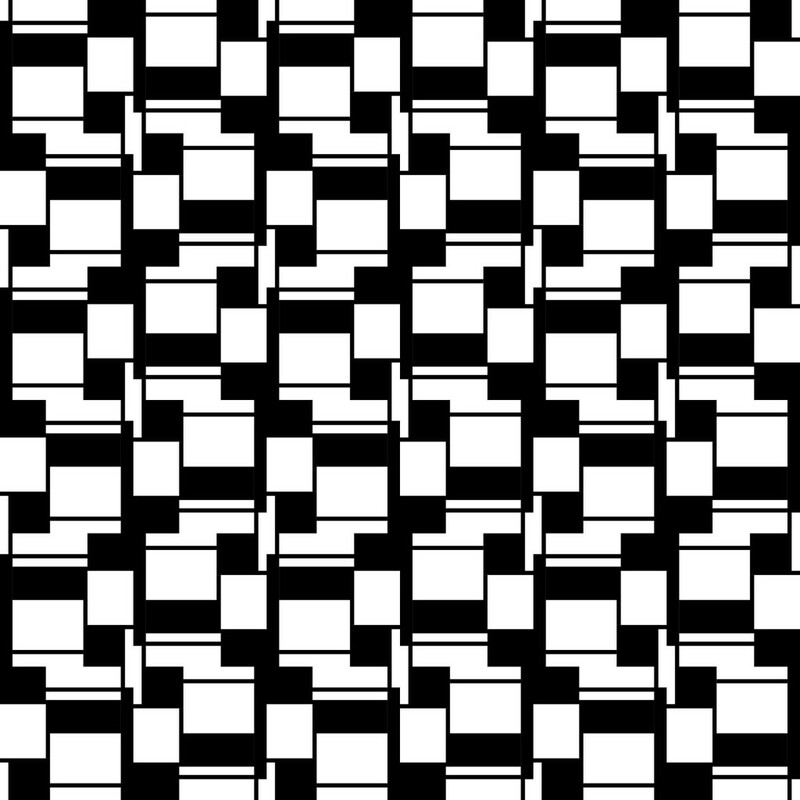 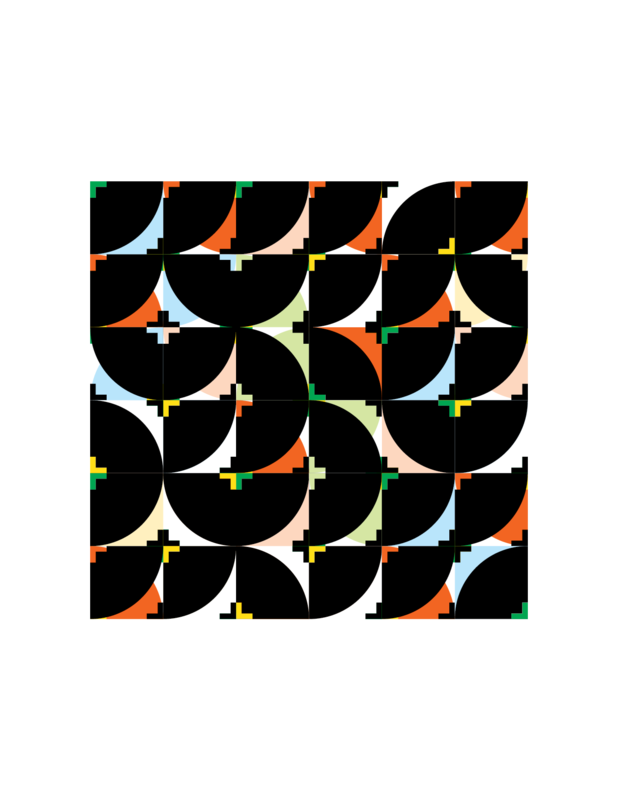 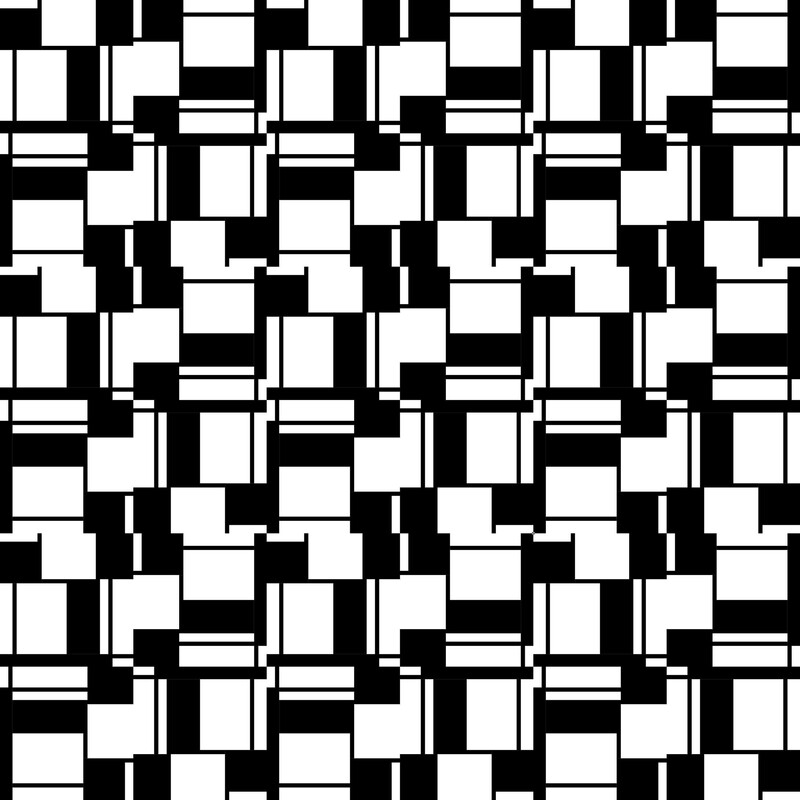 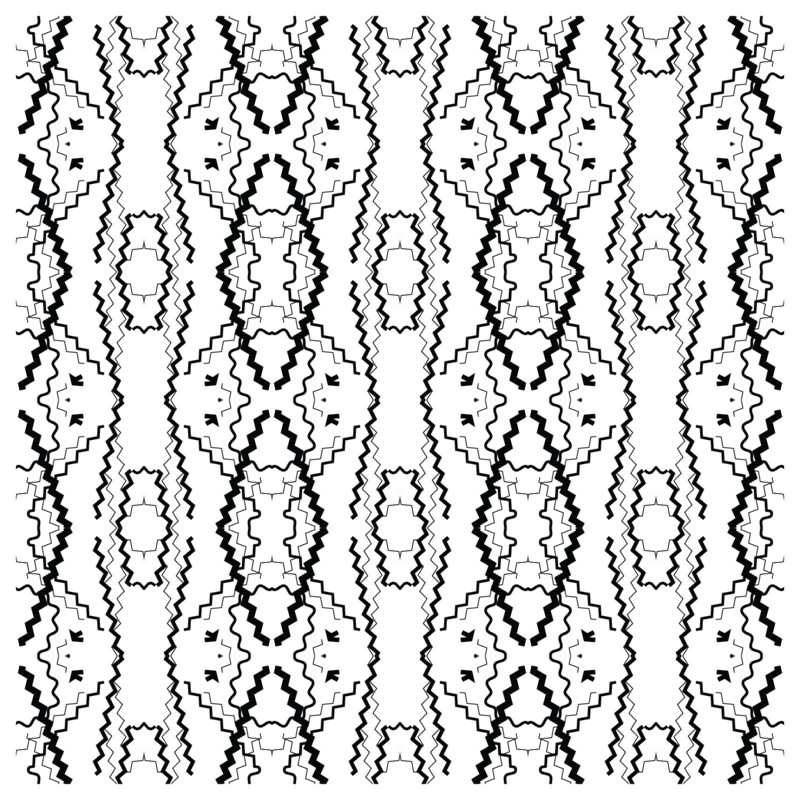 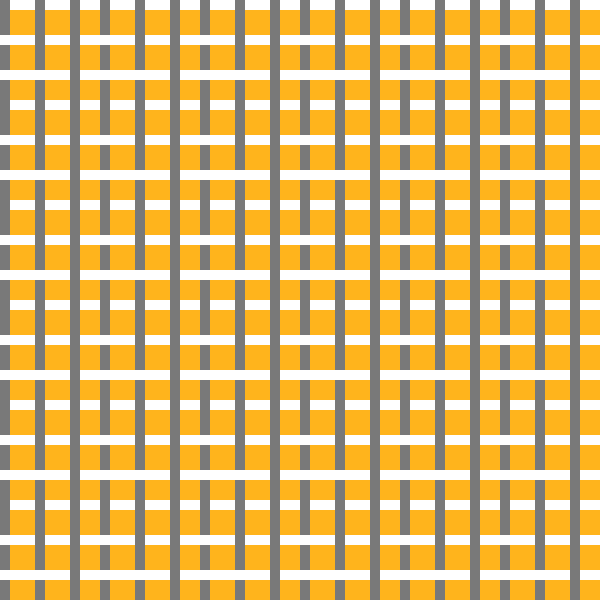 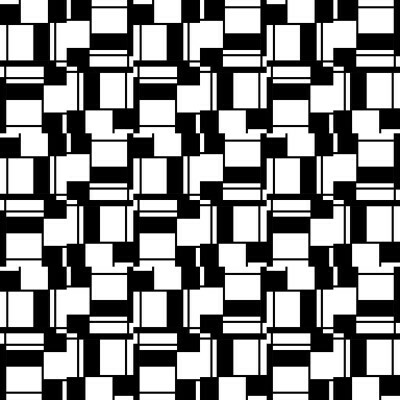 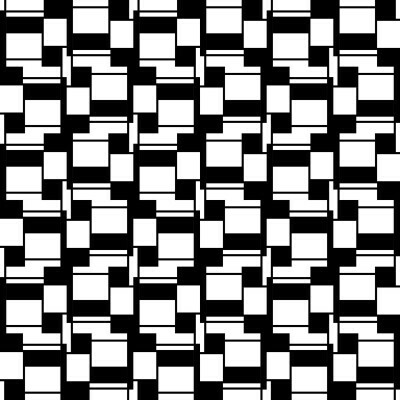 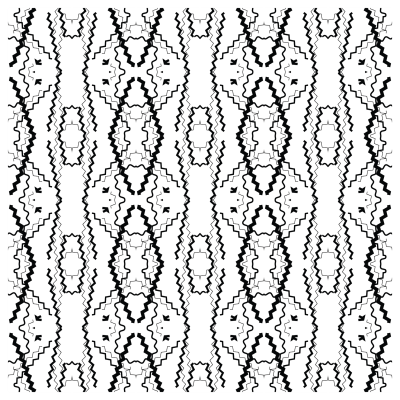 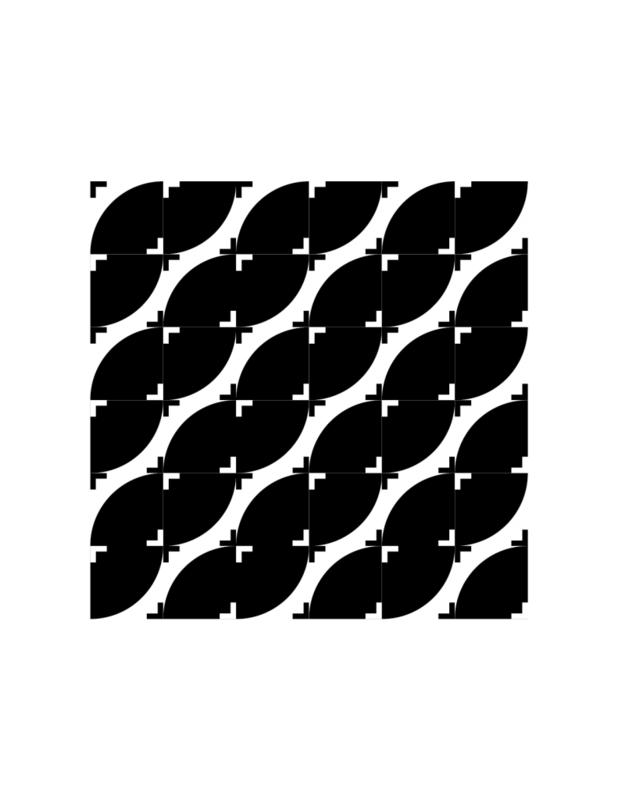 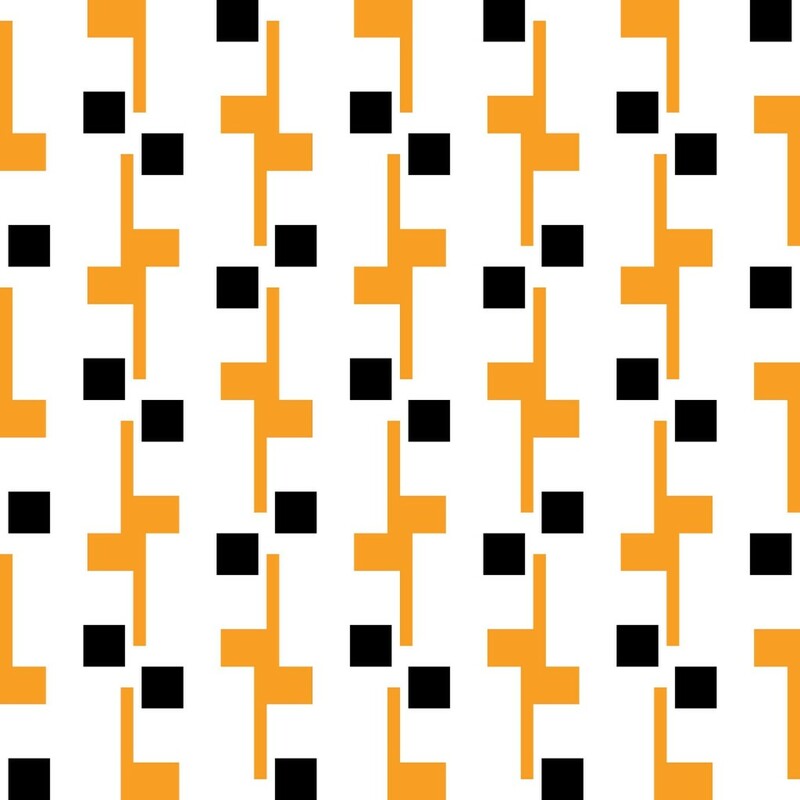 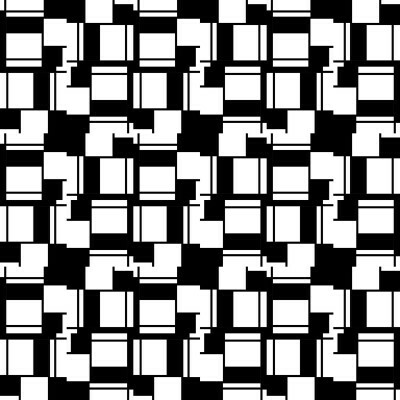 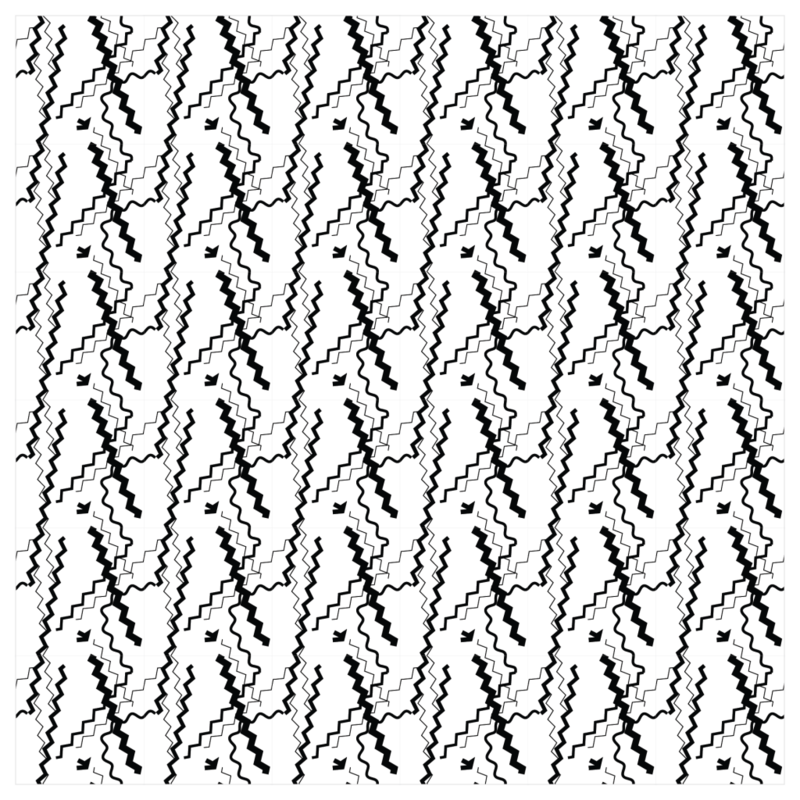 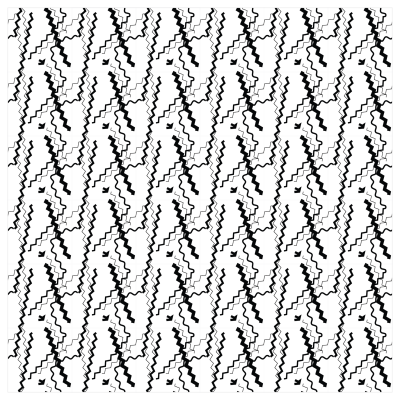 Subsequent rows alternate by 180 degree rotations. 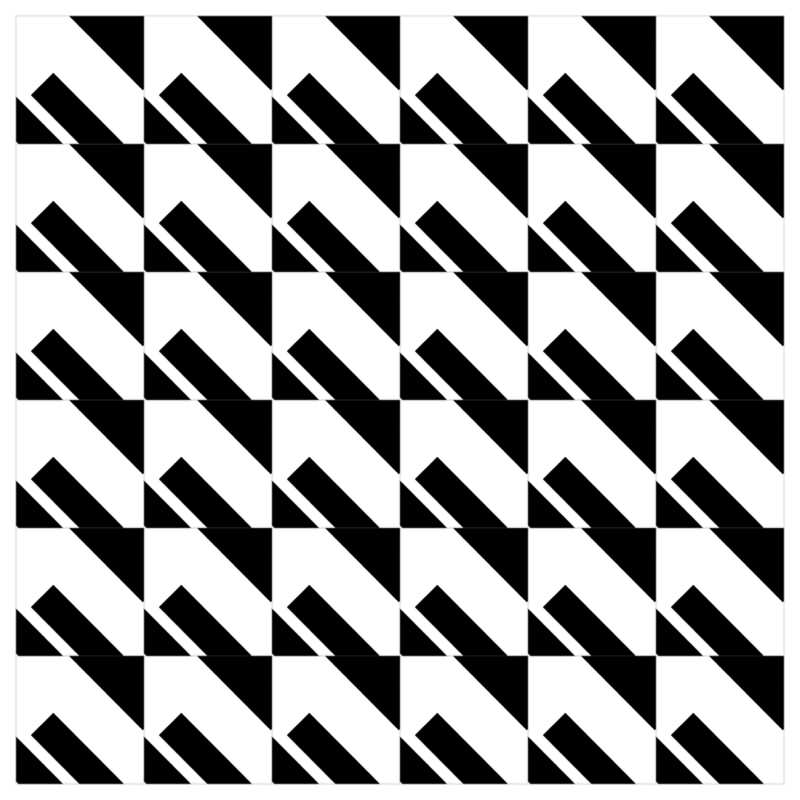 Tile is vertically reflected to create 2×1 unit, which is repeated to fill up row. 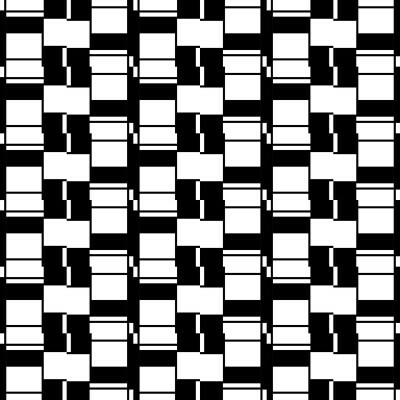 Subsequent rows alternate by 180 degree rotations. 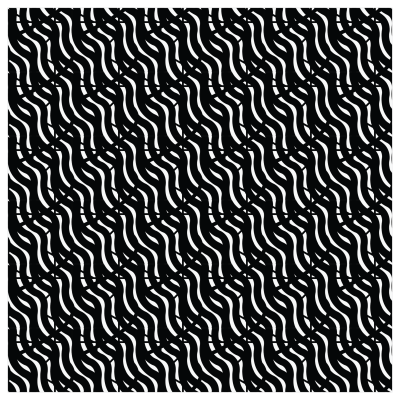 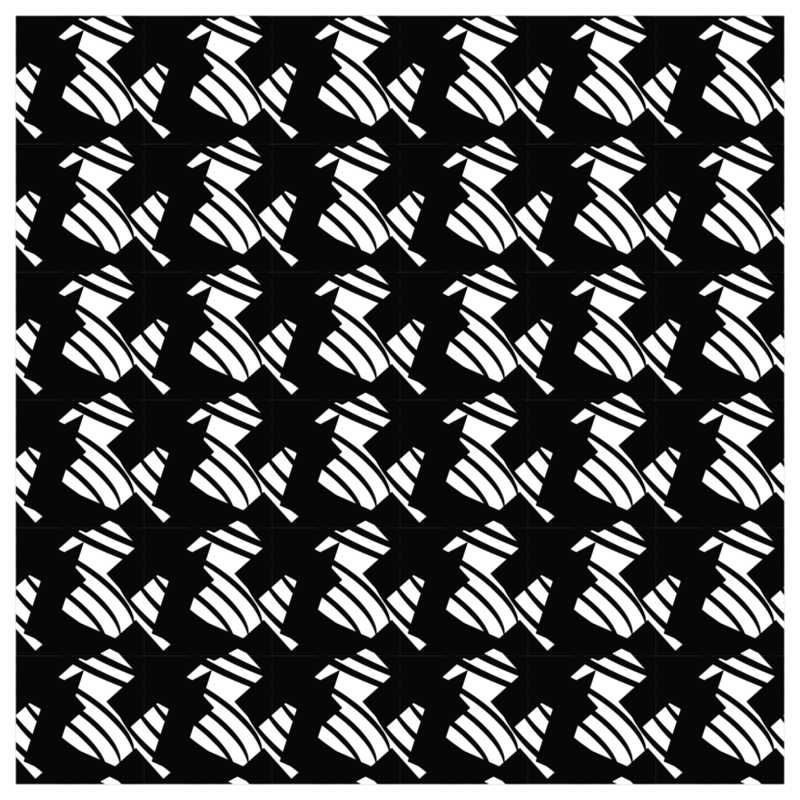 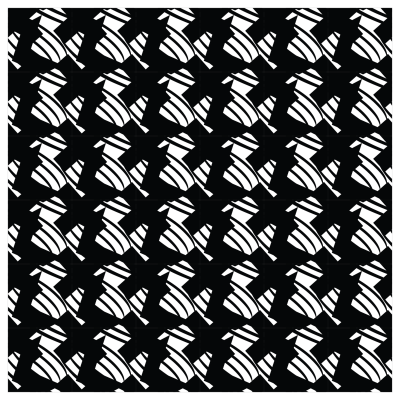 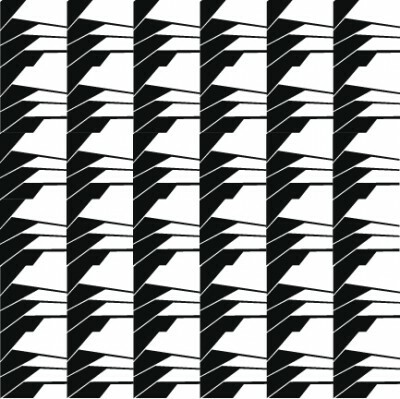 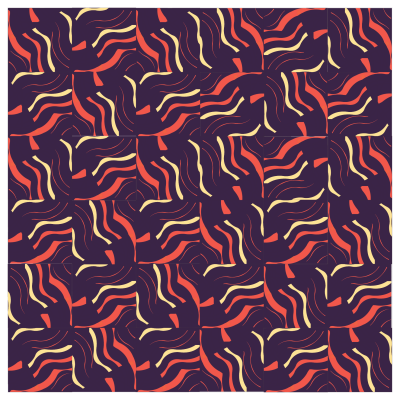 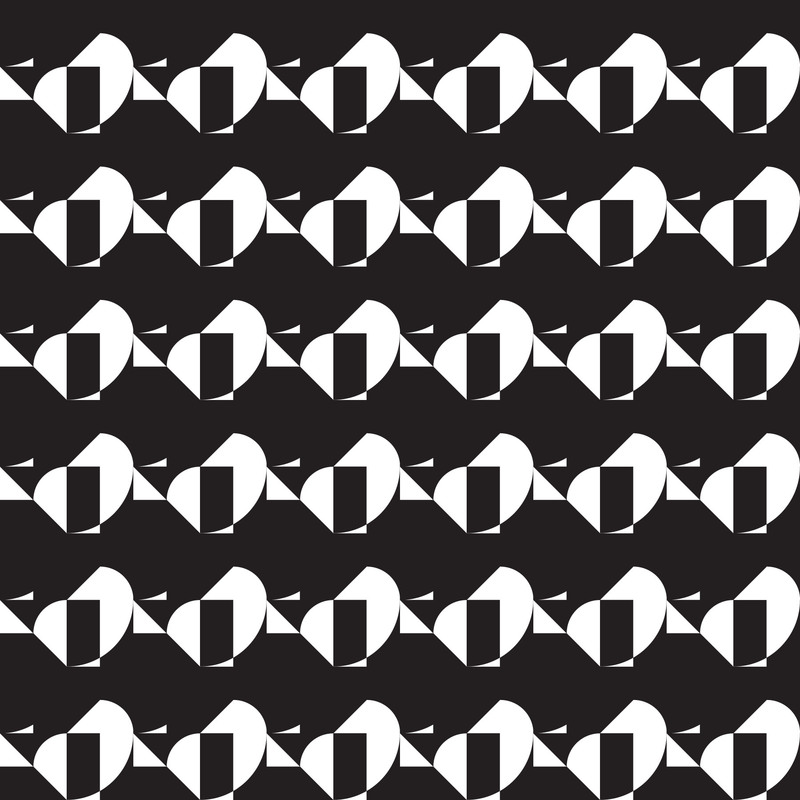 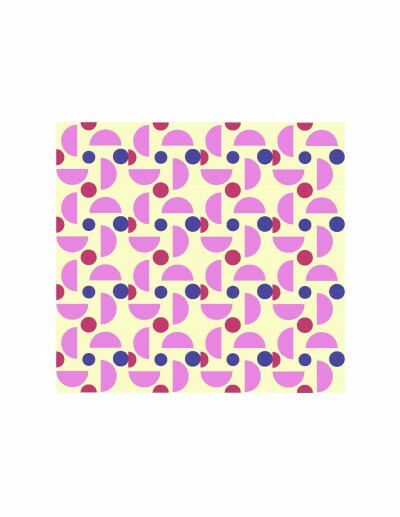 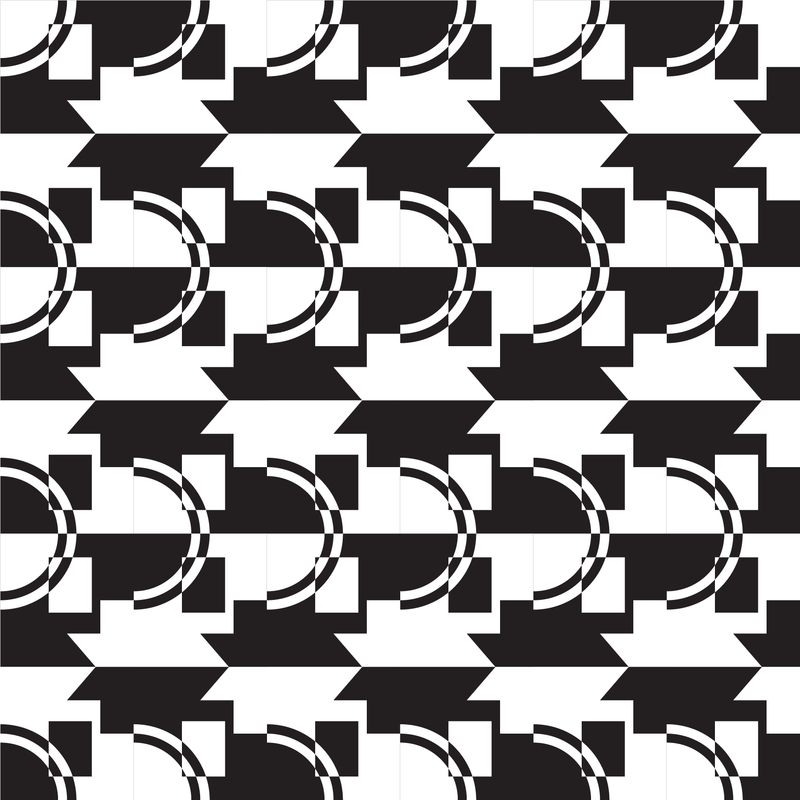 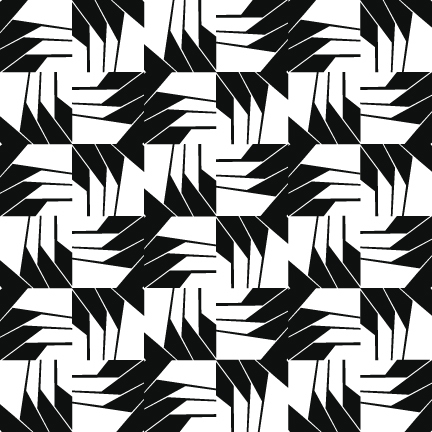 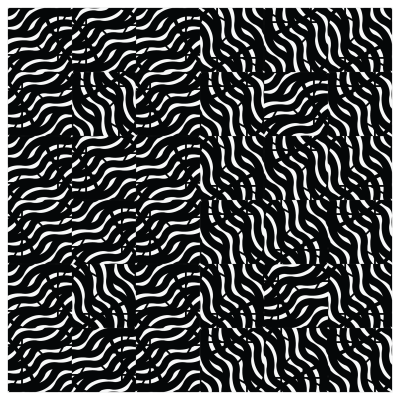 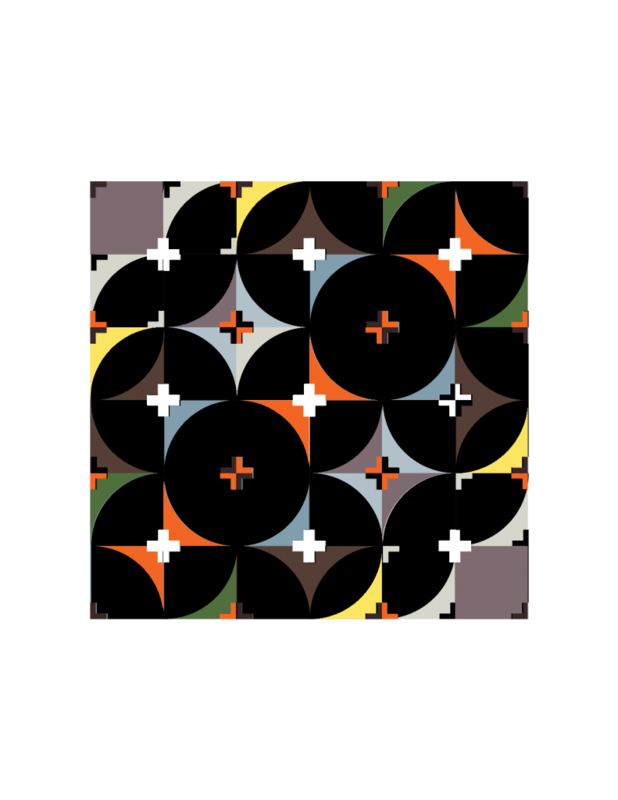 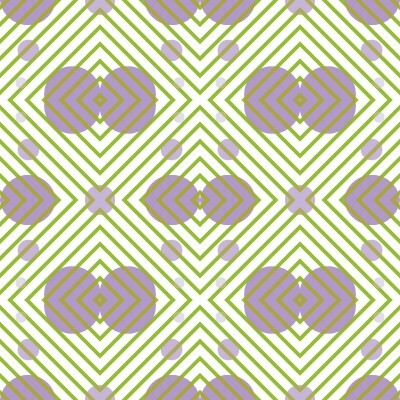 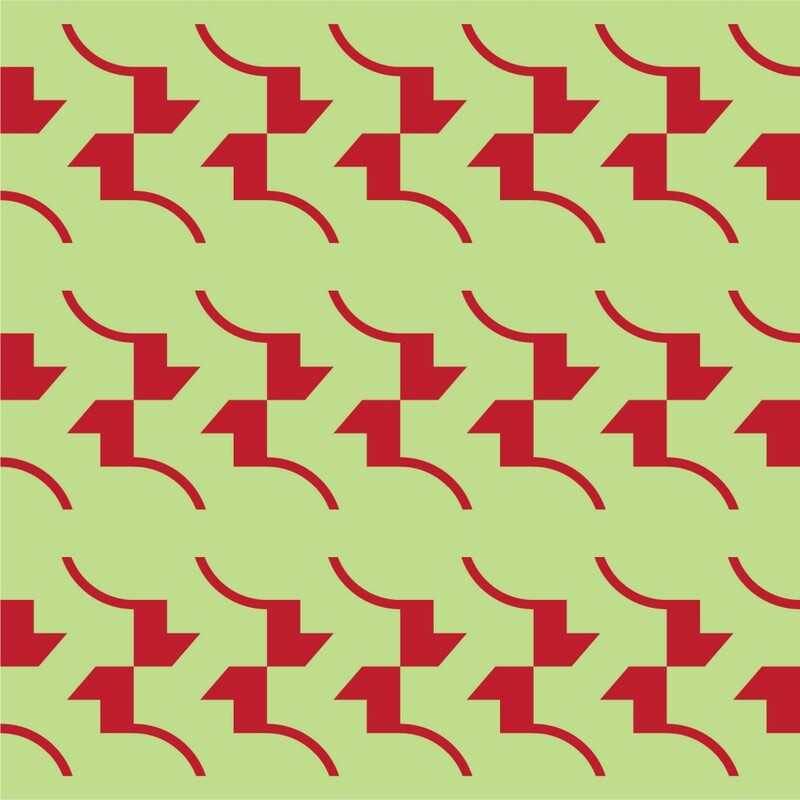 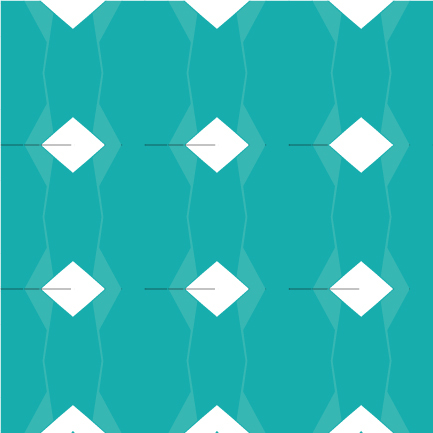 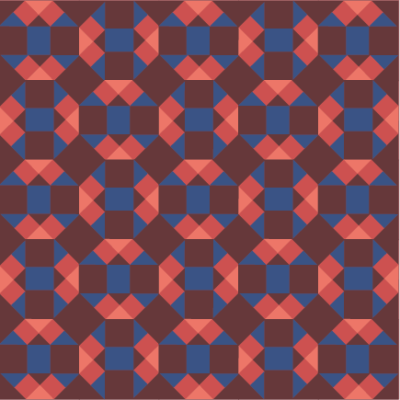 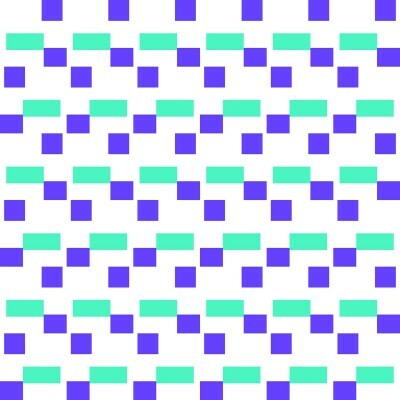 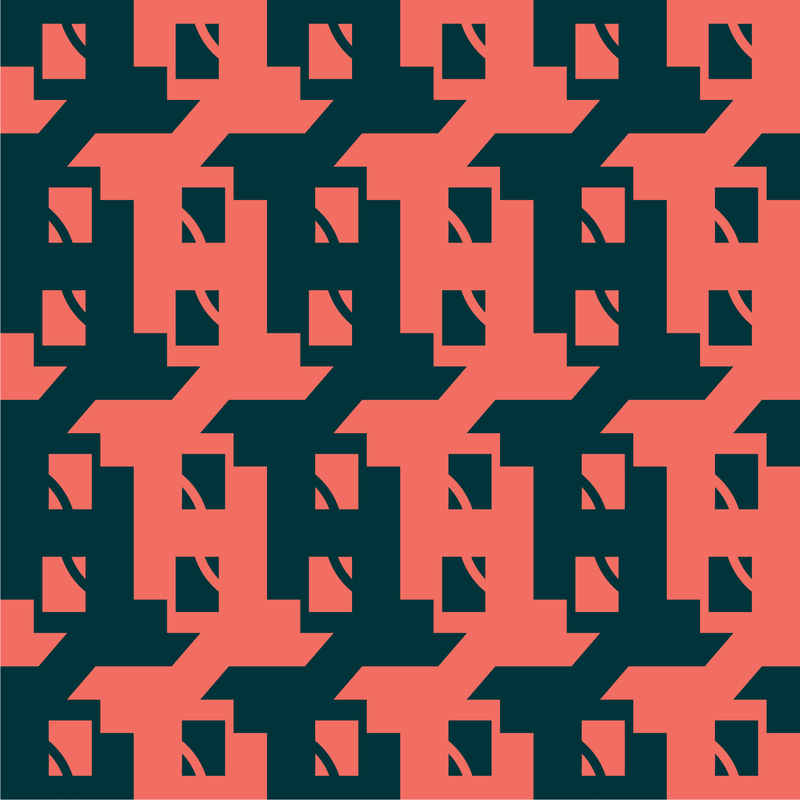 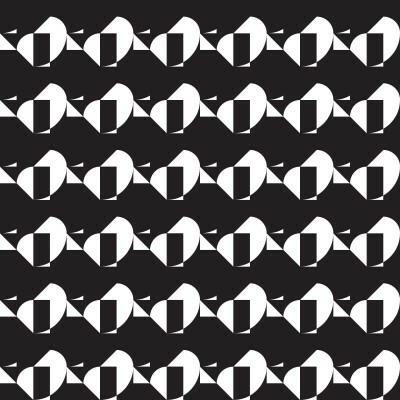 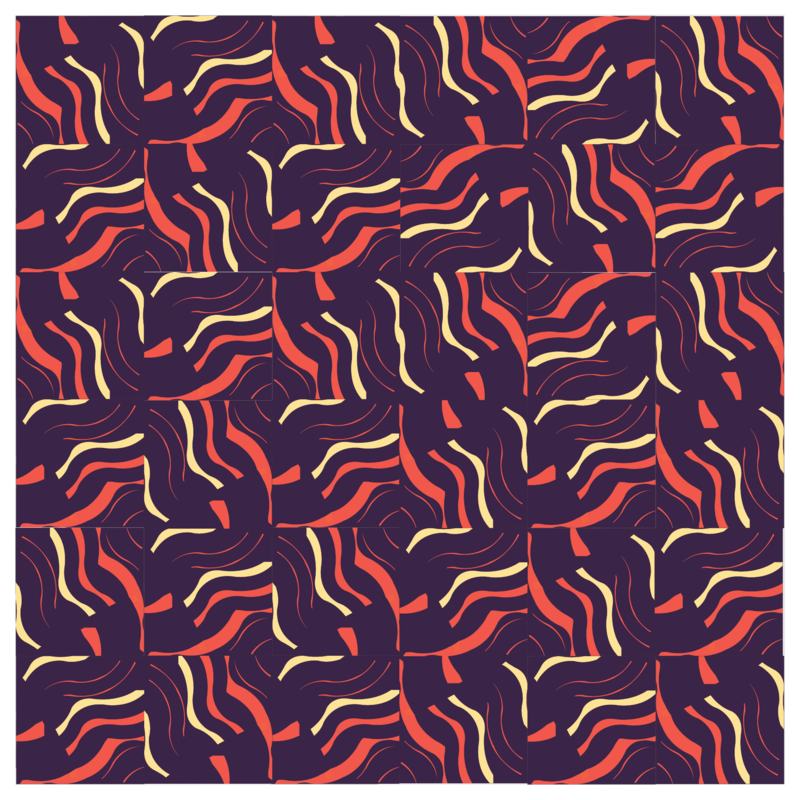 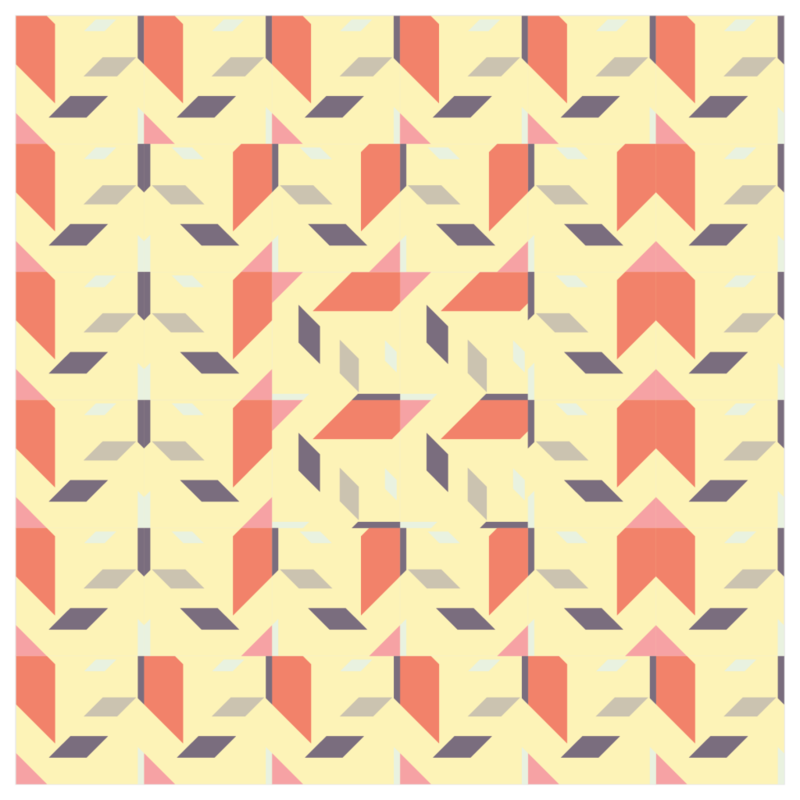 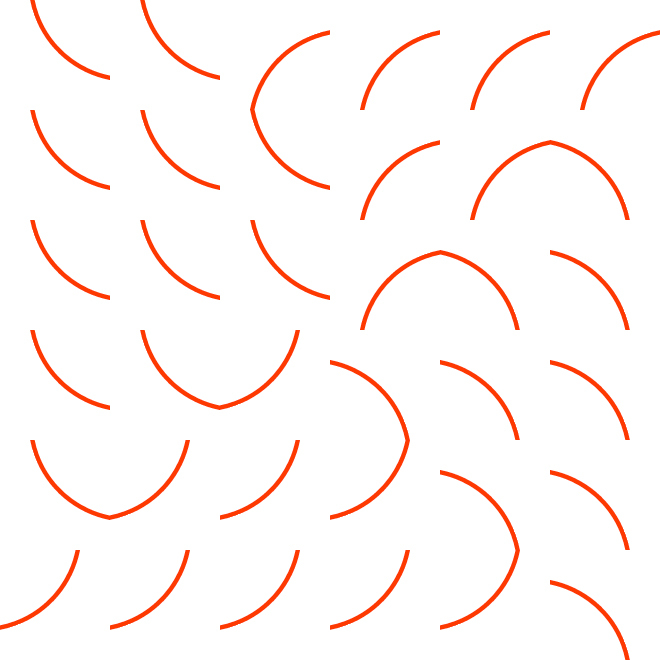 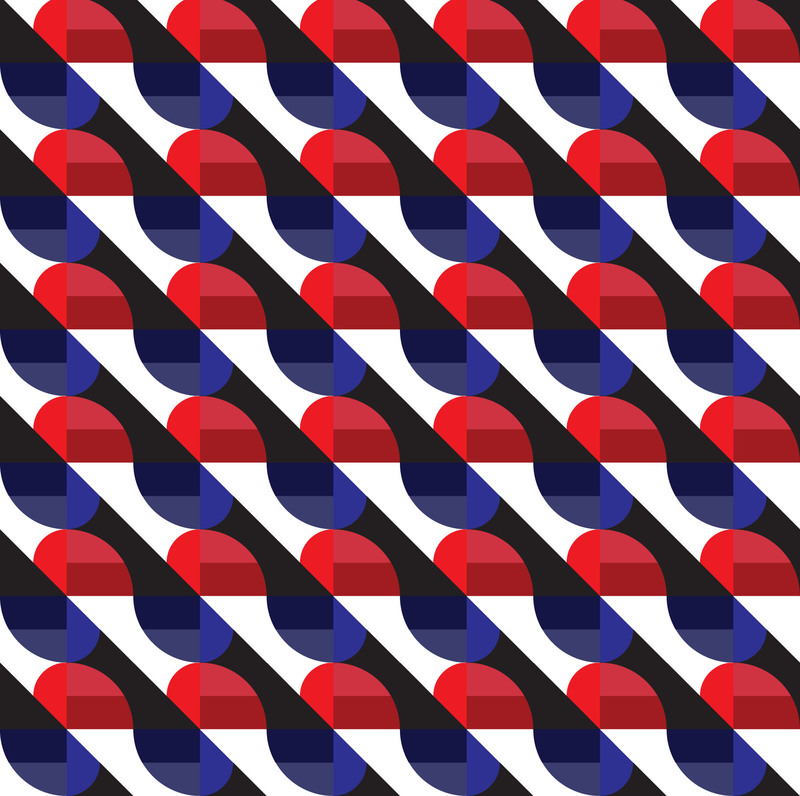 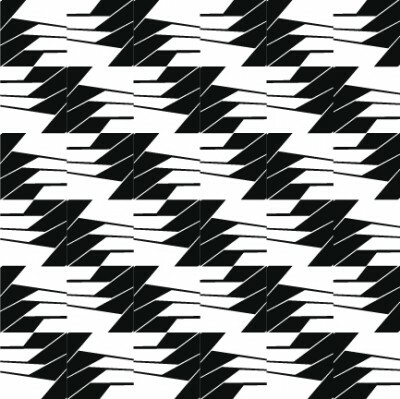 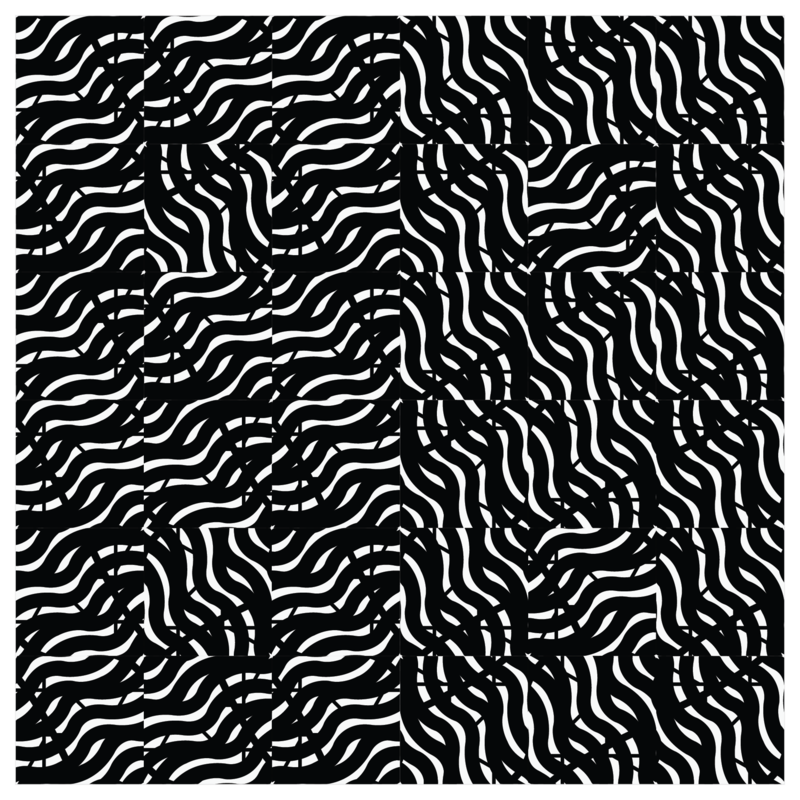 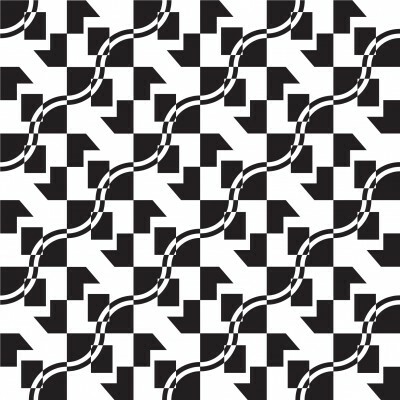 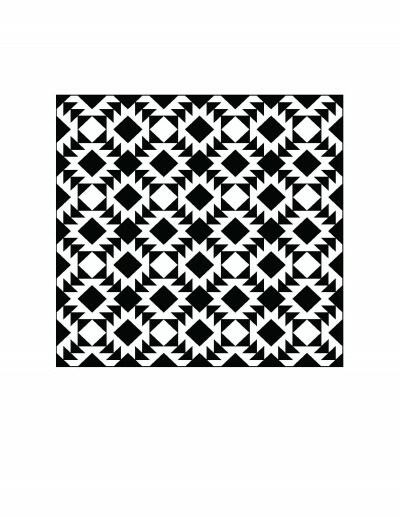 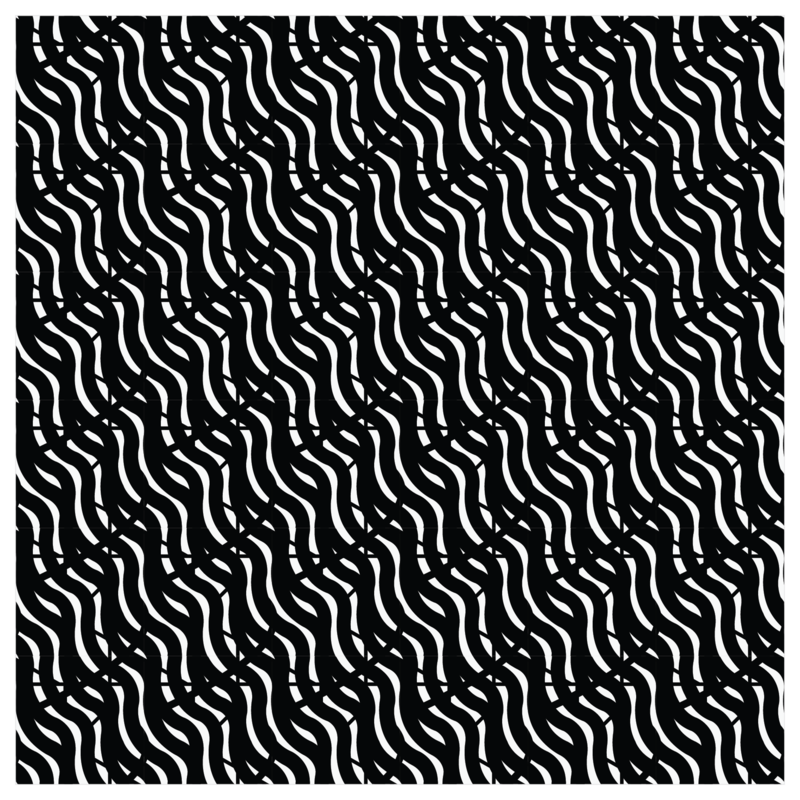 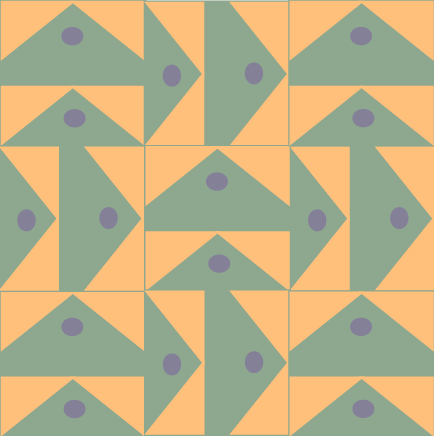 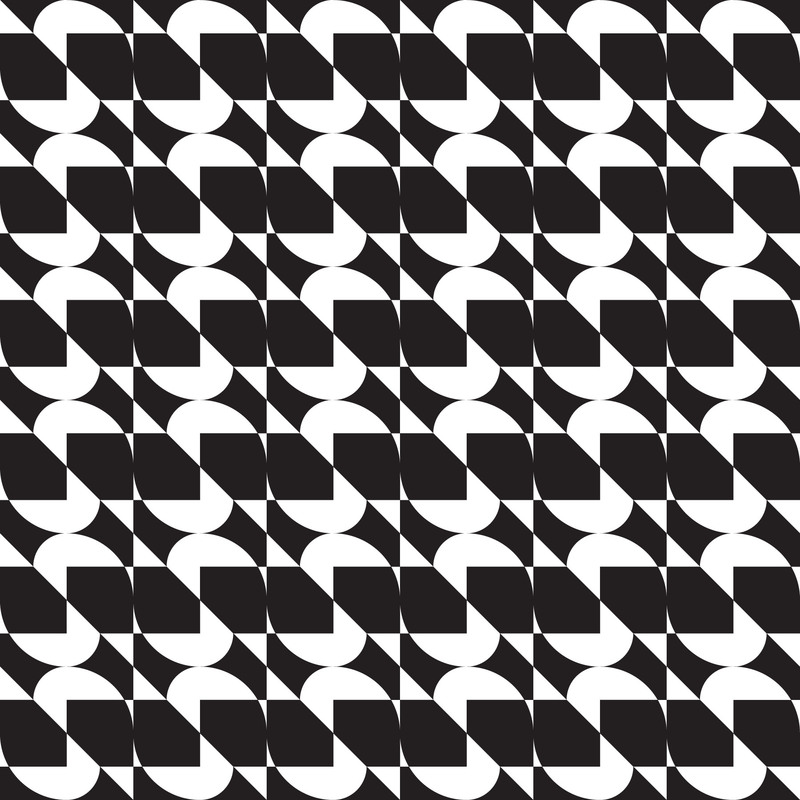 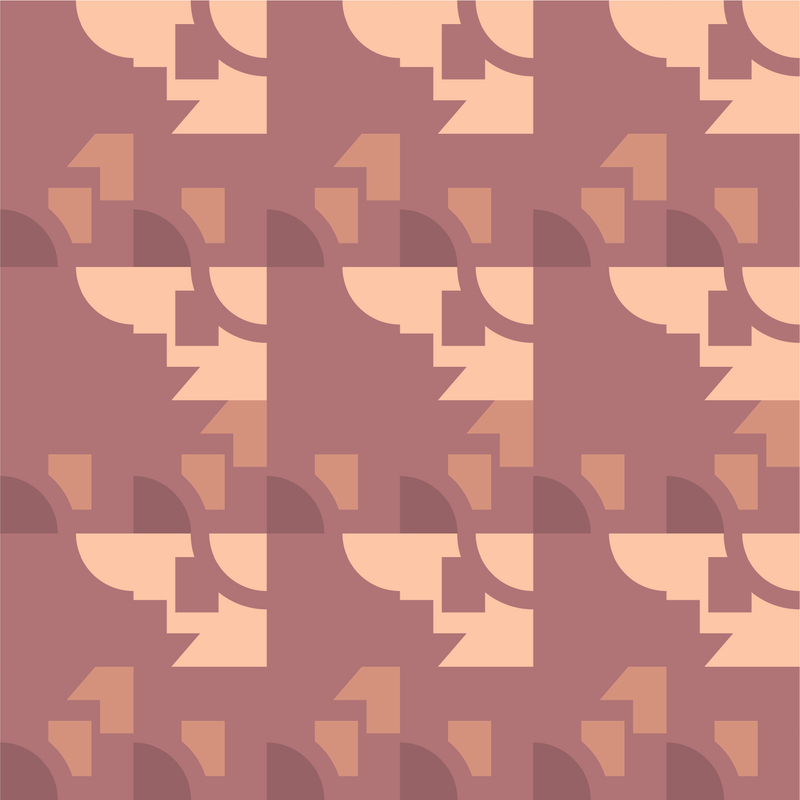 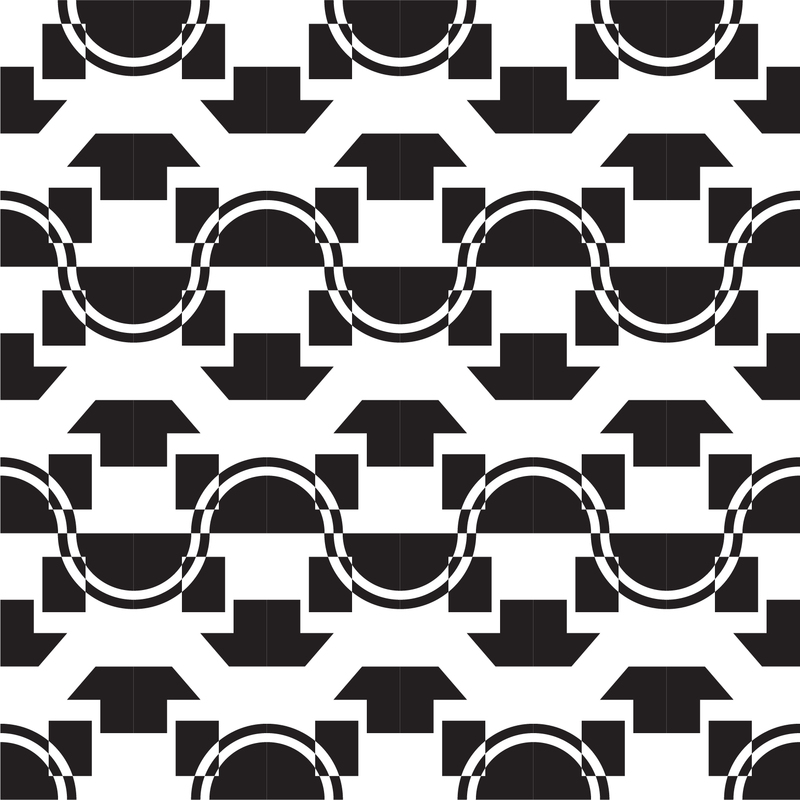 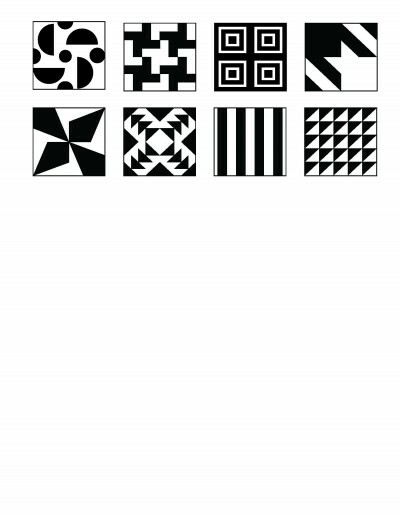 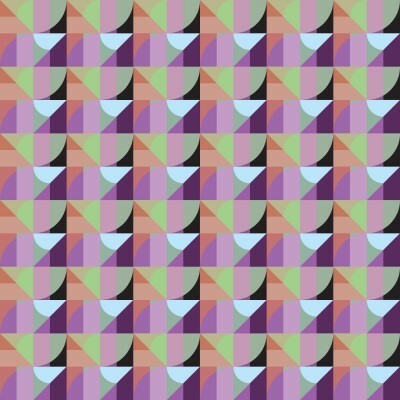 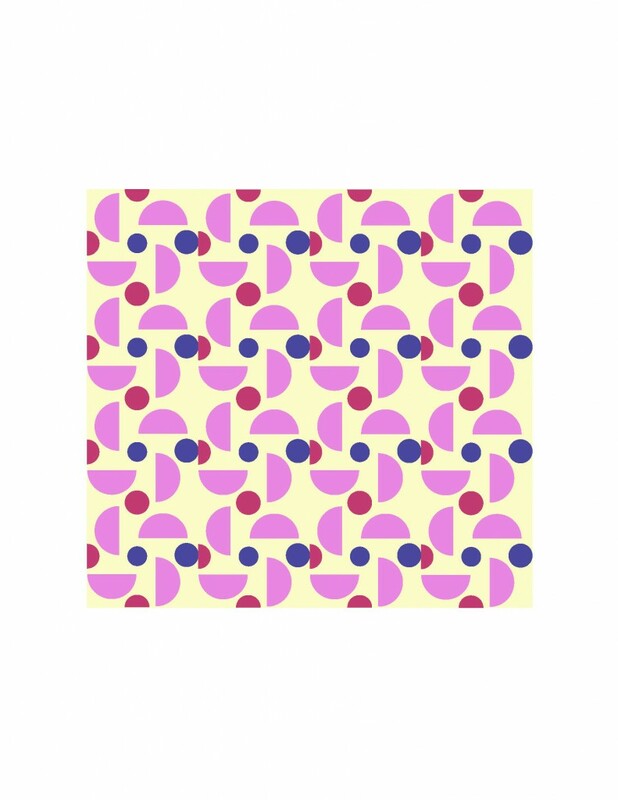 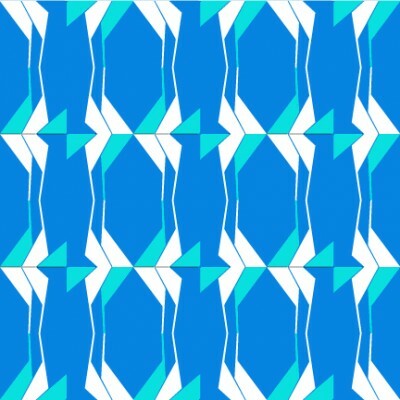 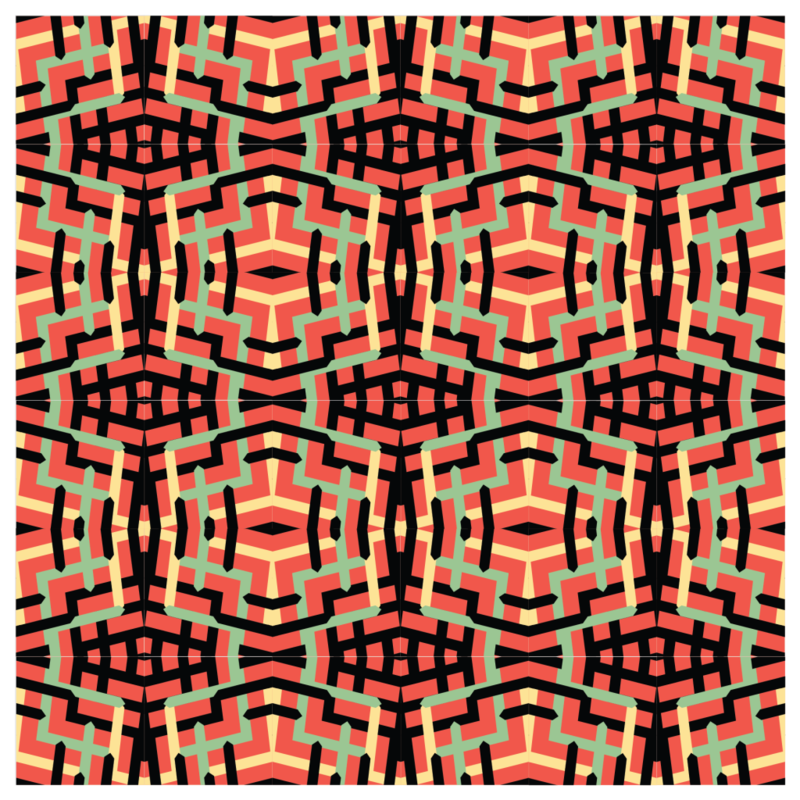 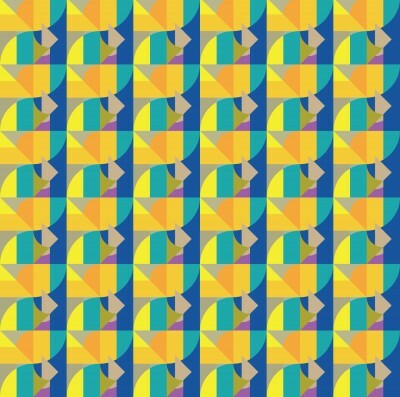 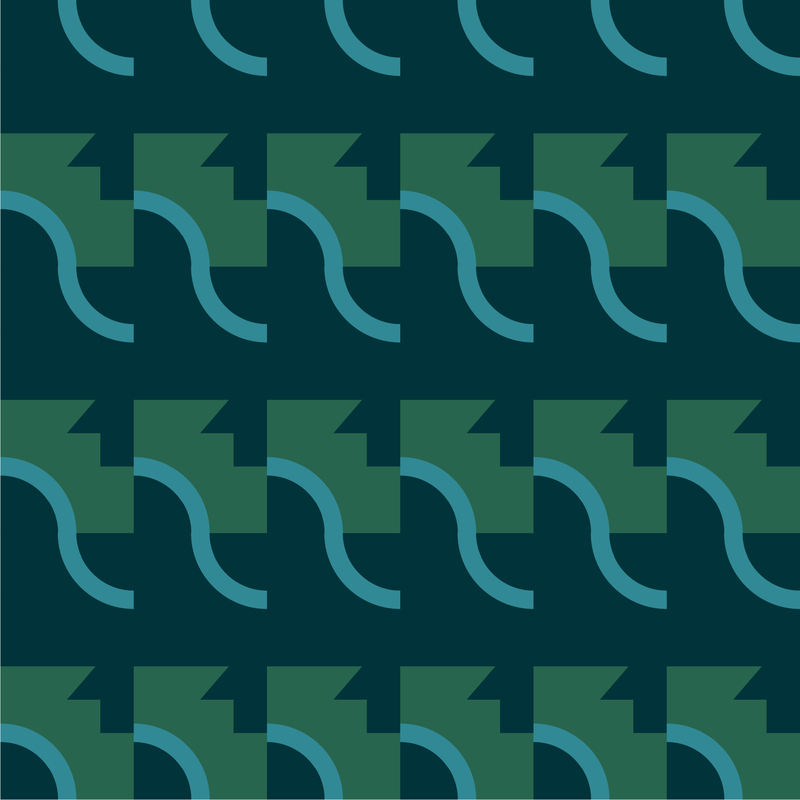 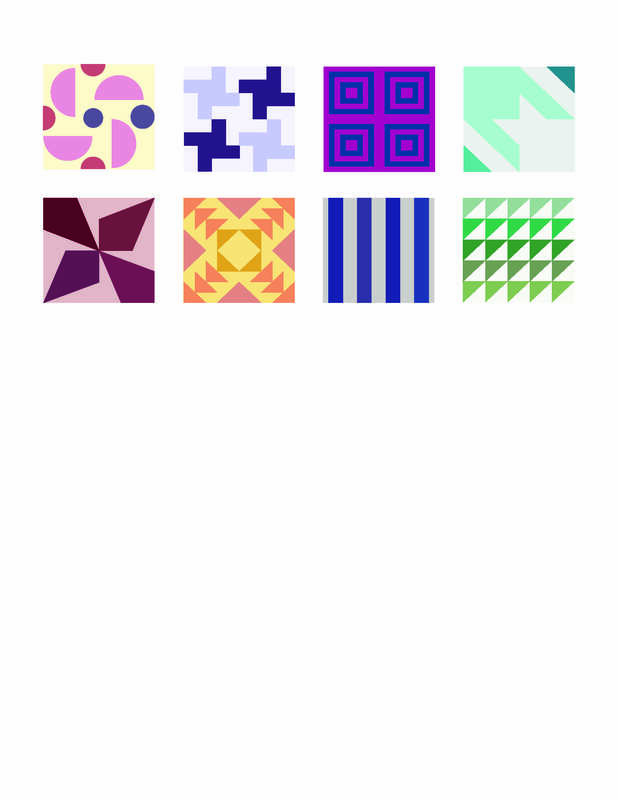 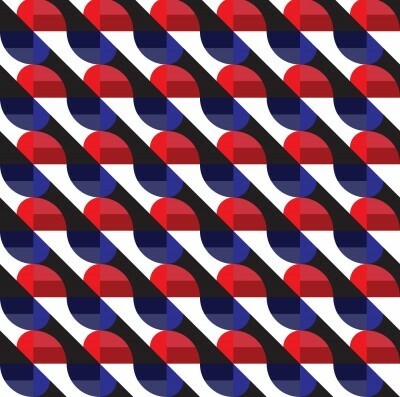 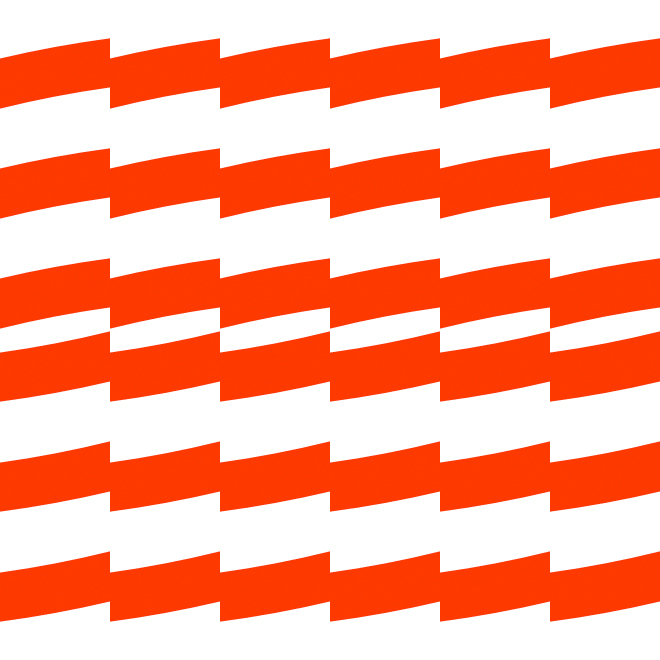 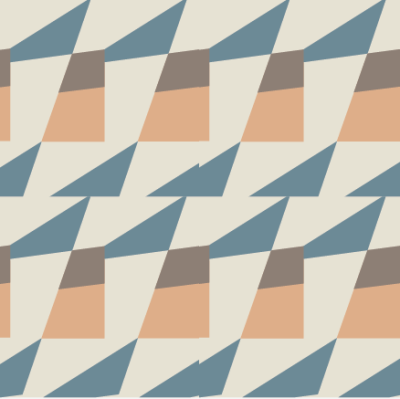 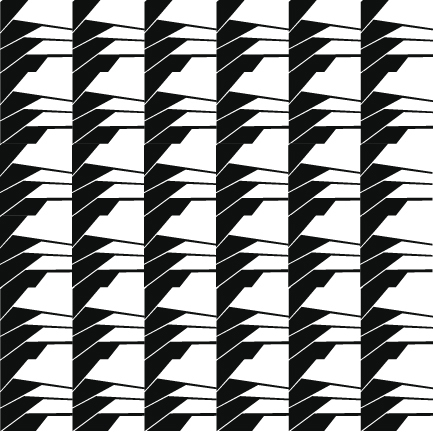 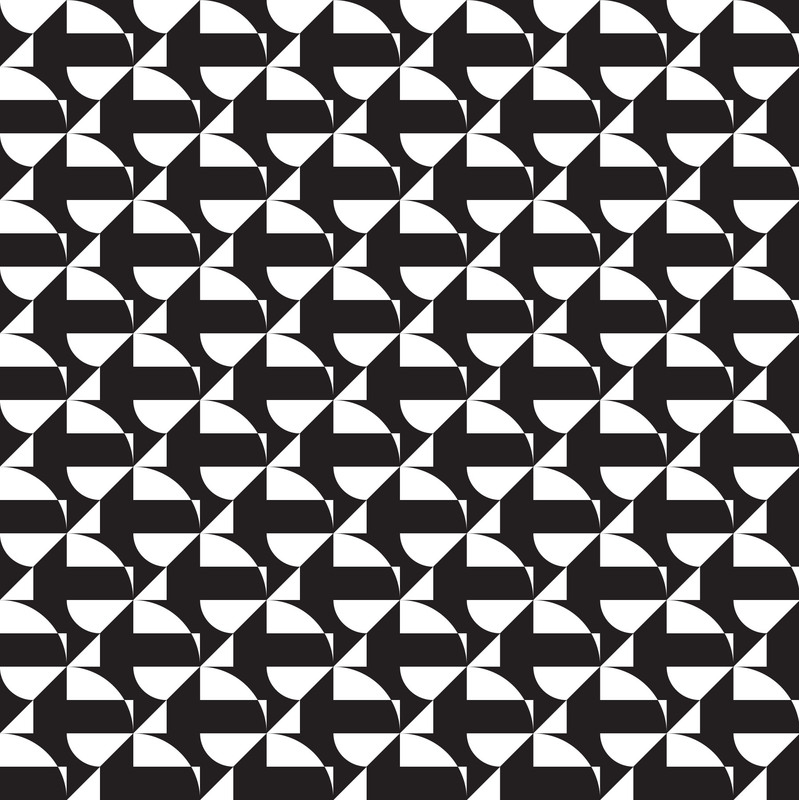 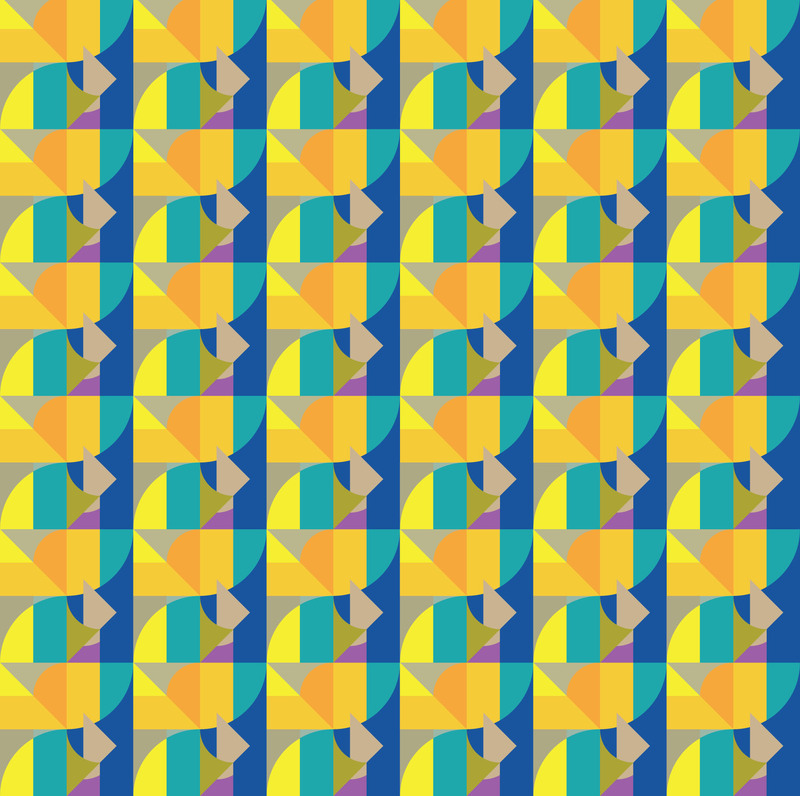 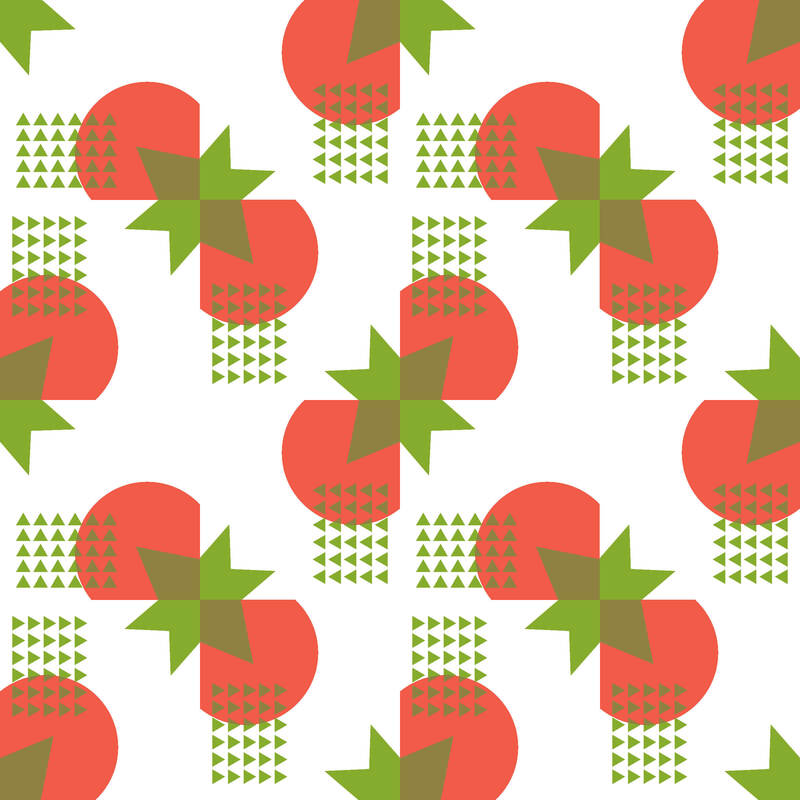 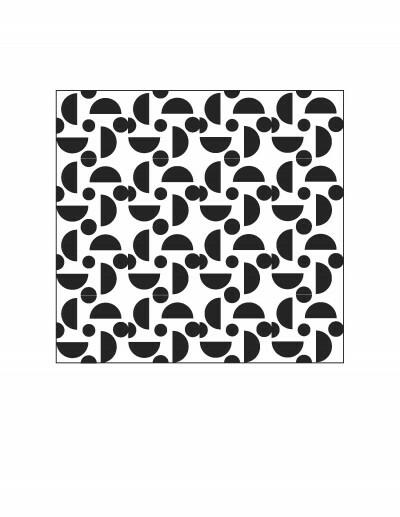 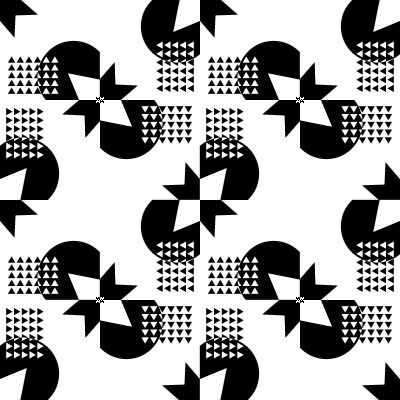 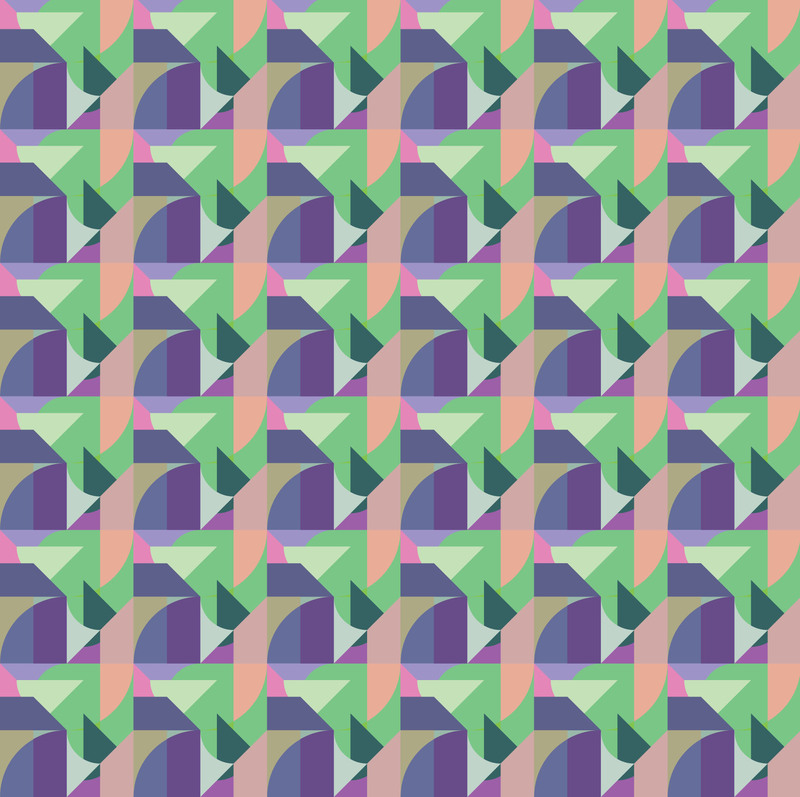 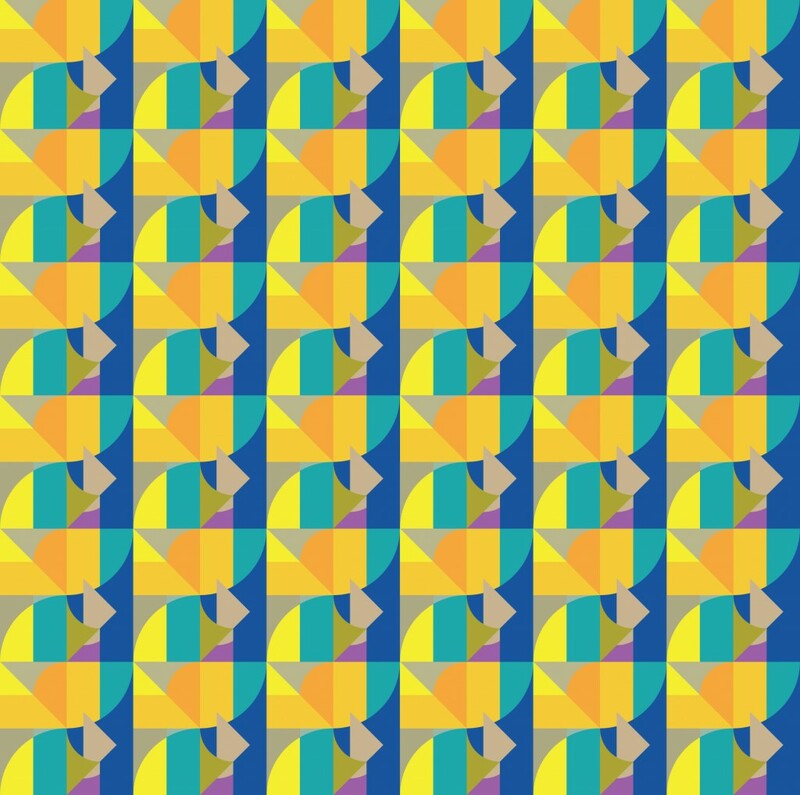 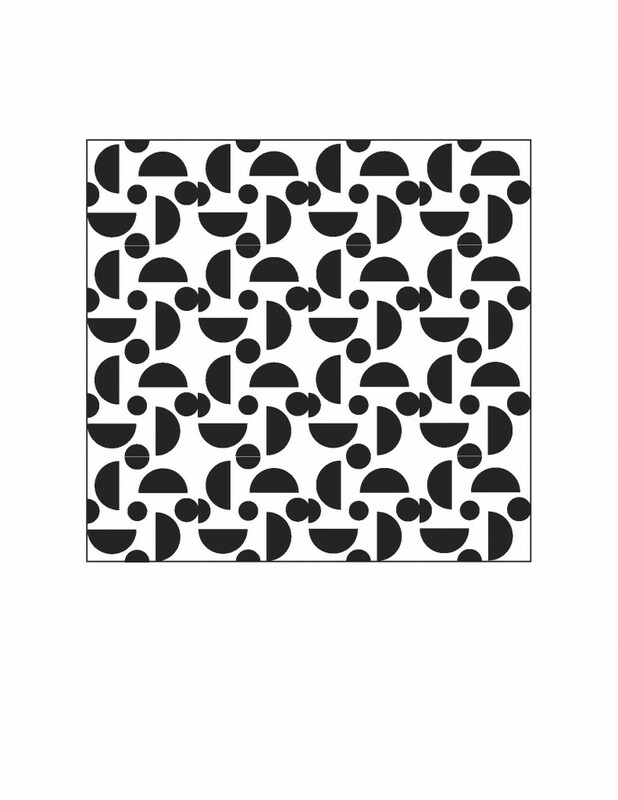 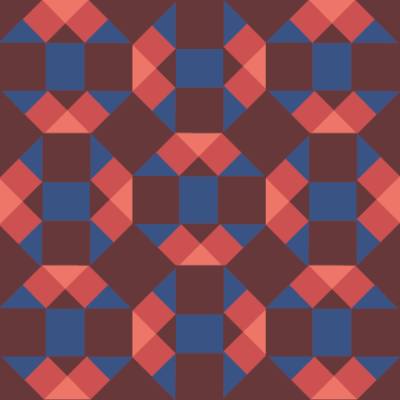 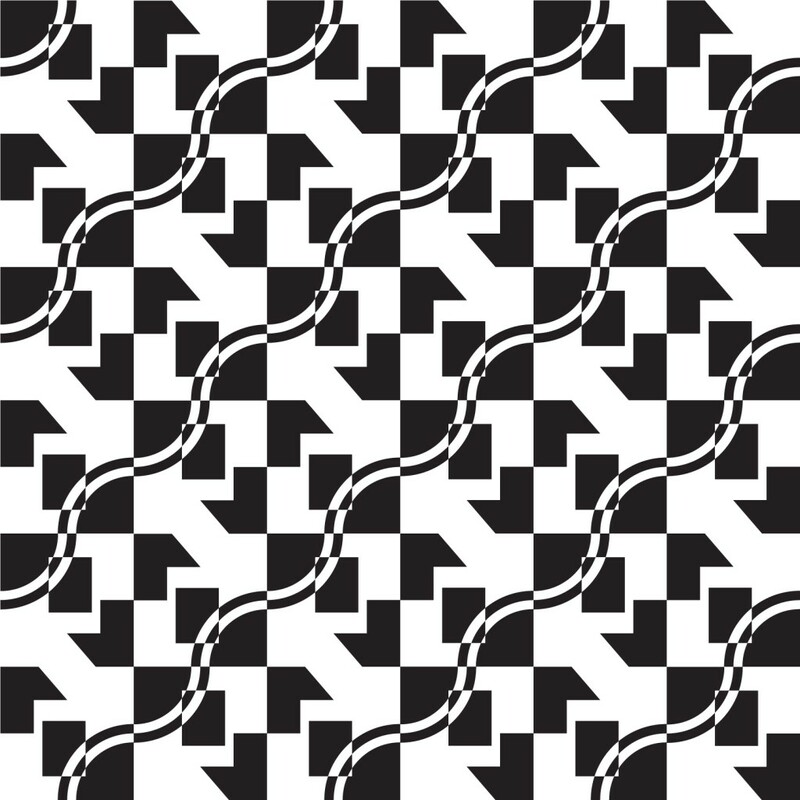 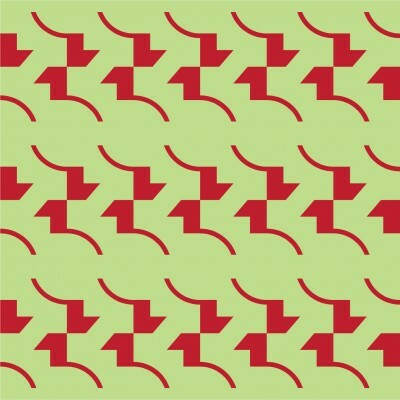 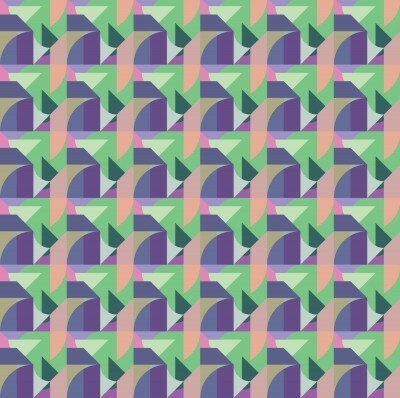 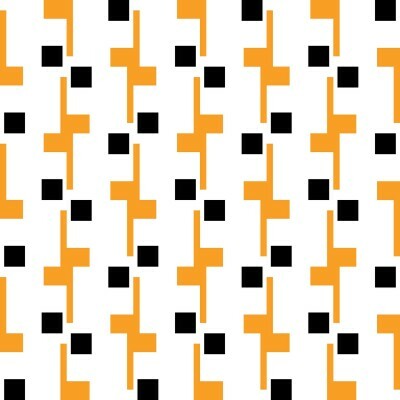 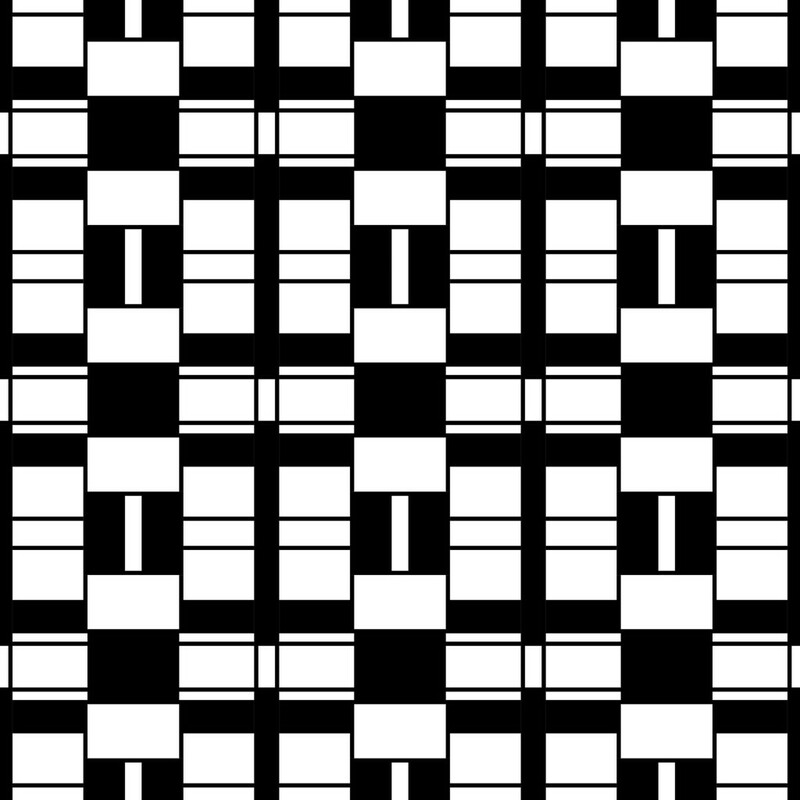 Pattern 5. 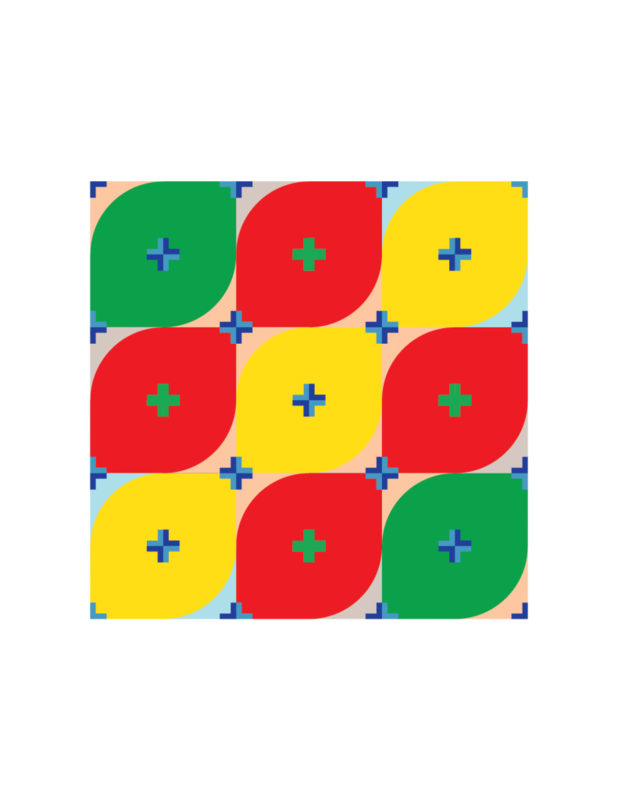 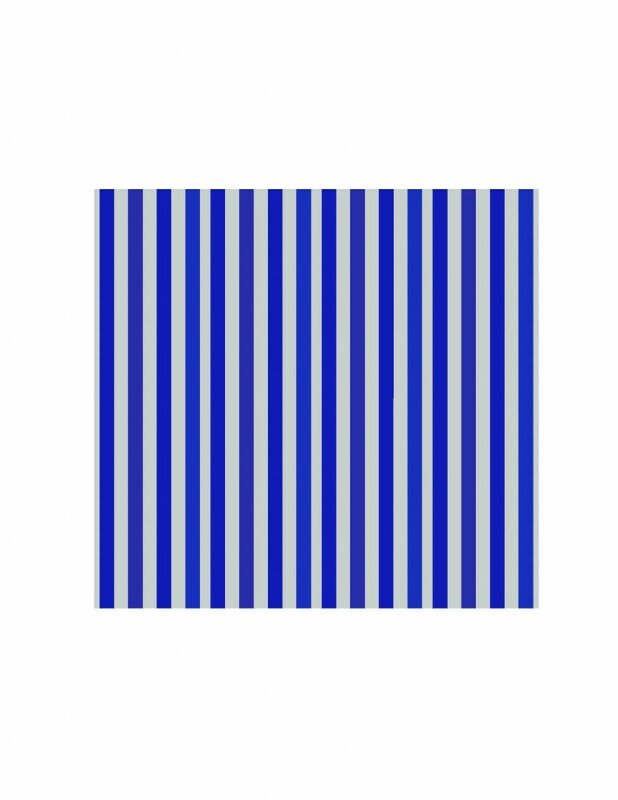 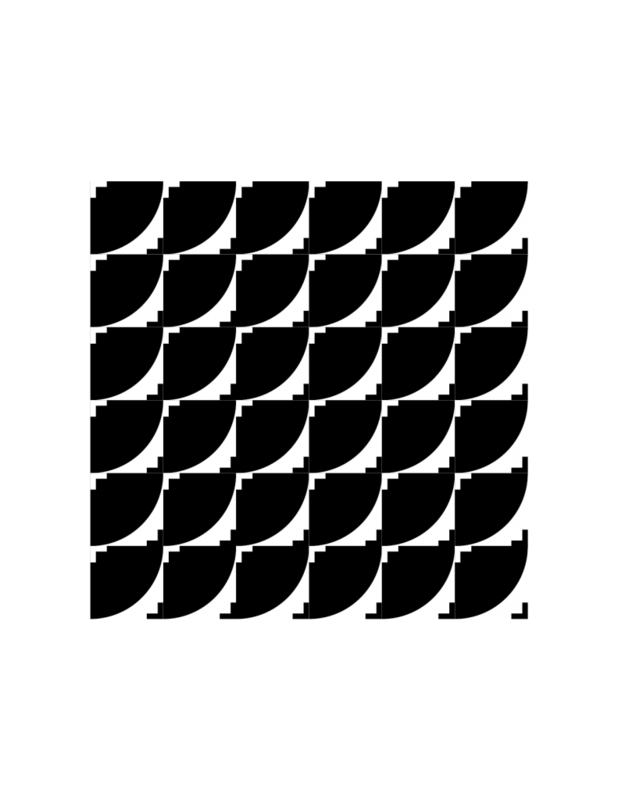 In a 2×2 grid, the top-left quadrant is rotated and repeated in clockwise fashion. 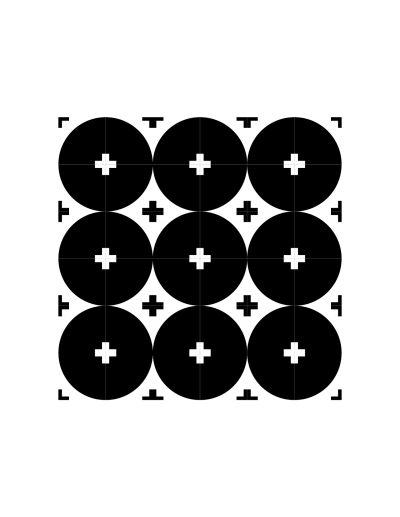 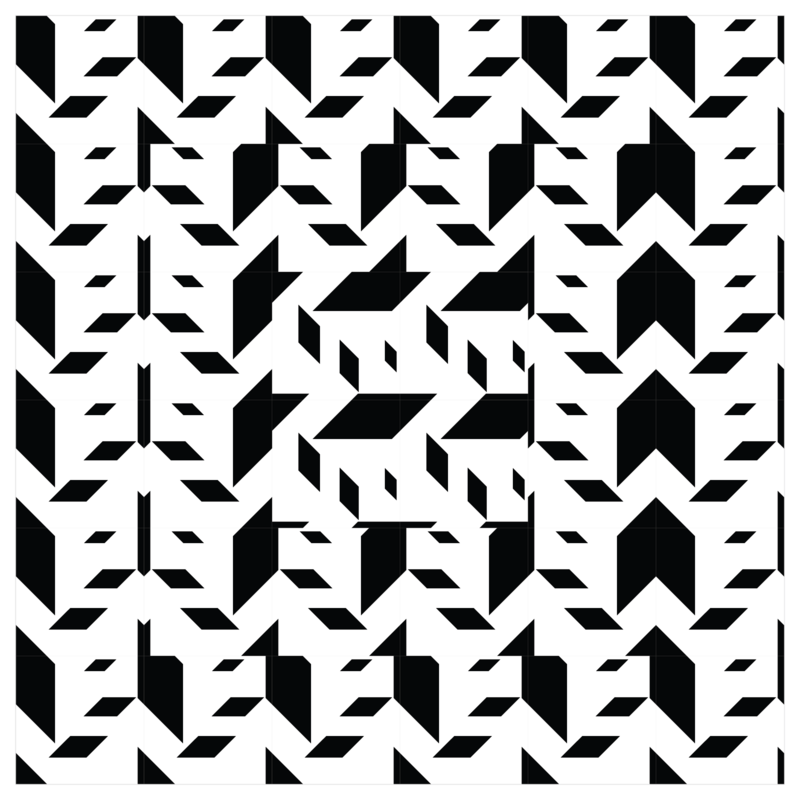 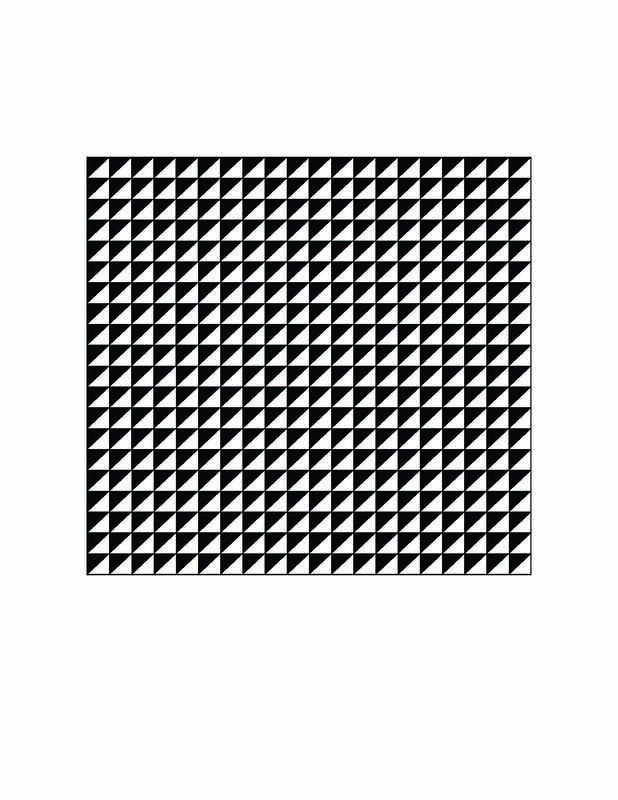 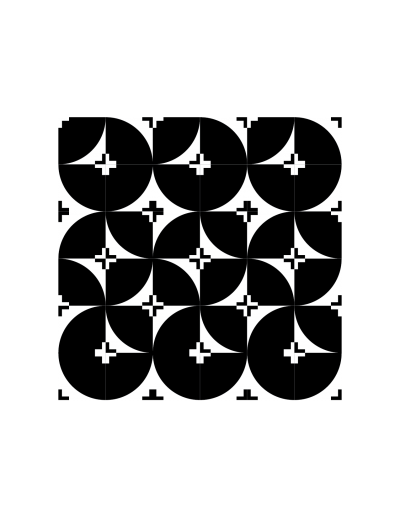 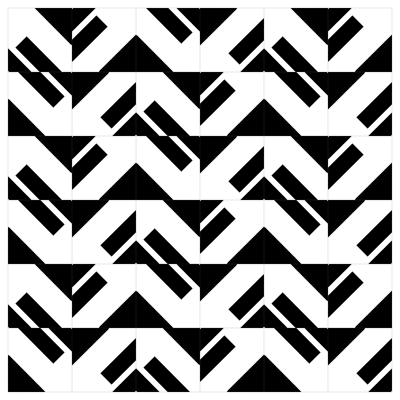 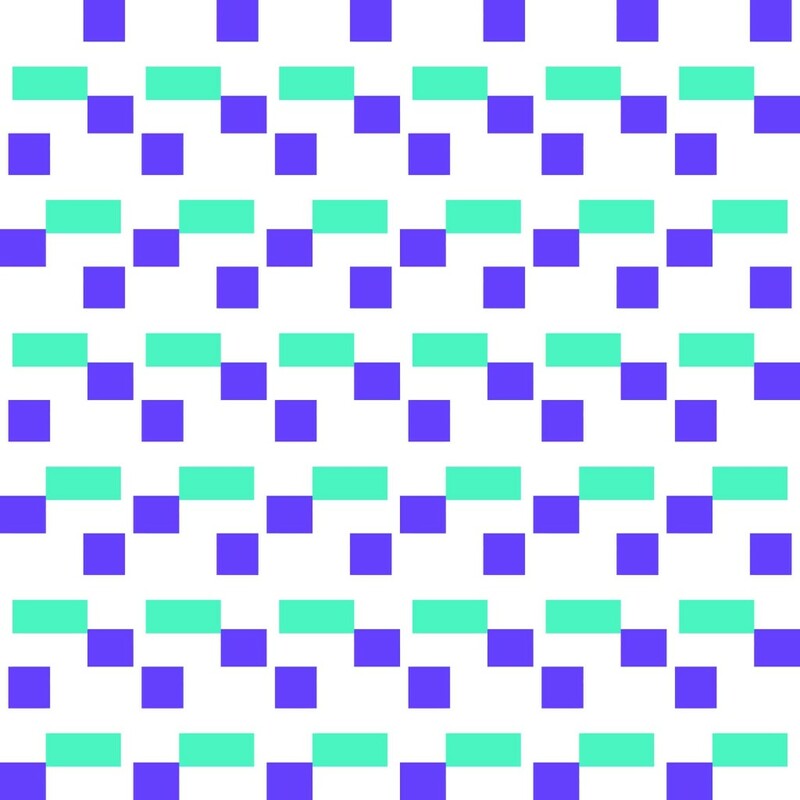 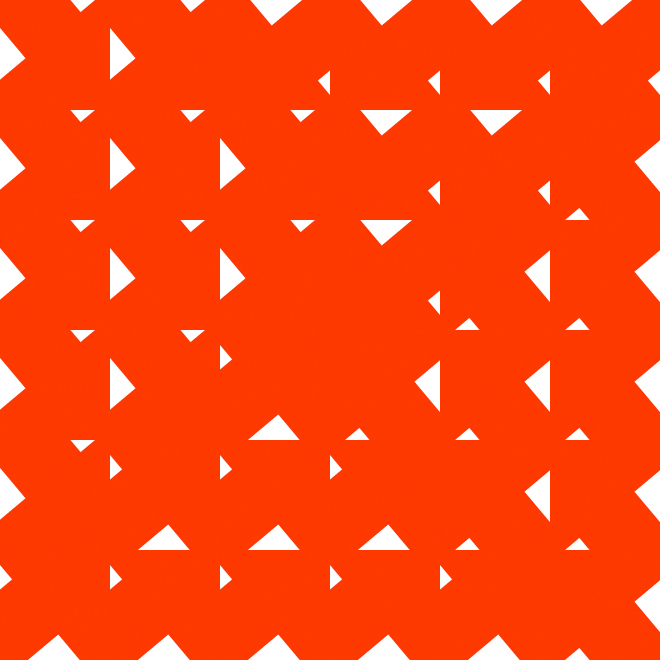 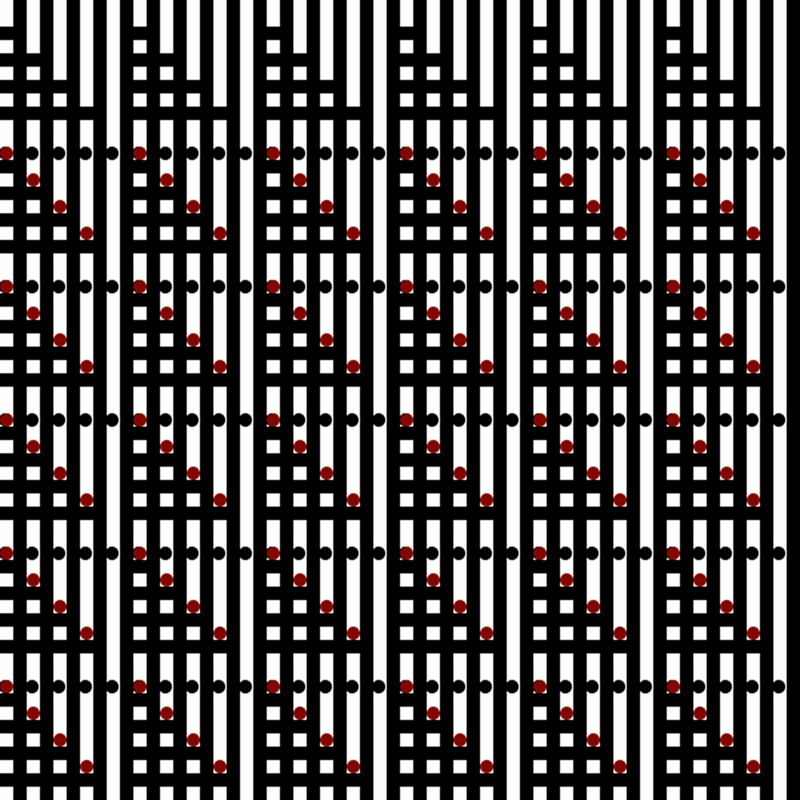 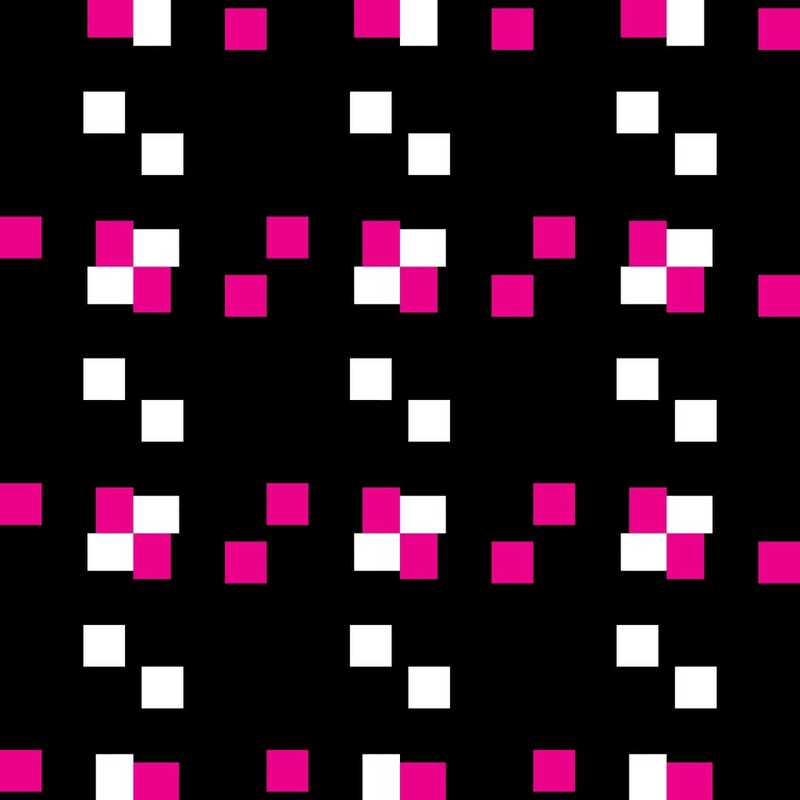 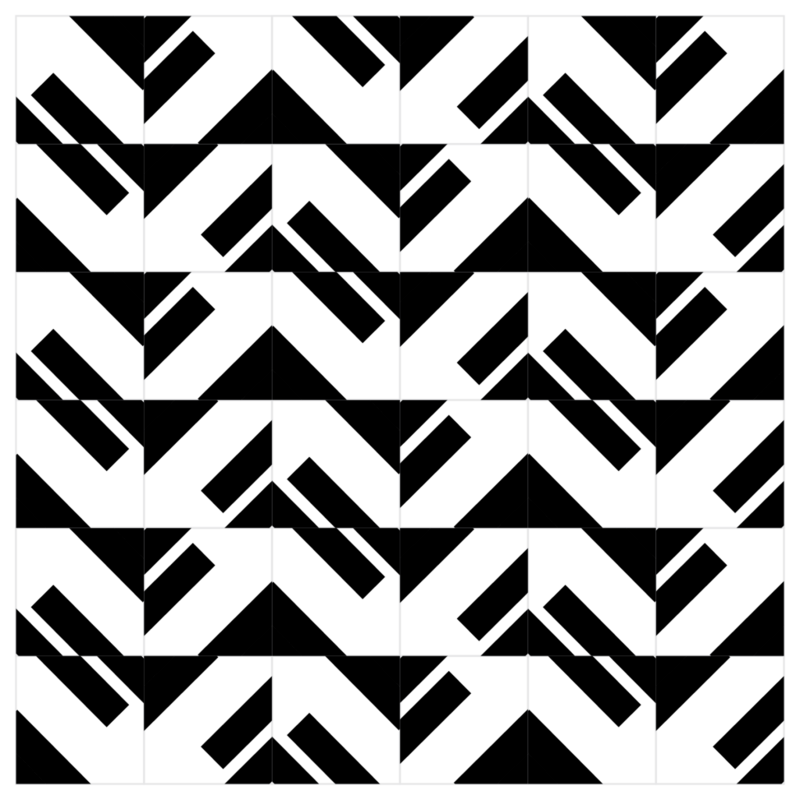 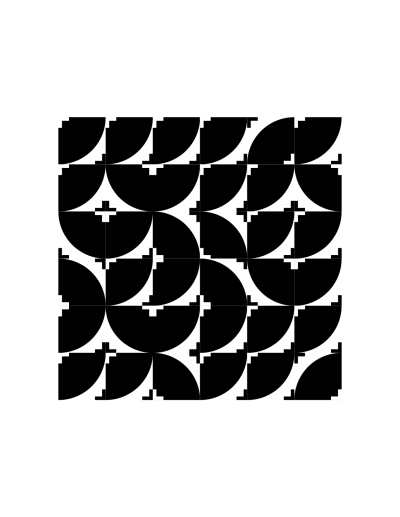 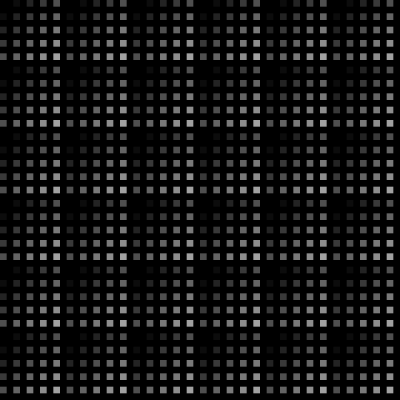 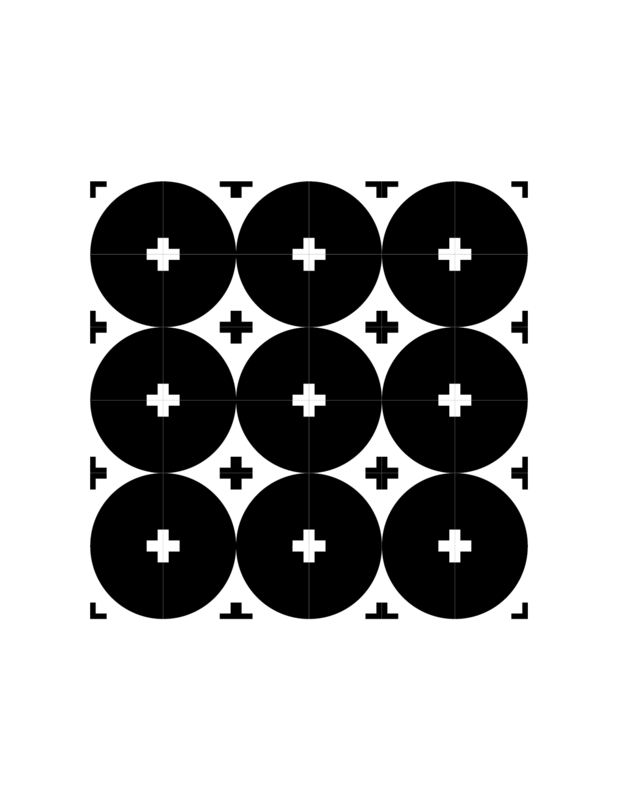 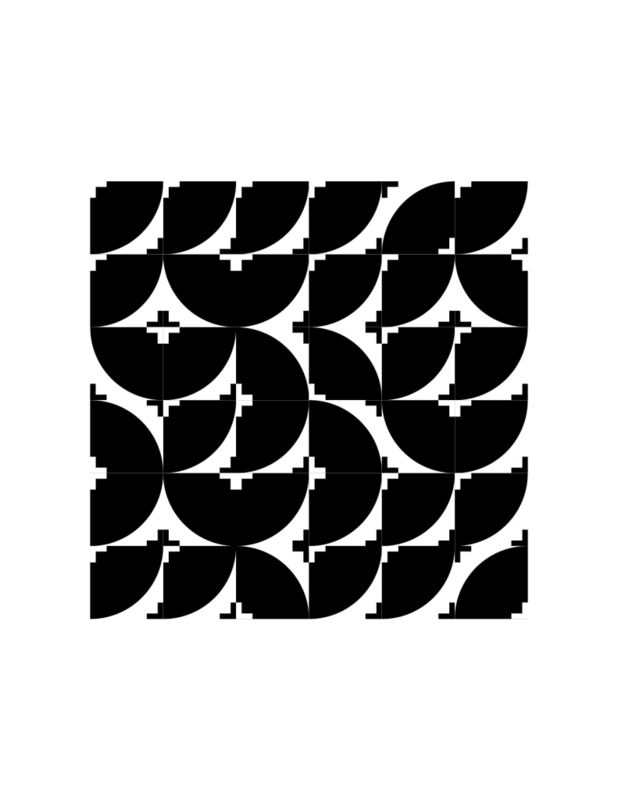 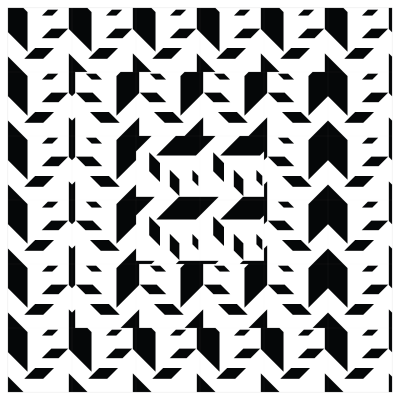 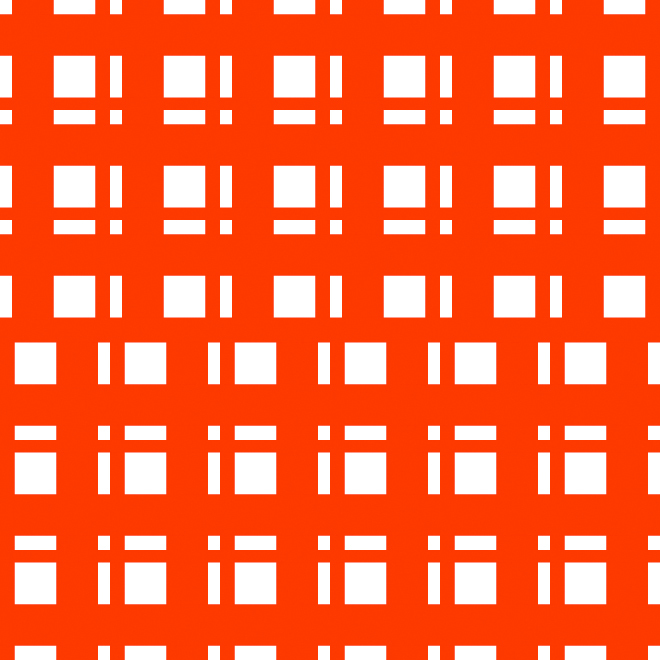 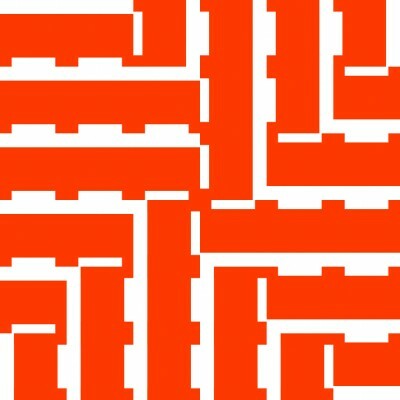 The result is repeated until the larger 8×8 grid is filled, with alternating 2×2 units being reflected vertically. 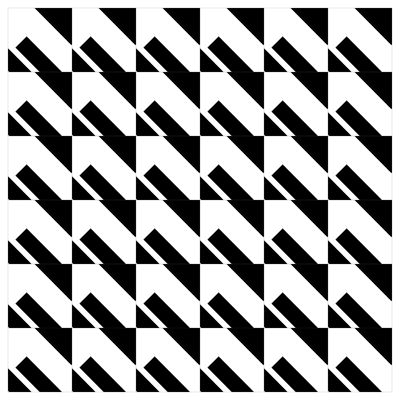 In a 2×2 grid, the top-left quadrant is rotated and repeated in clockwise fashion. 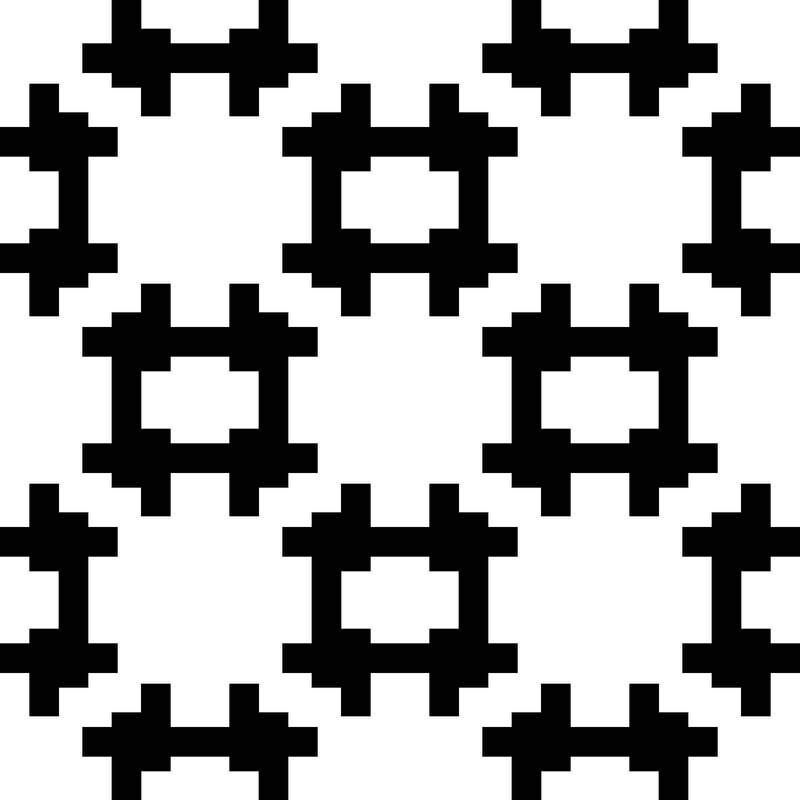 The result is repeated until the larger 8×8 grid is filled, with alternating 2×2 units being reflected vertically. 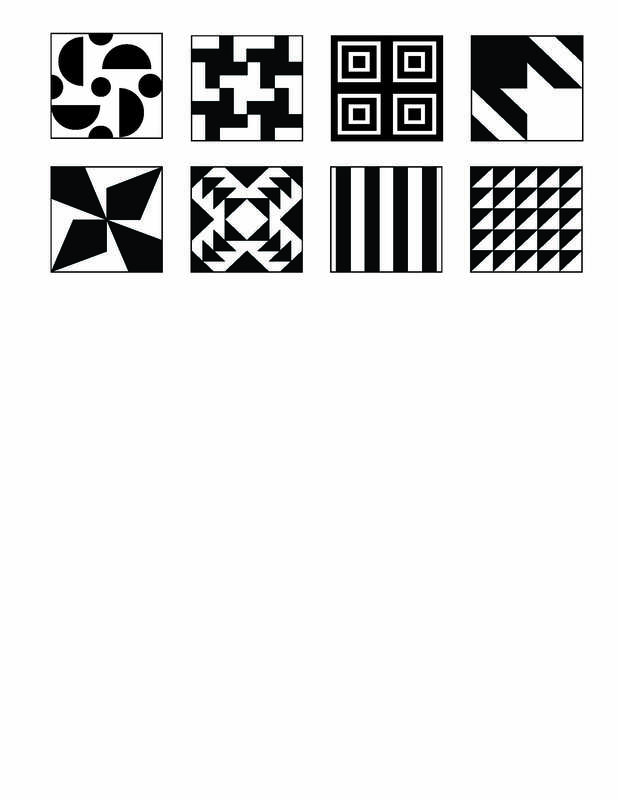 Pattern 4. 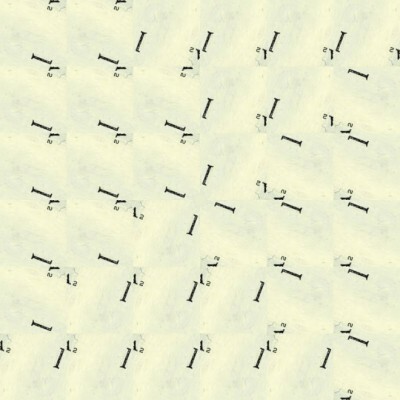 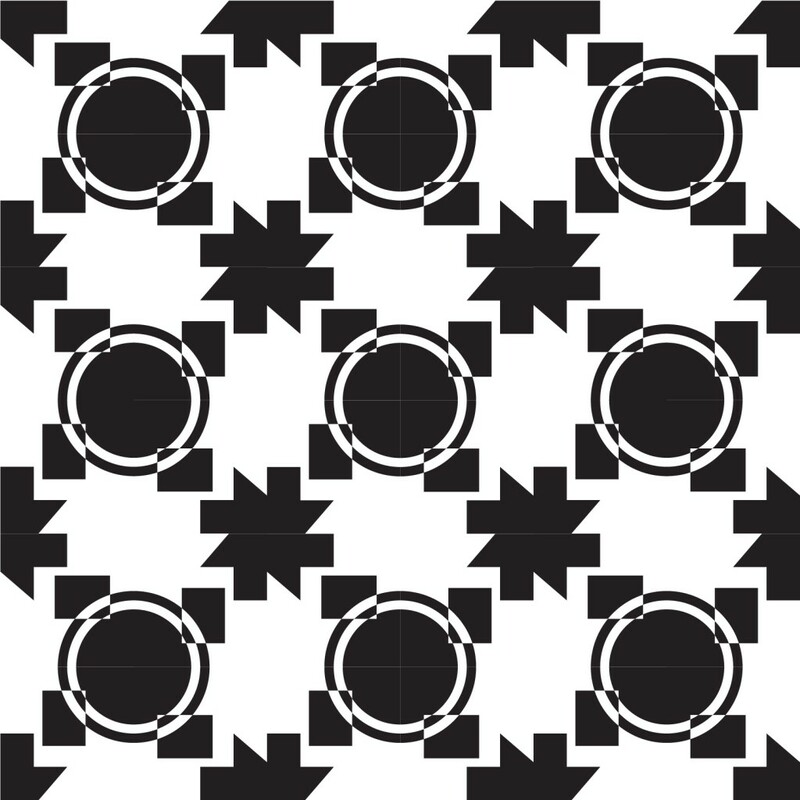 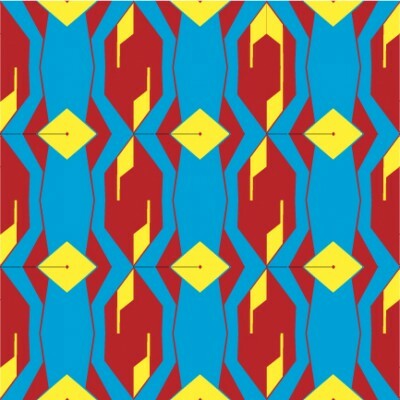 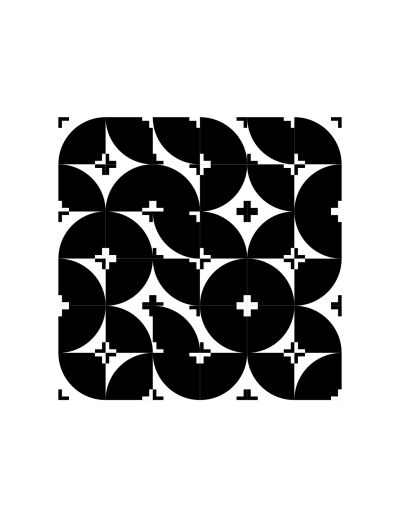 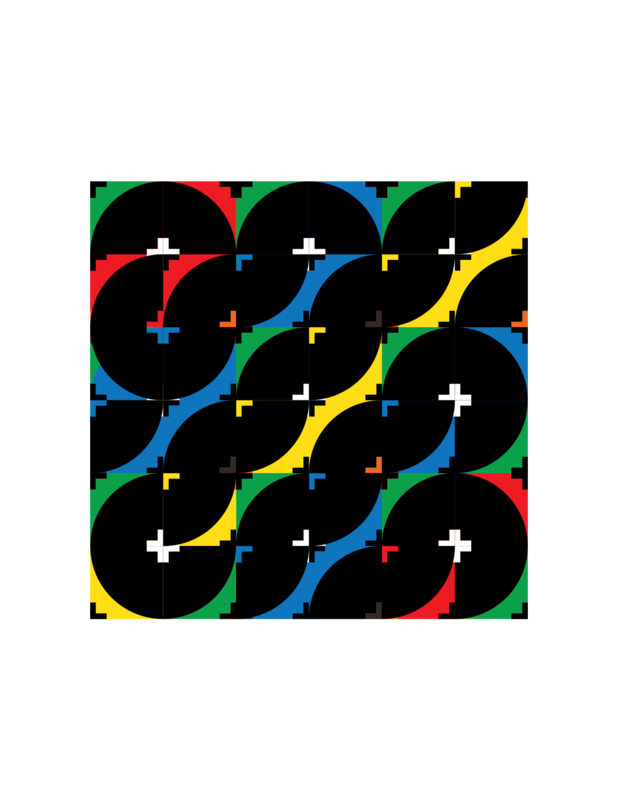 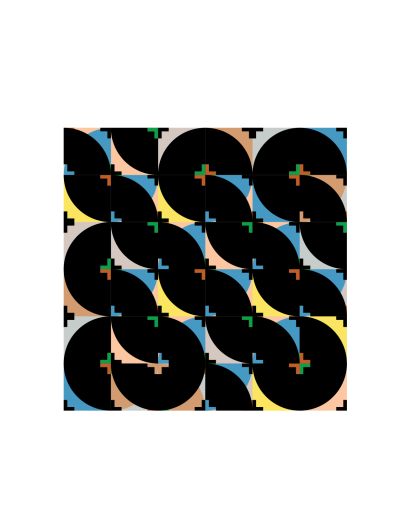 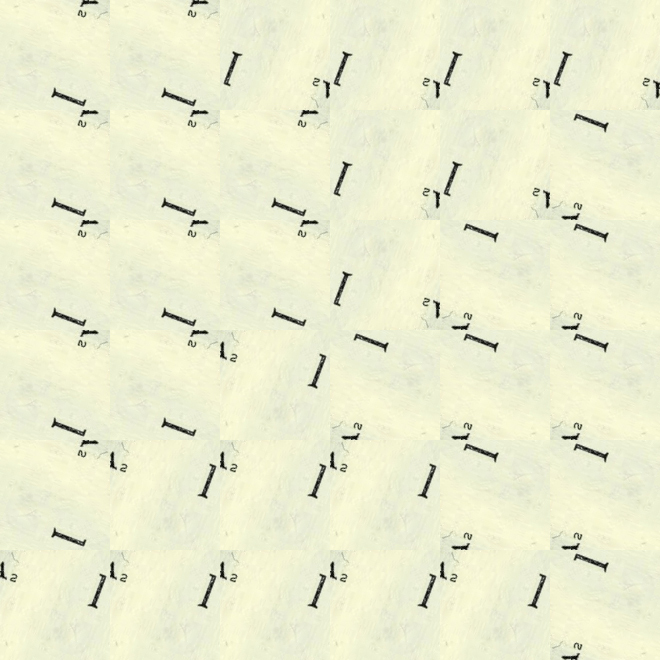 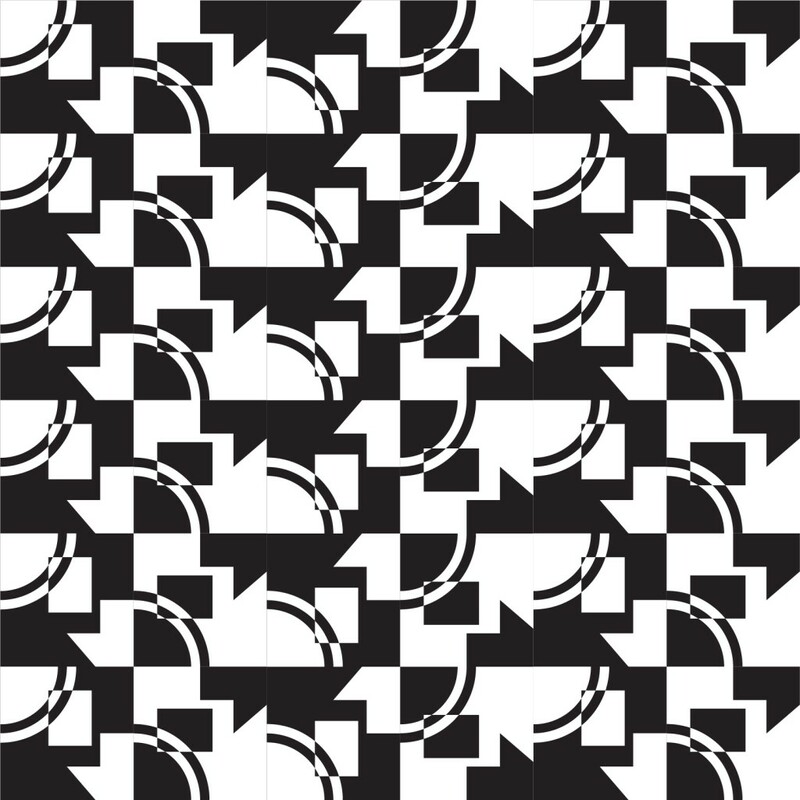 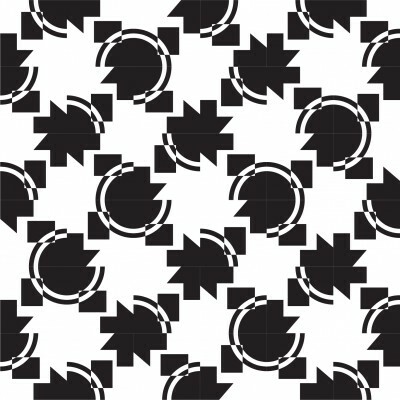 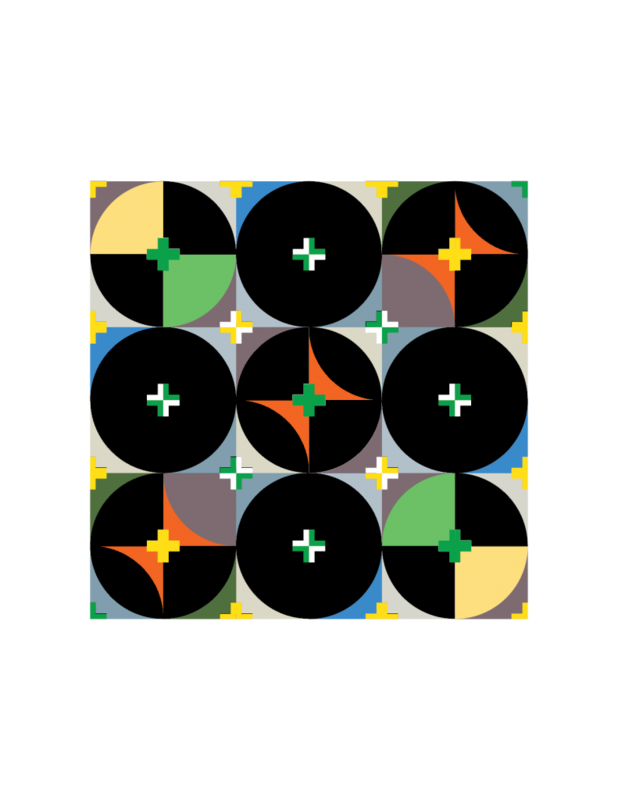 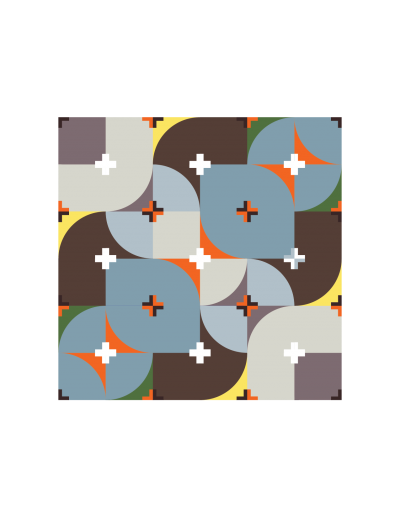 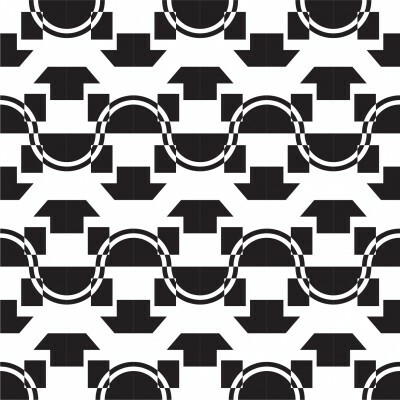 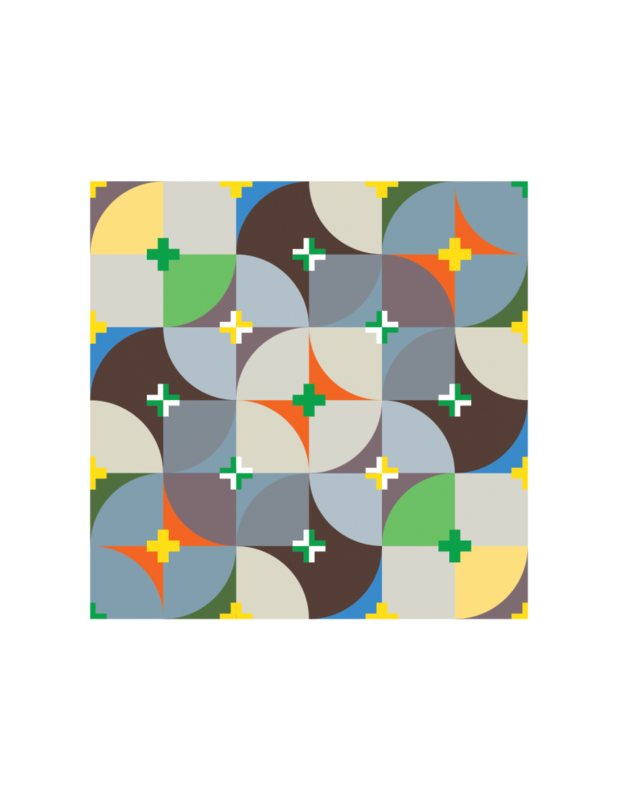 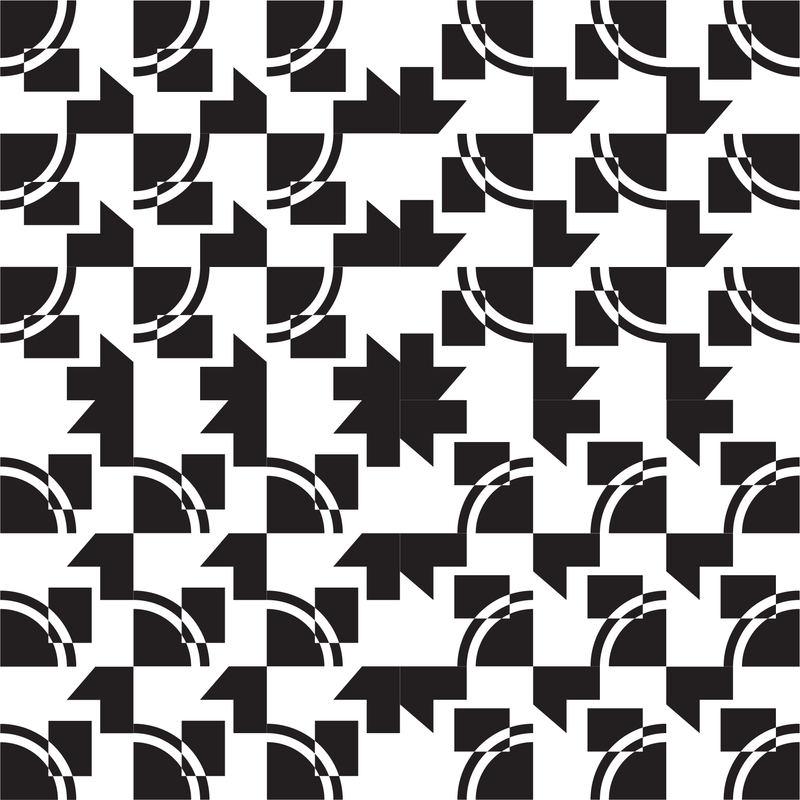 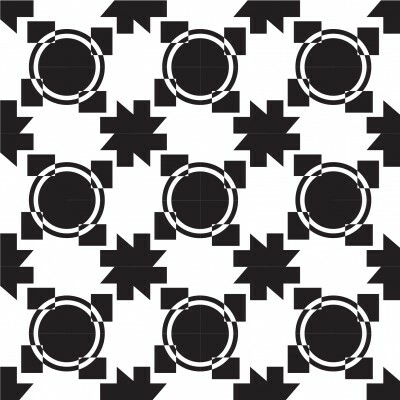 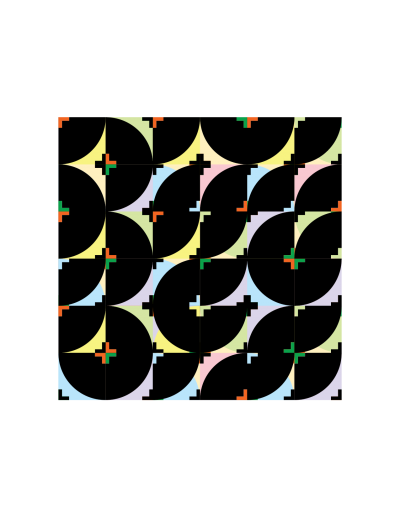 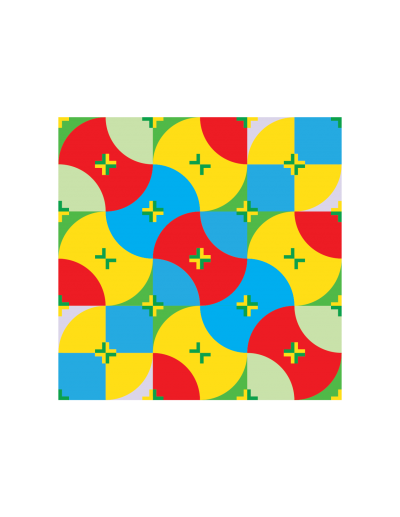 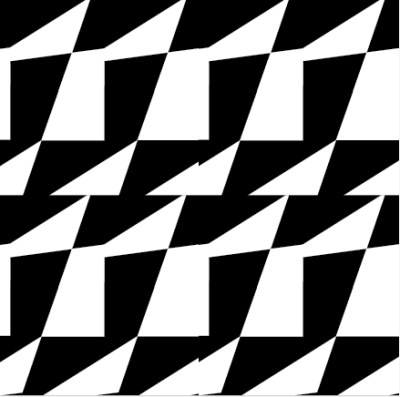 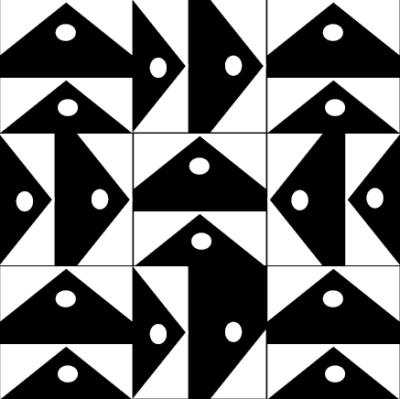 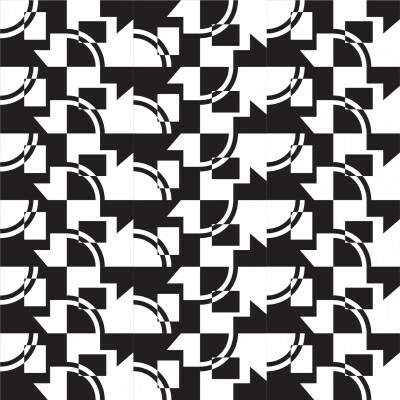 Squares adjacent to central square are given counter-clockwise rotations. 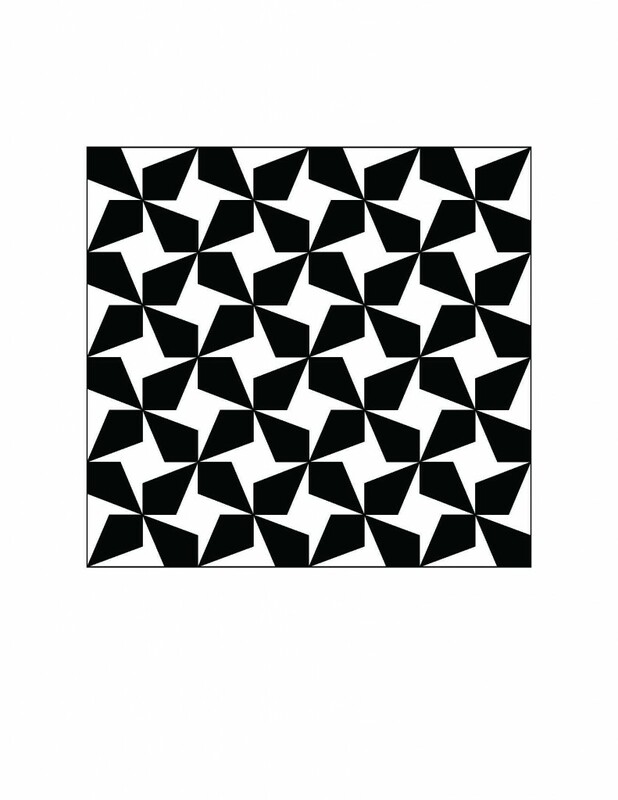 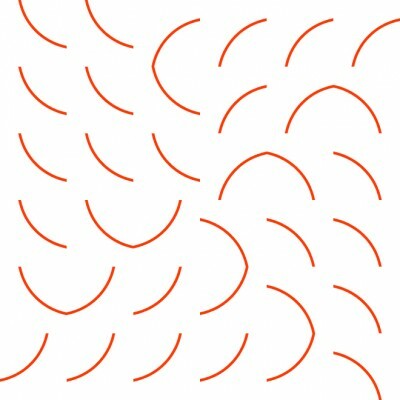 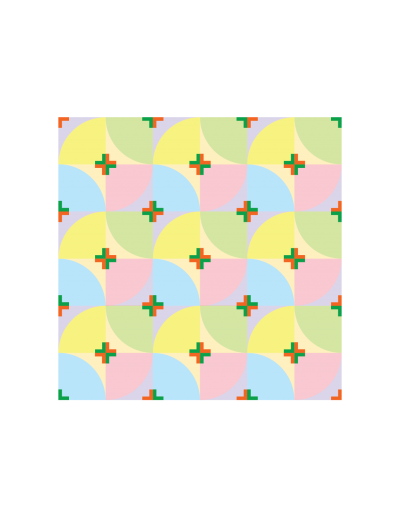 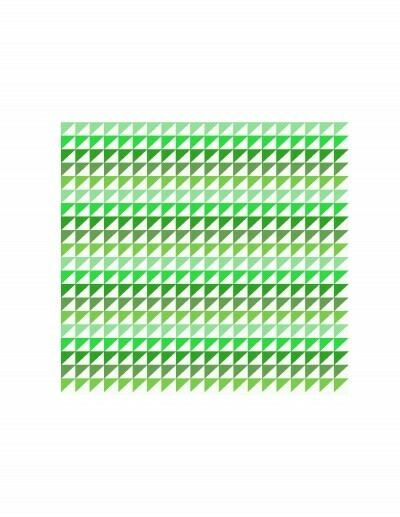 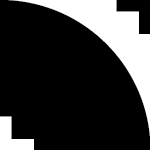 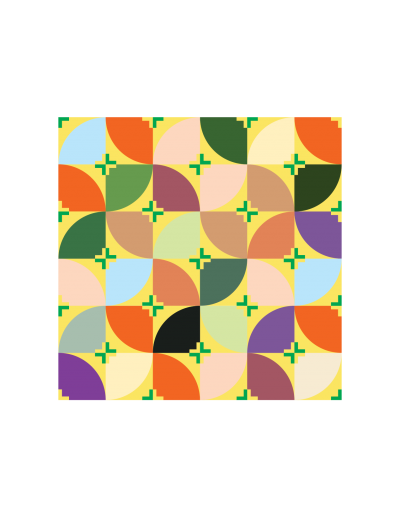 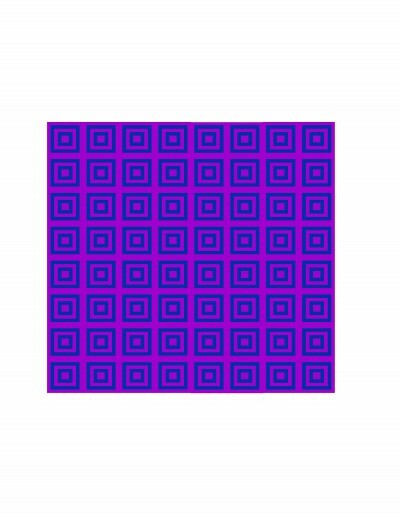 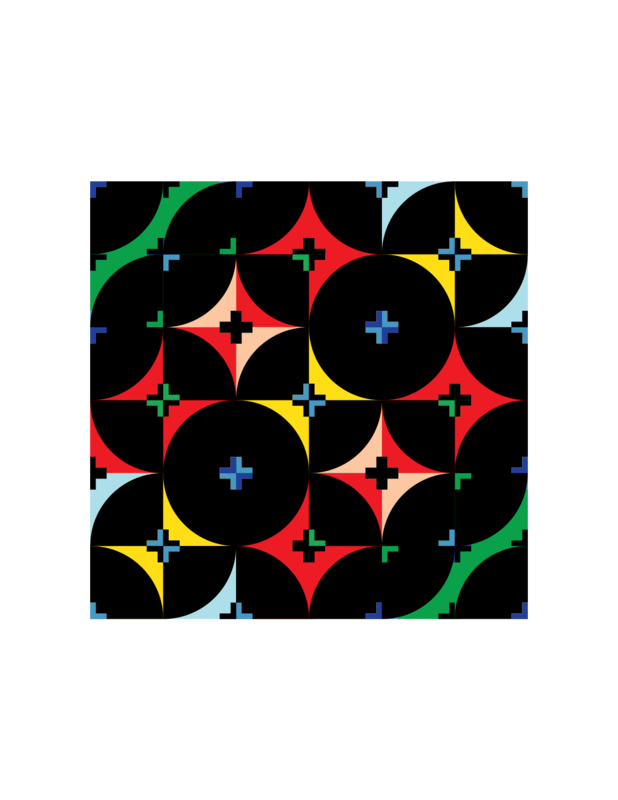 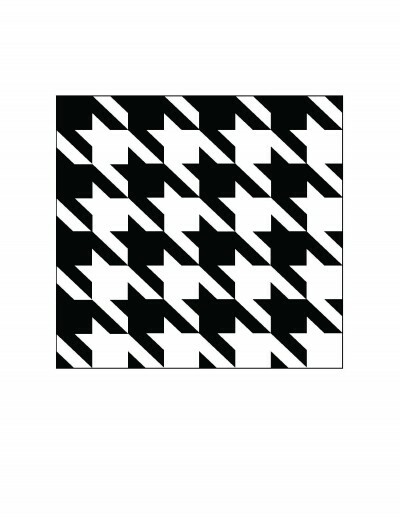 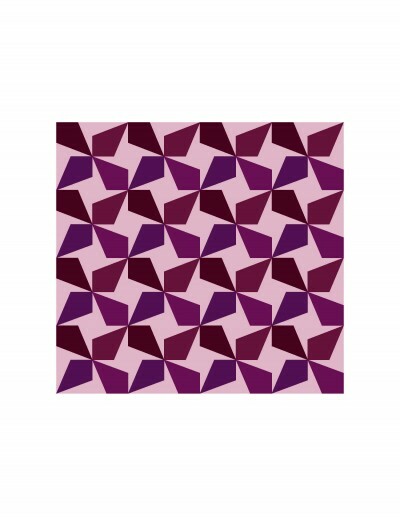 Diagonally adjacent squares are given clockwise rotations. 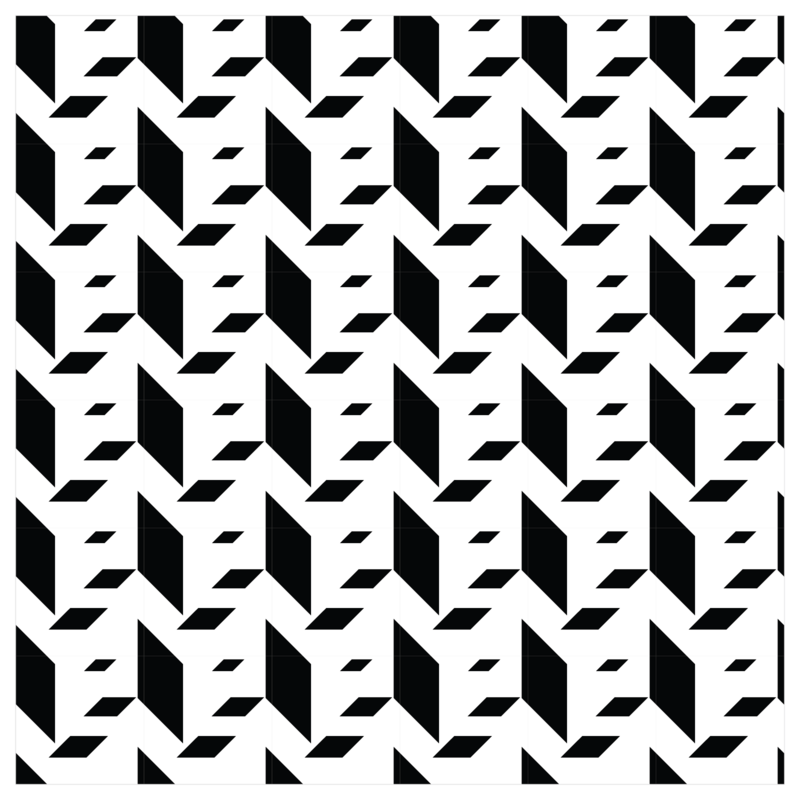 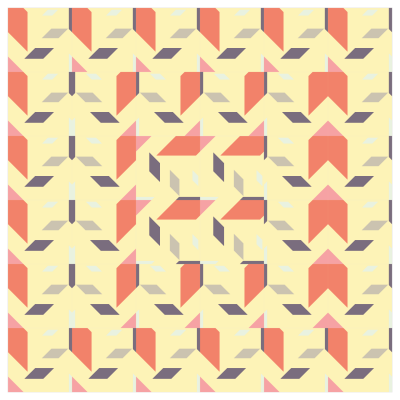 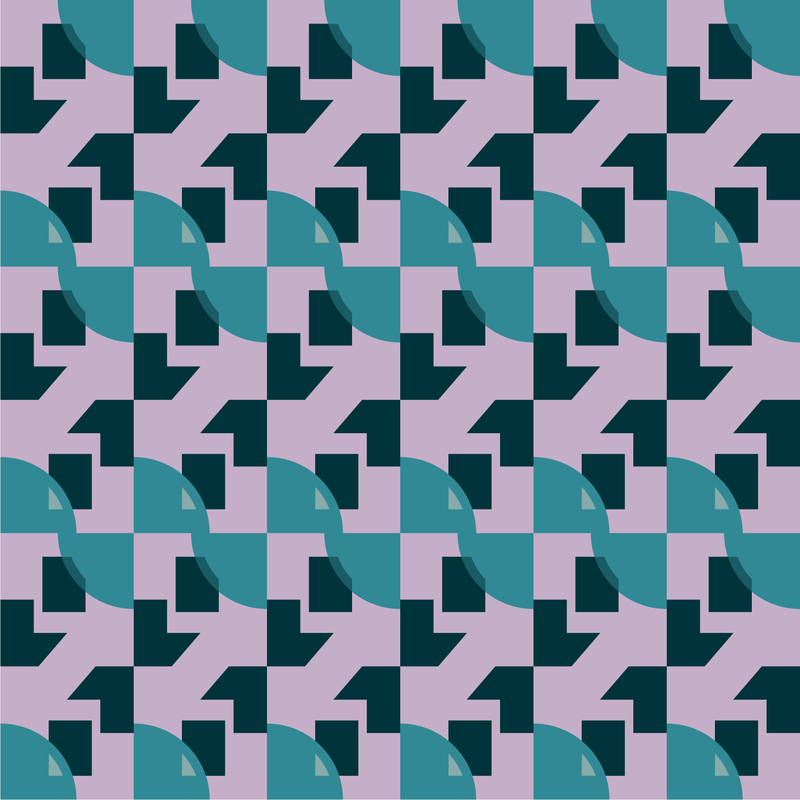 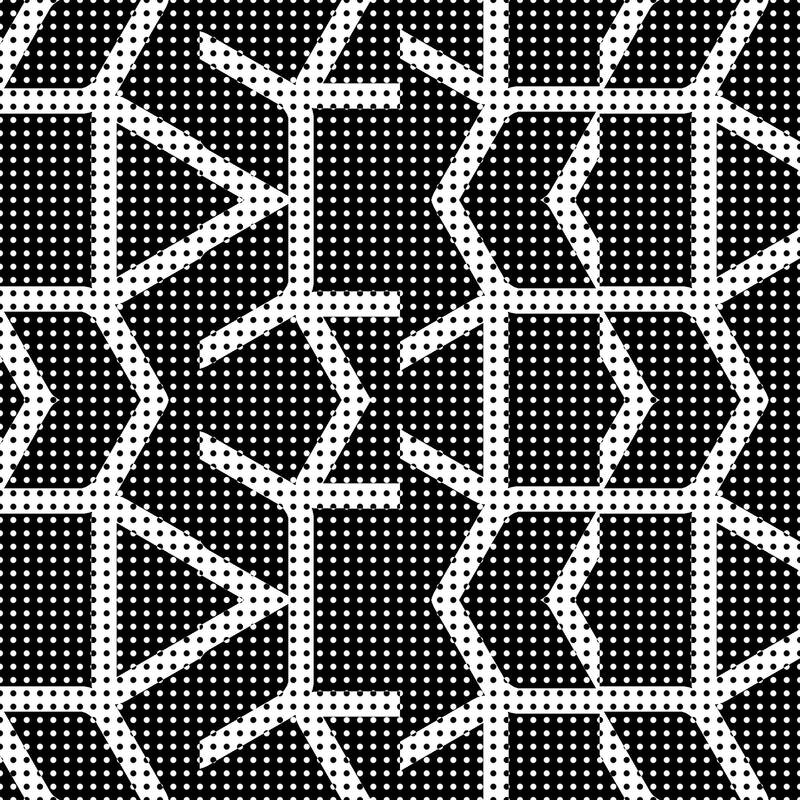 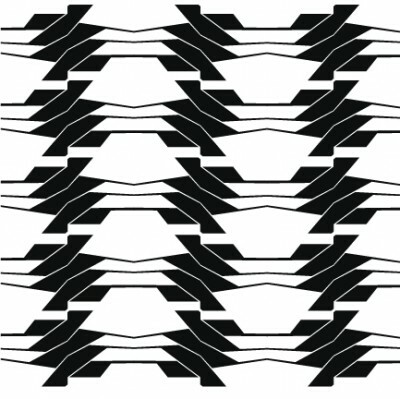 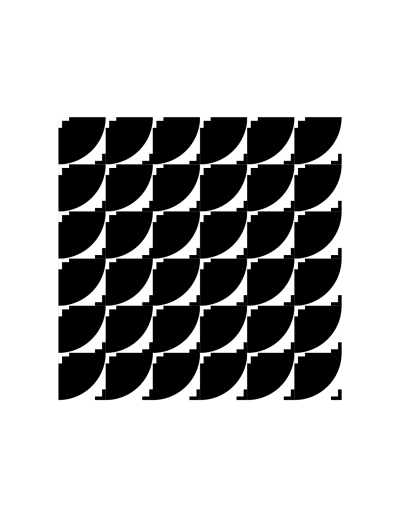 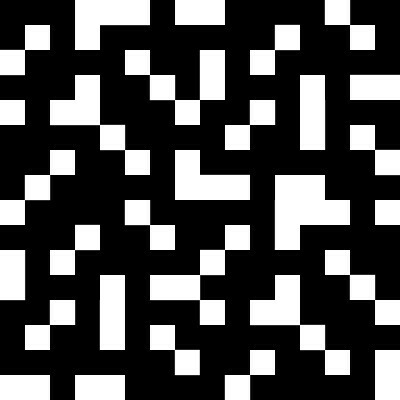 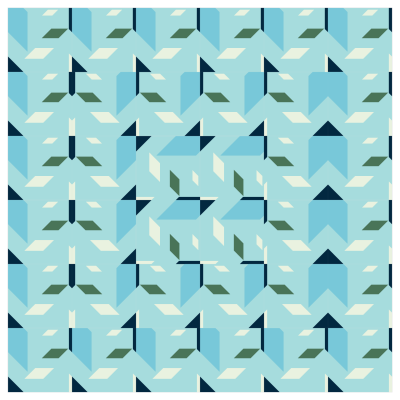 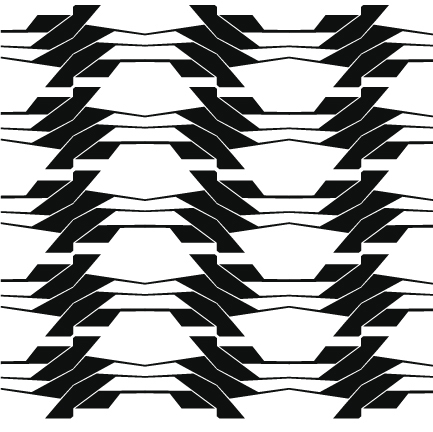 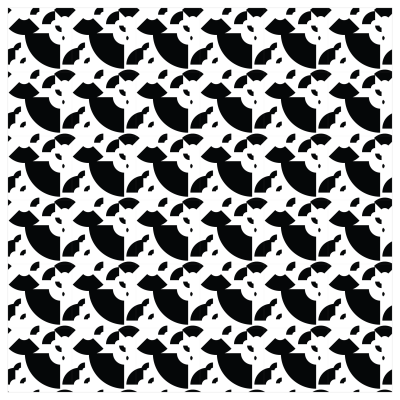 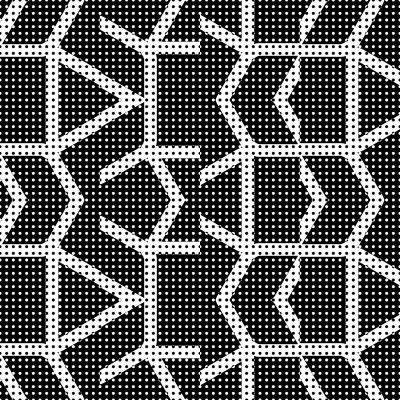 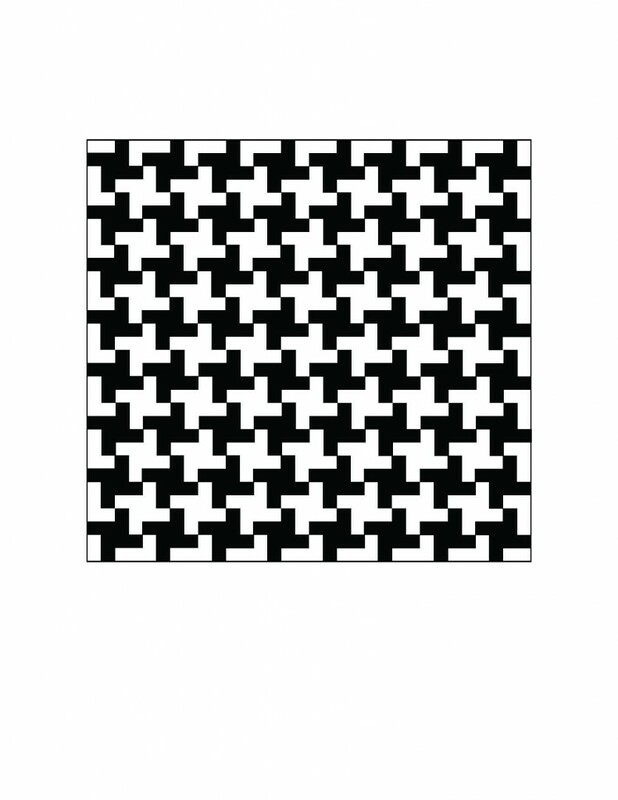 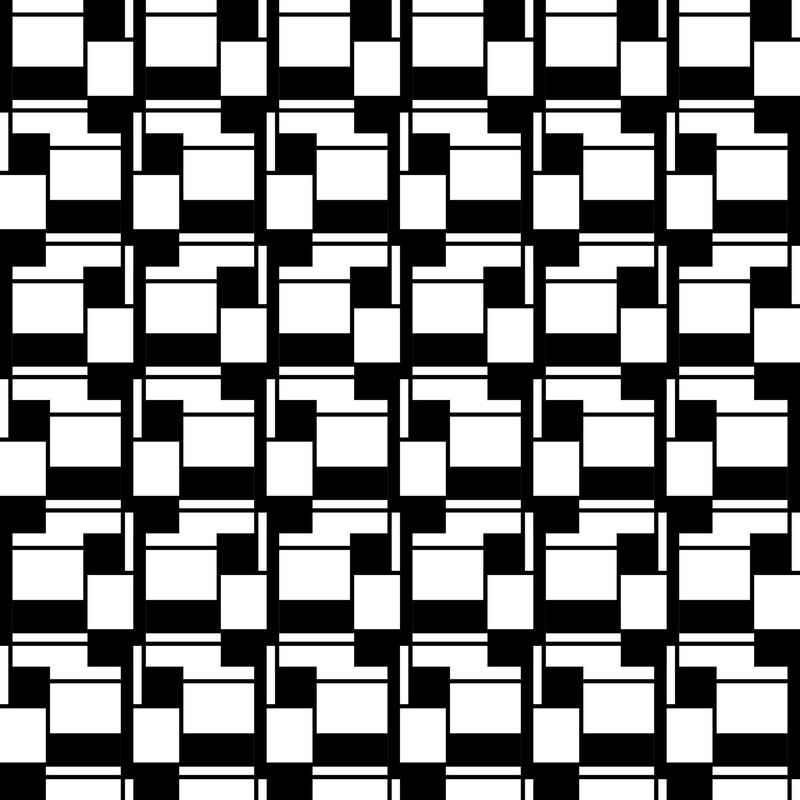 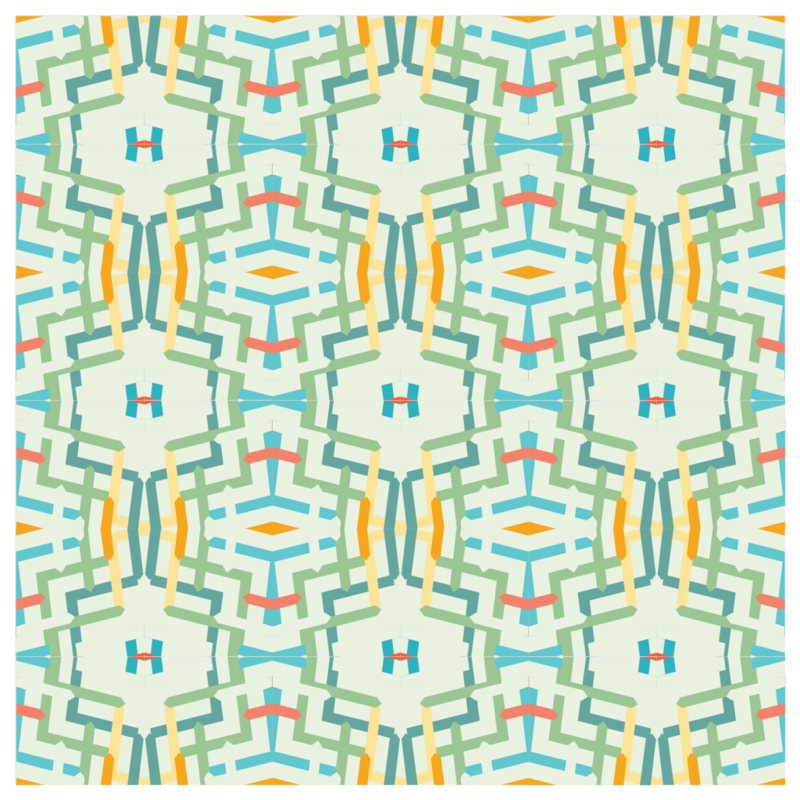 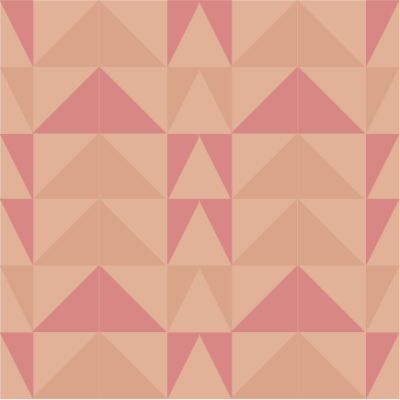 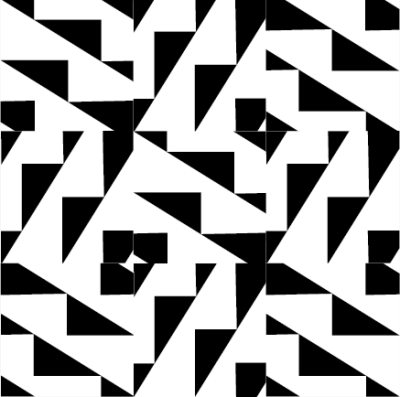 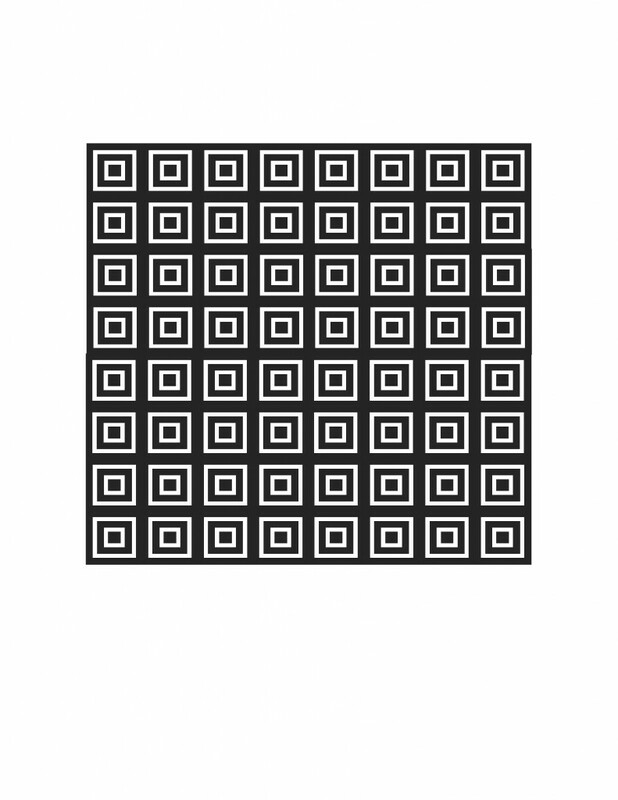 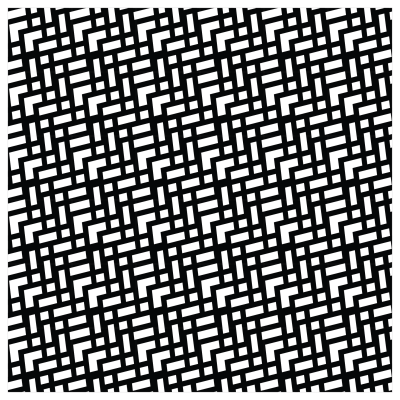 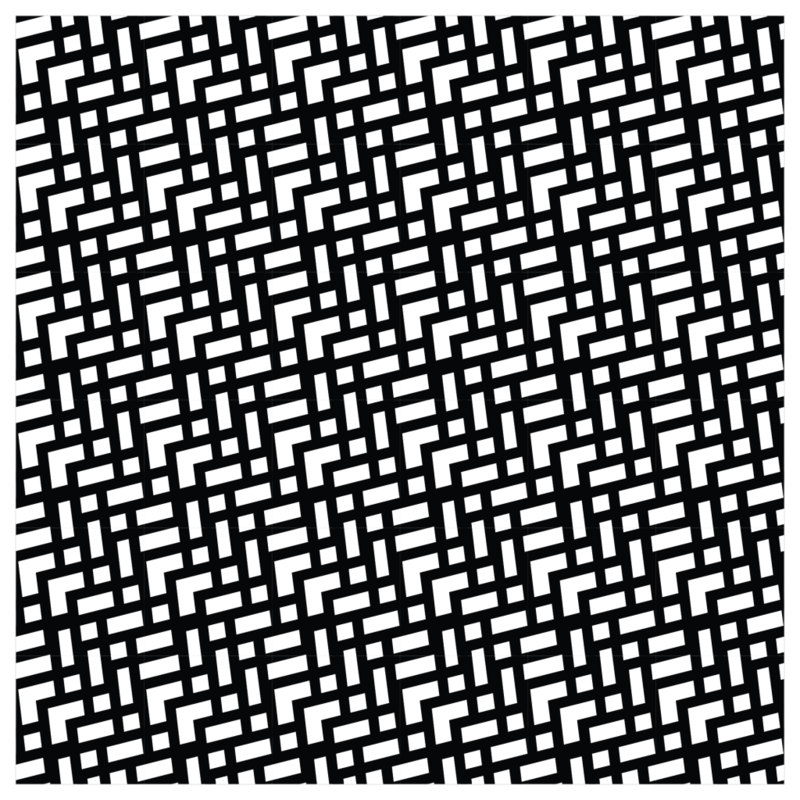 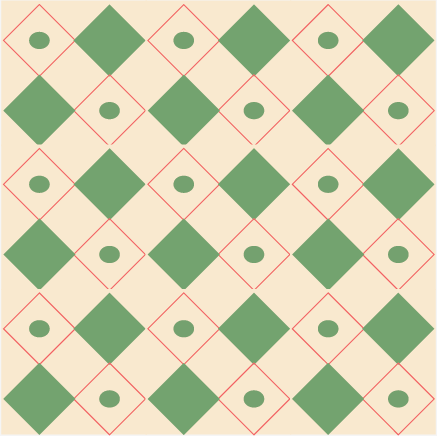 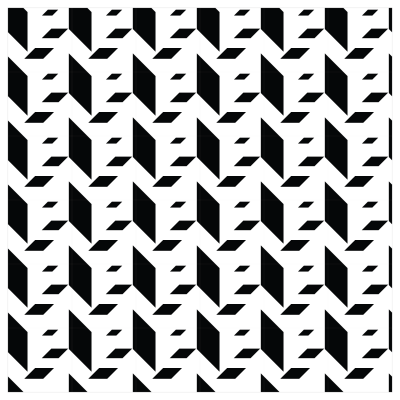 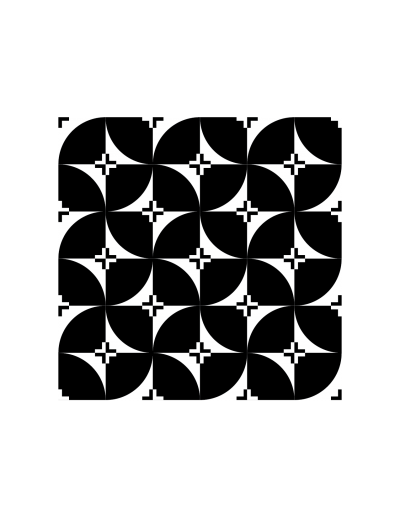 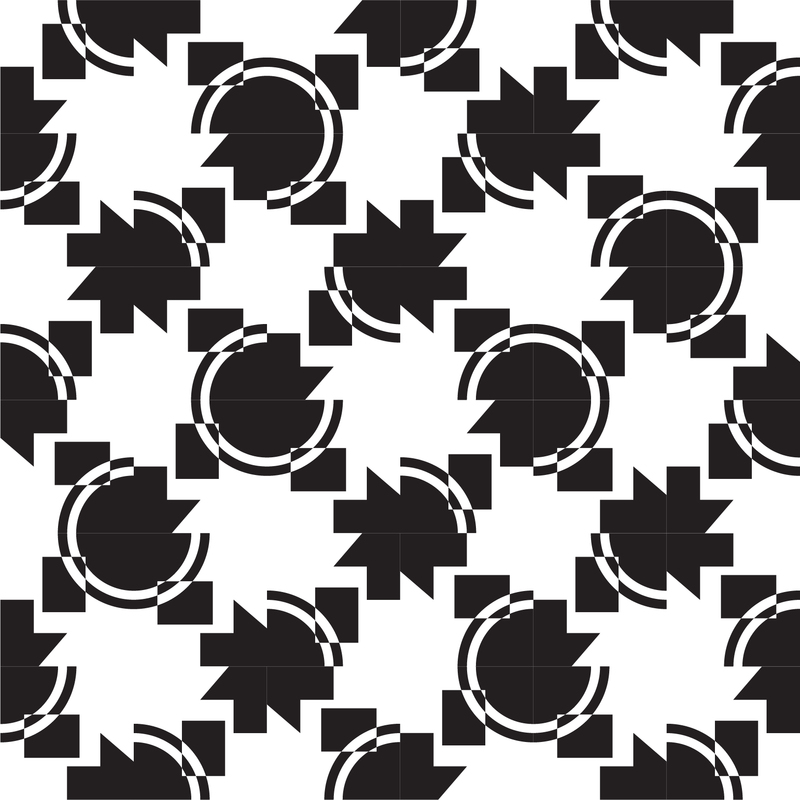 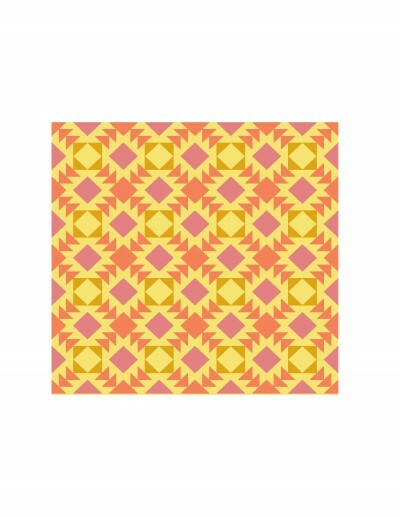 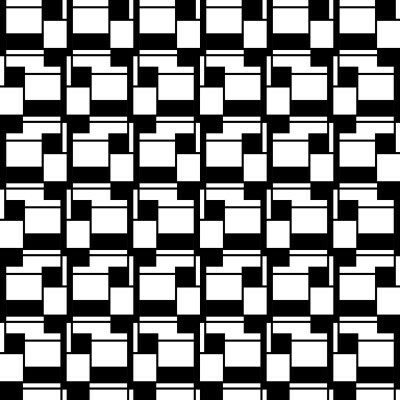 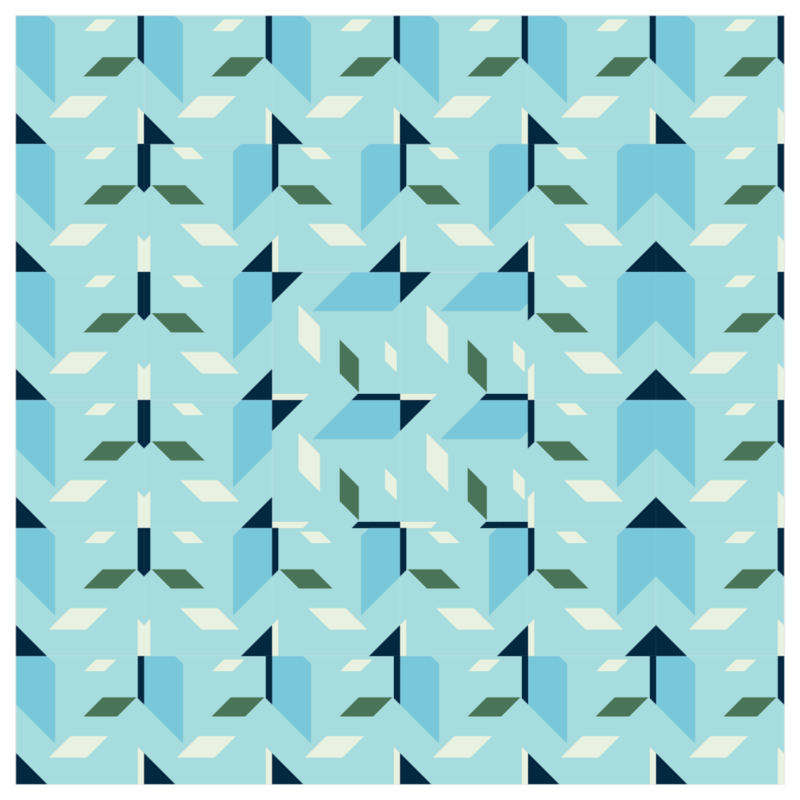 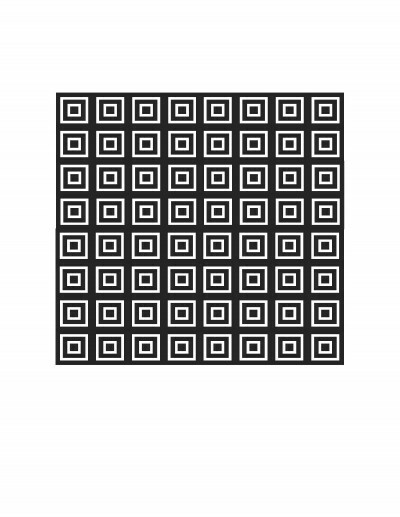 The resulting 3×3 pattern is repeated left to right until the larger grid is filled up, rotated clockwise each time. 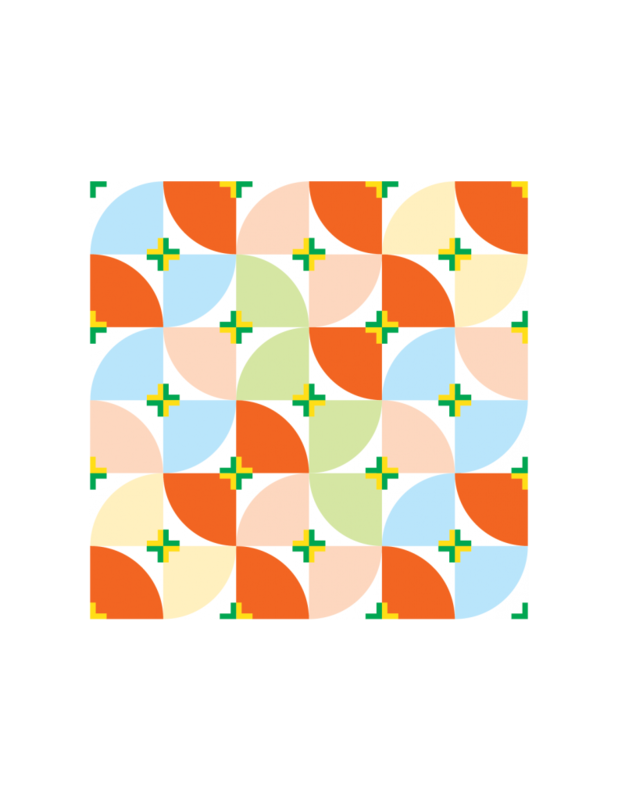 Squares adjacent to central square are given counter-clockwise rotations. 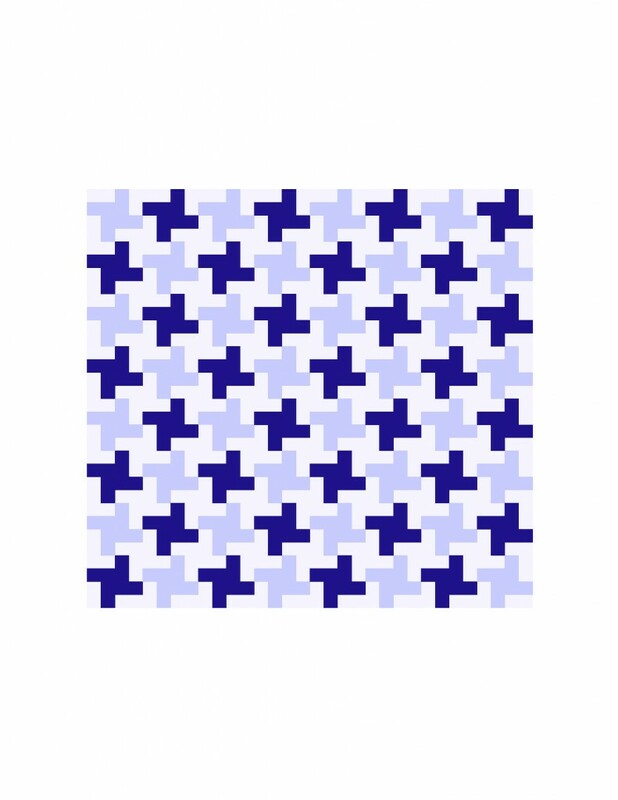 Diagonally adjacent squares are given clockwise rotations. 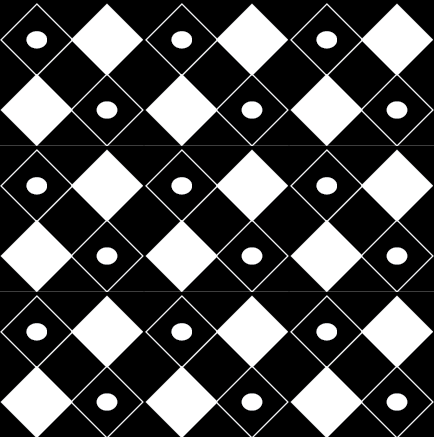 The resulting 3×3 pattern is repeated left to right until the larger grid is filled up, rotated clockwise each time. 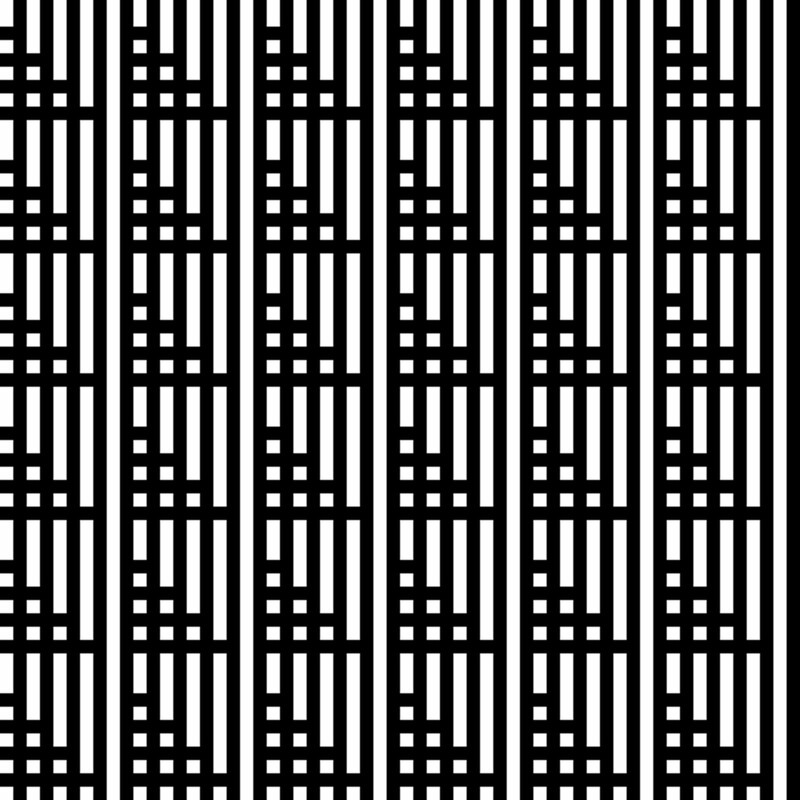 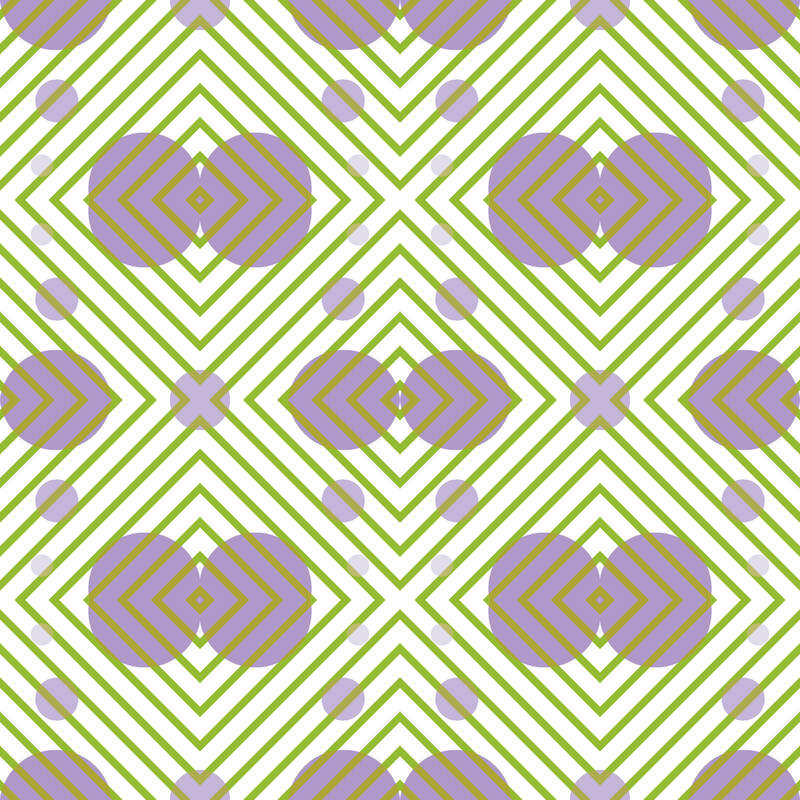 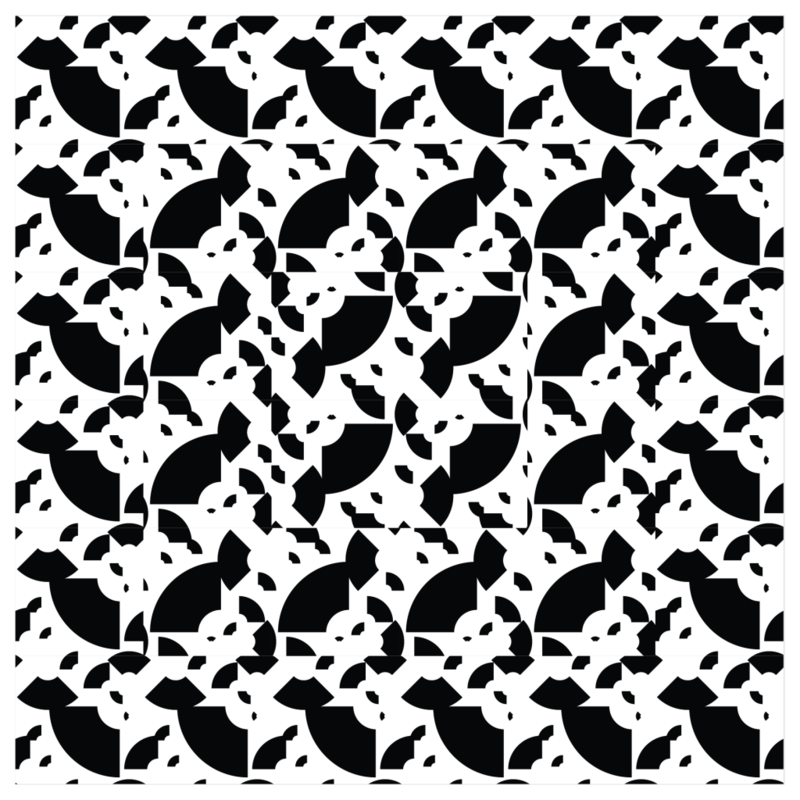 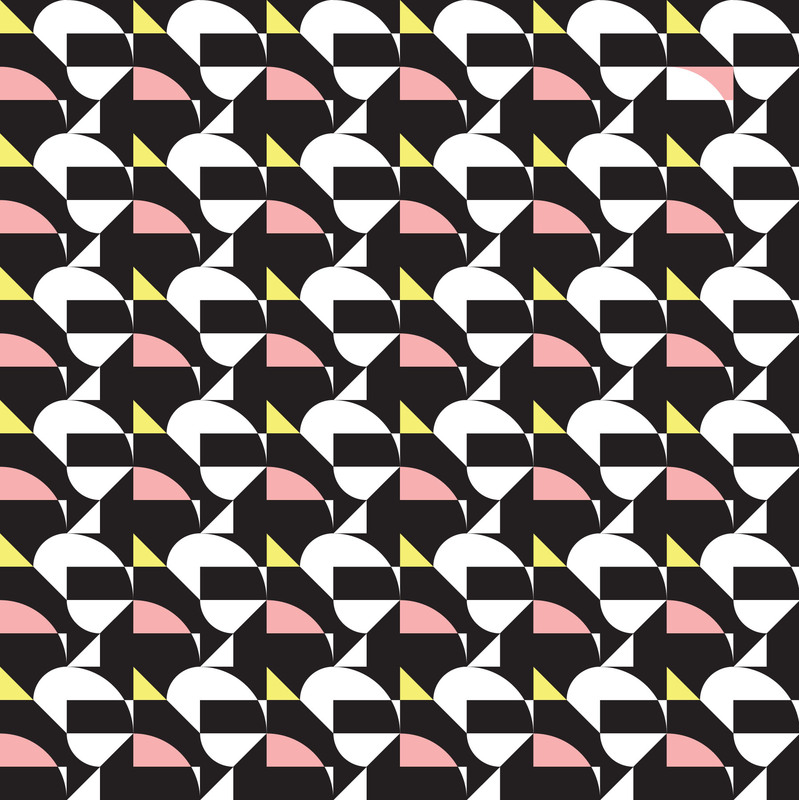 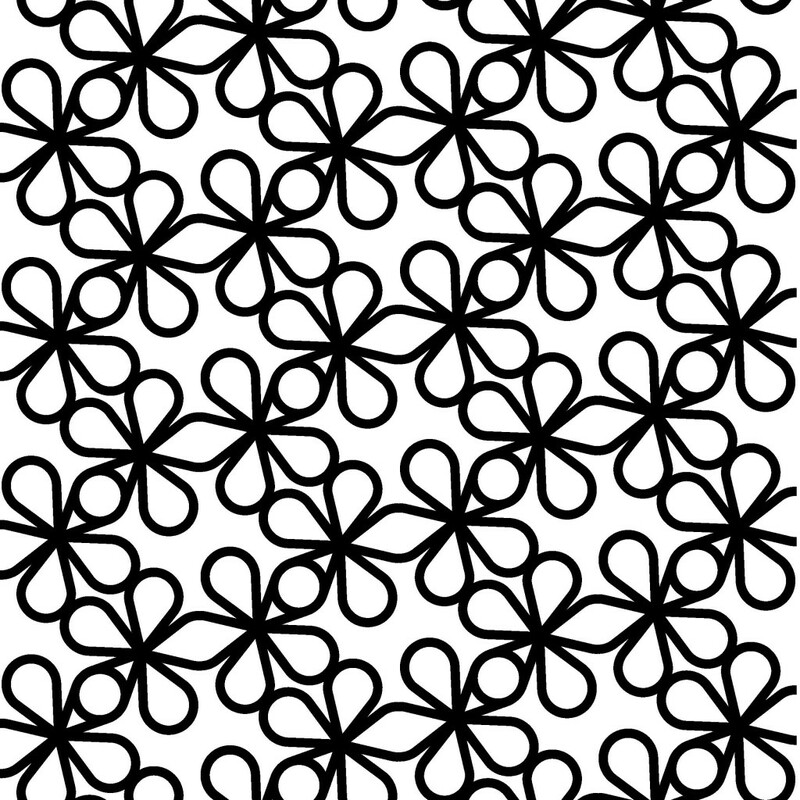 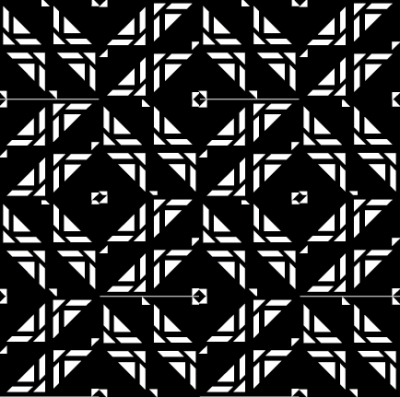 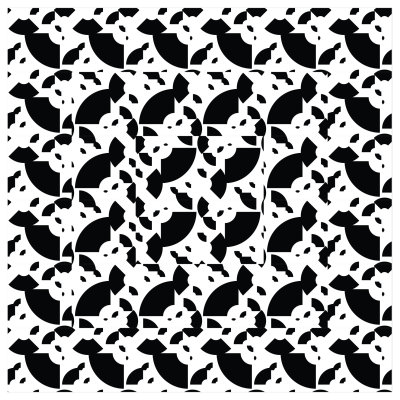 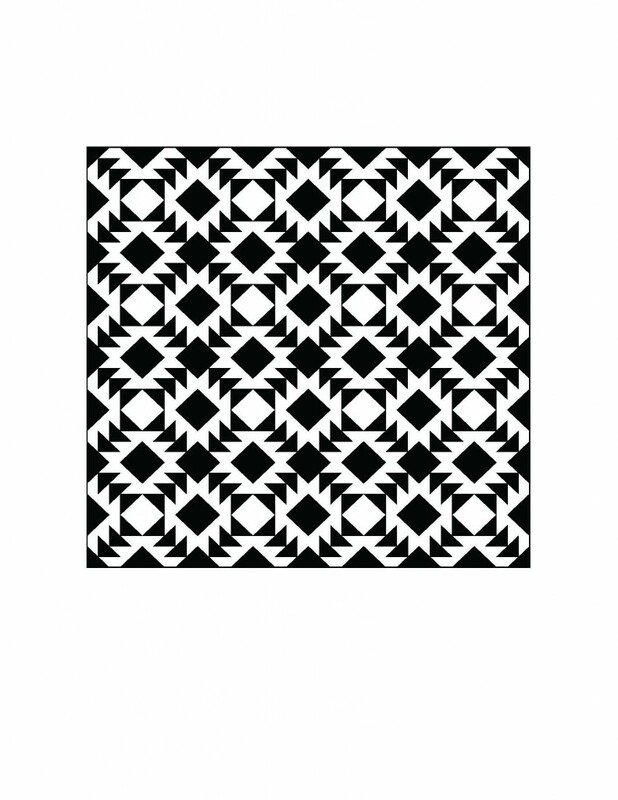 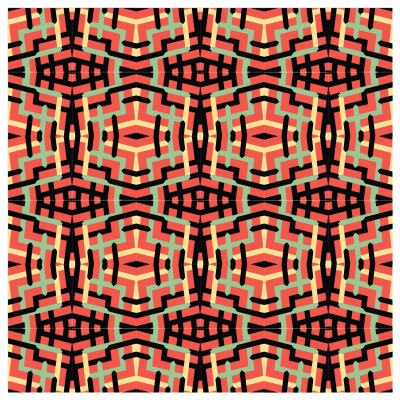 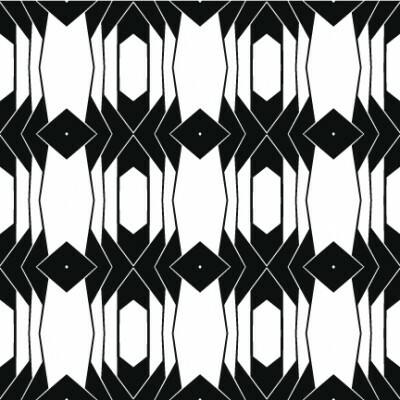 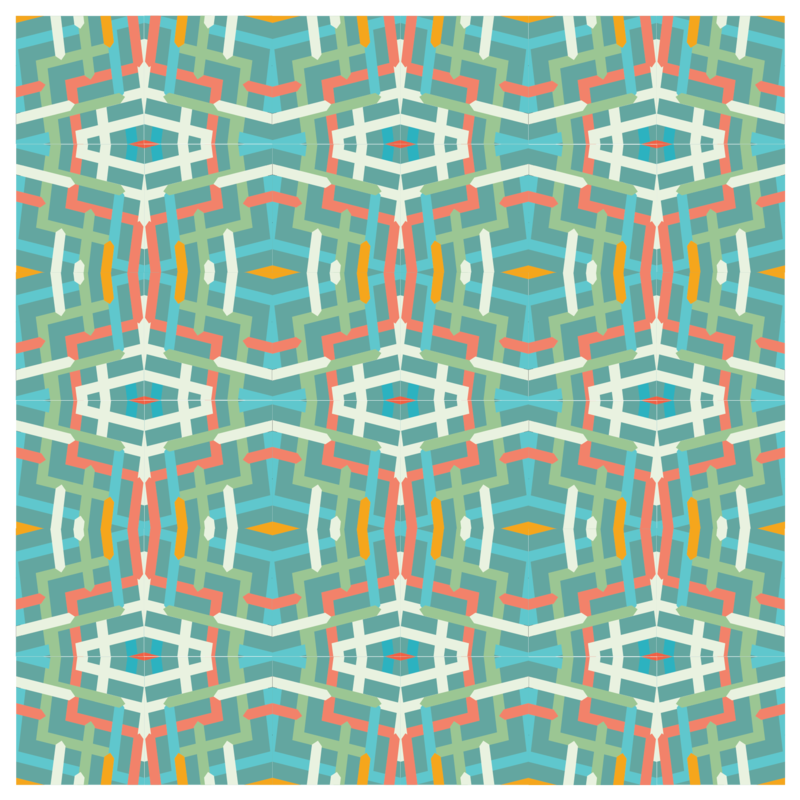 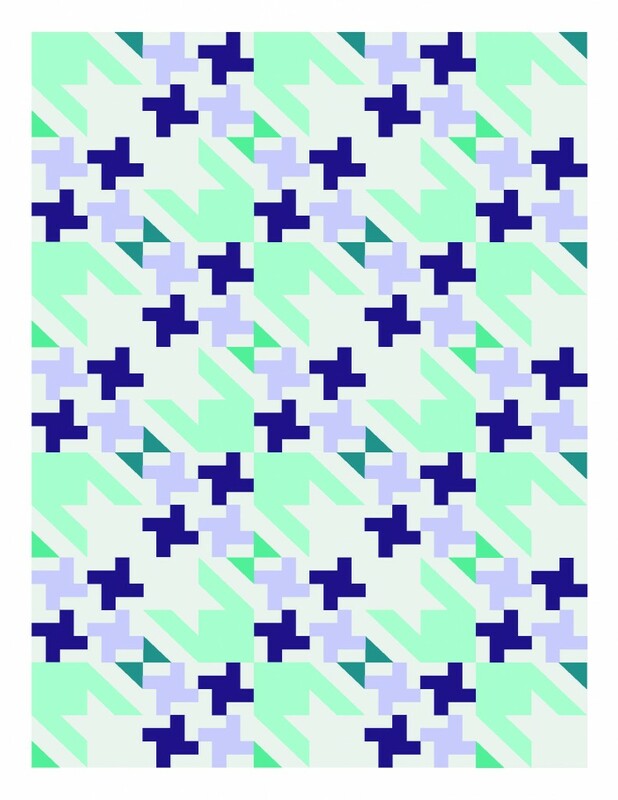 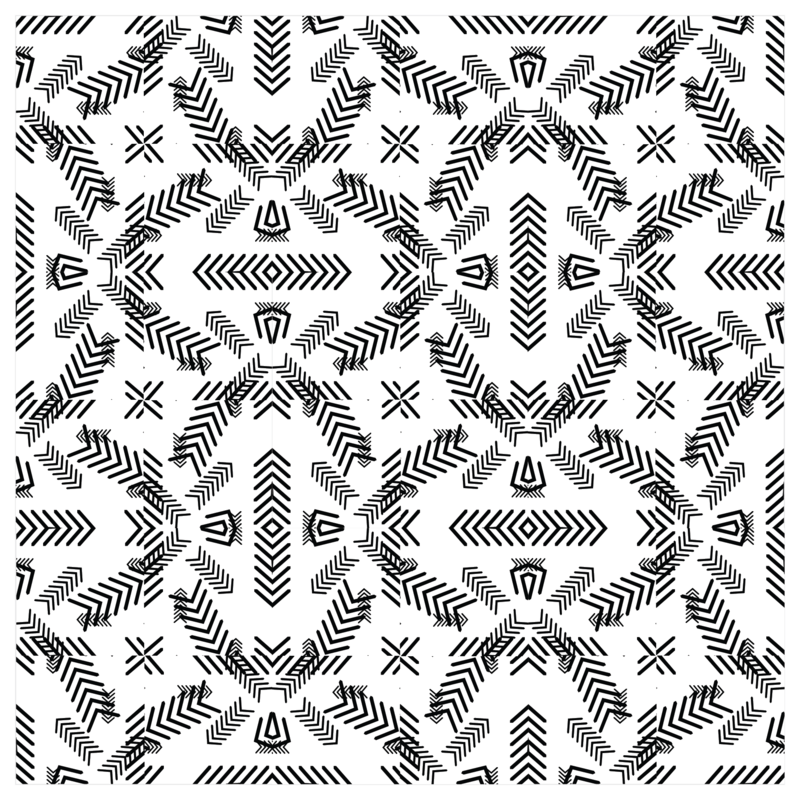 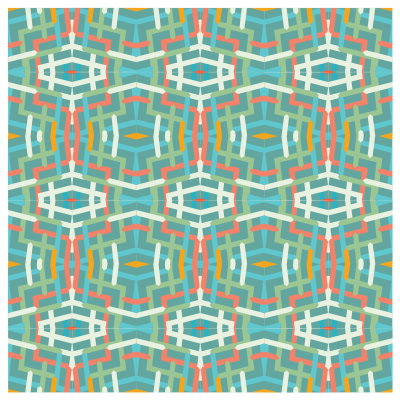 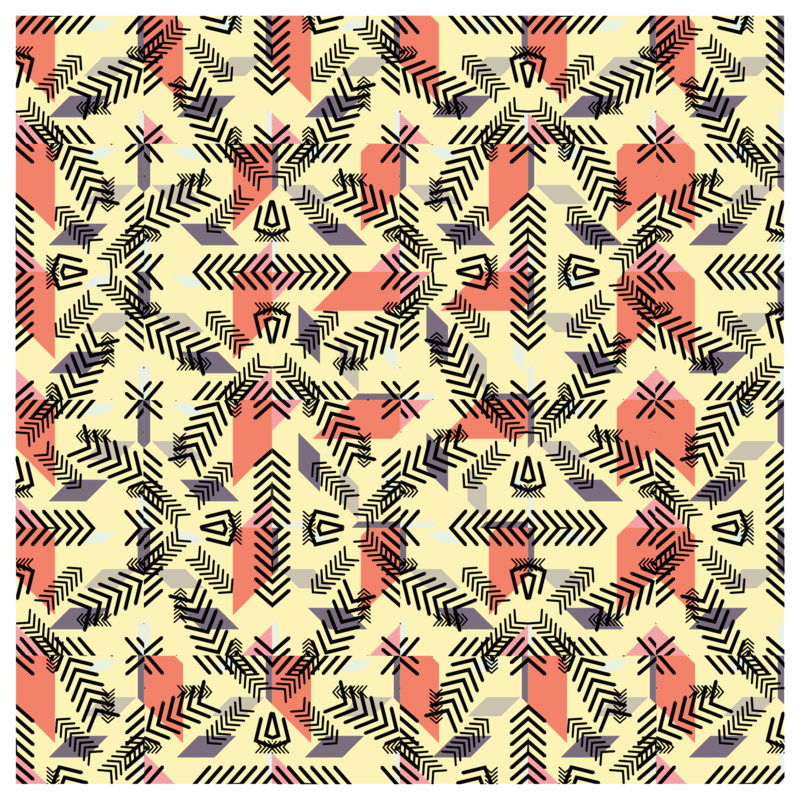 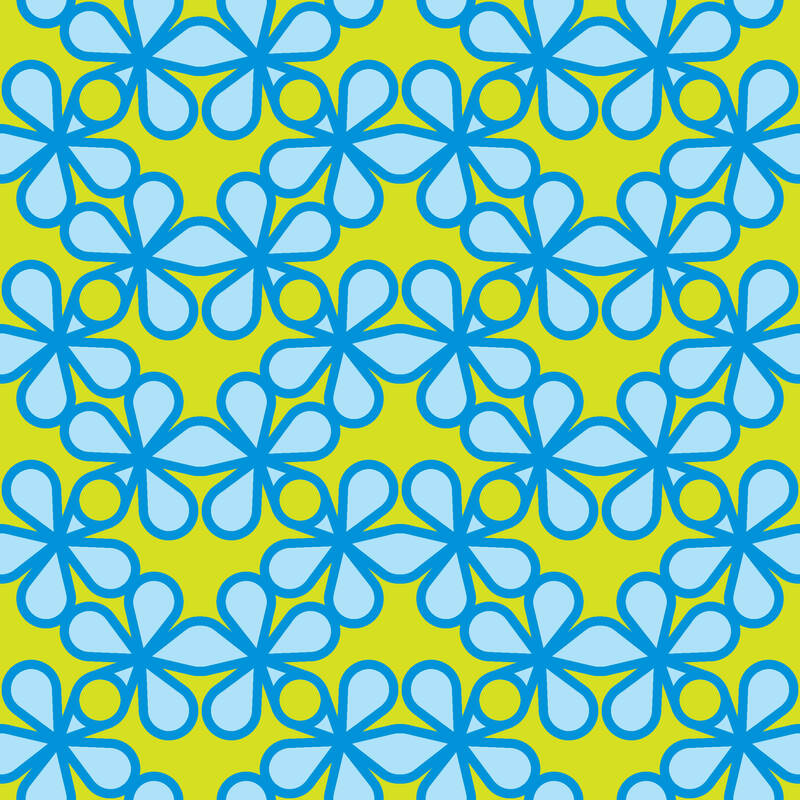 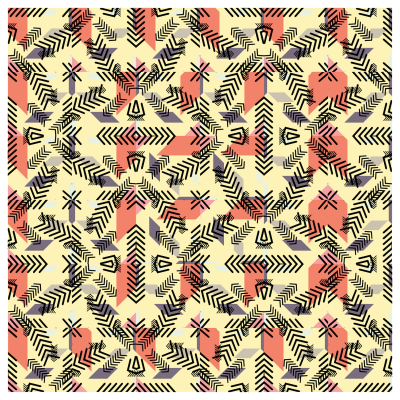 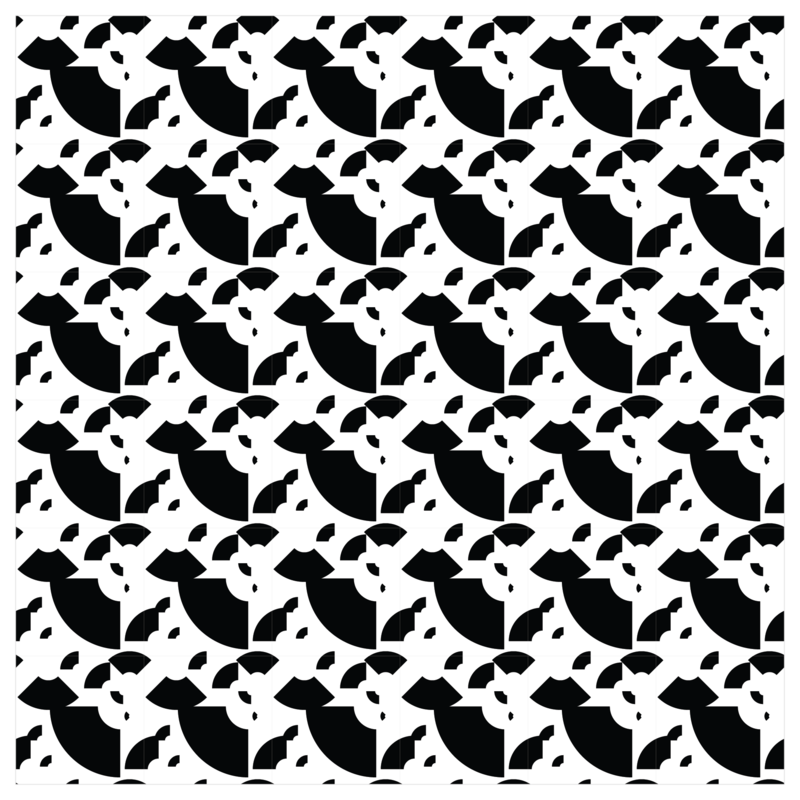 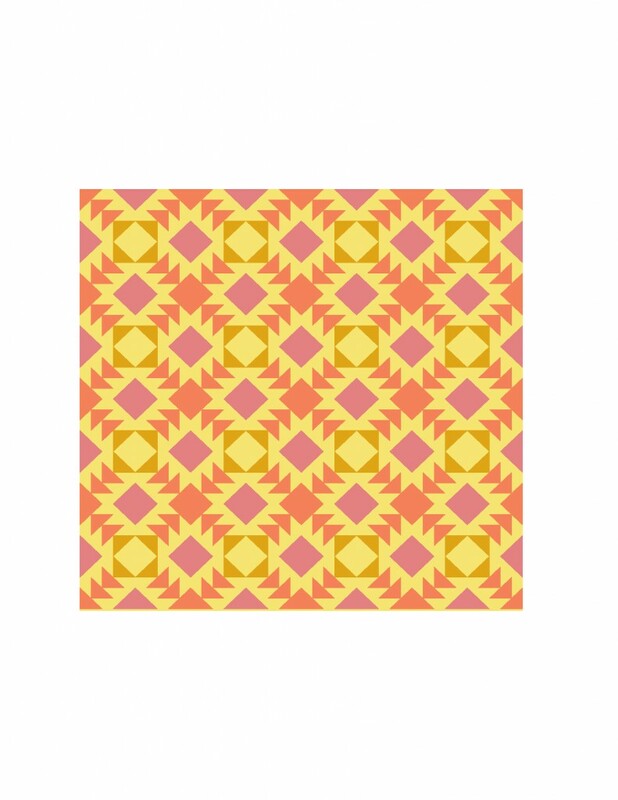 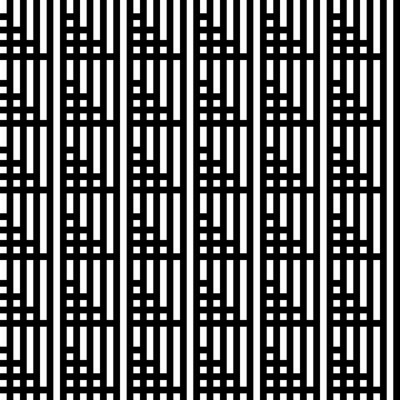 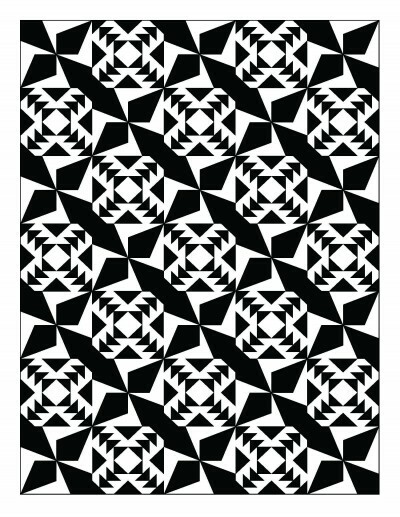 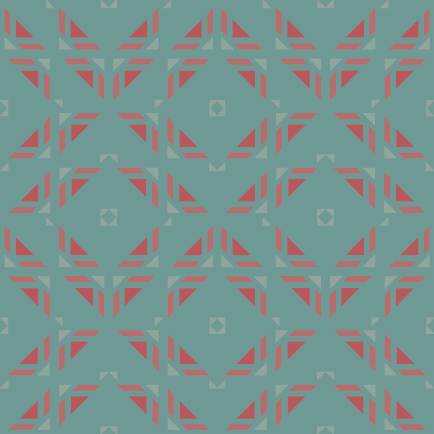 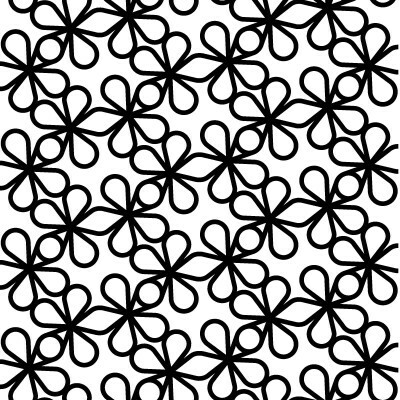 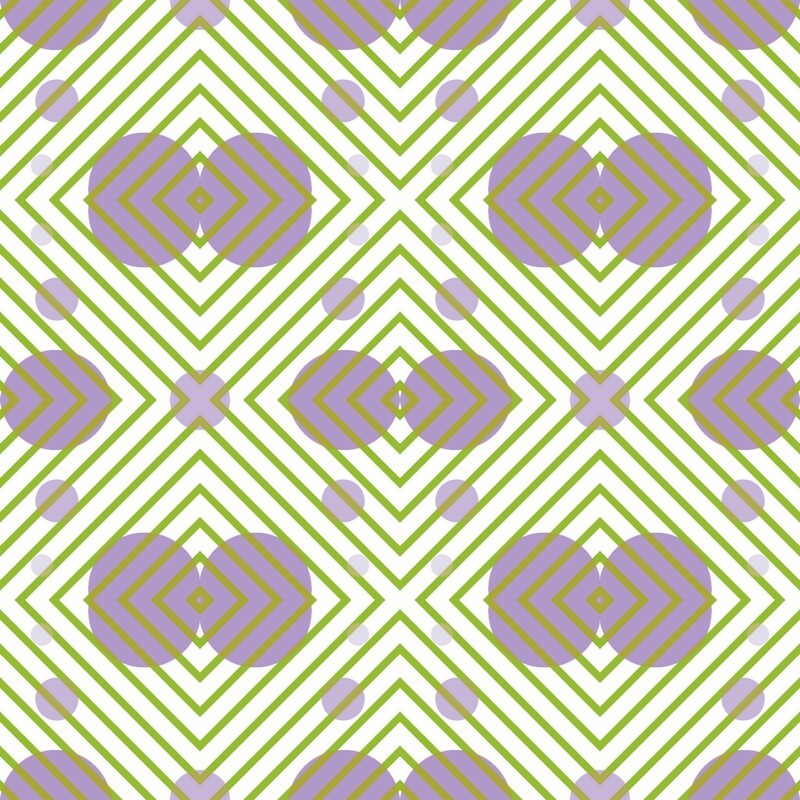 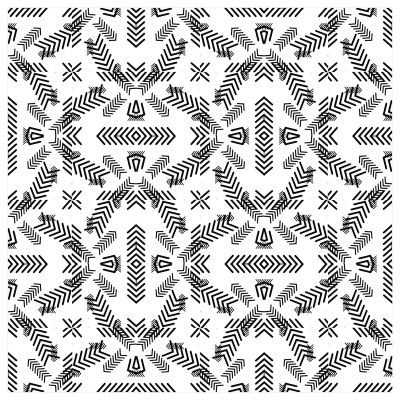 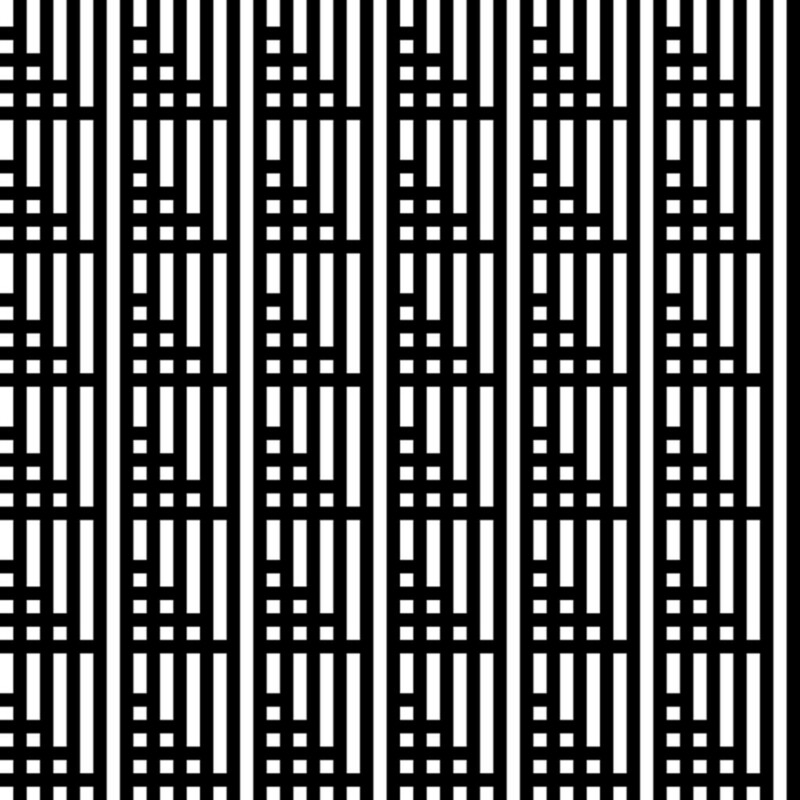 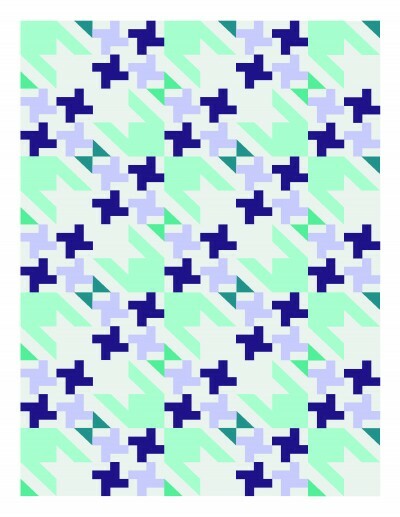 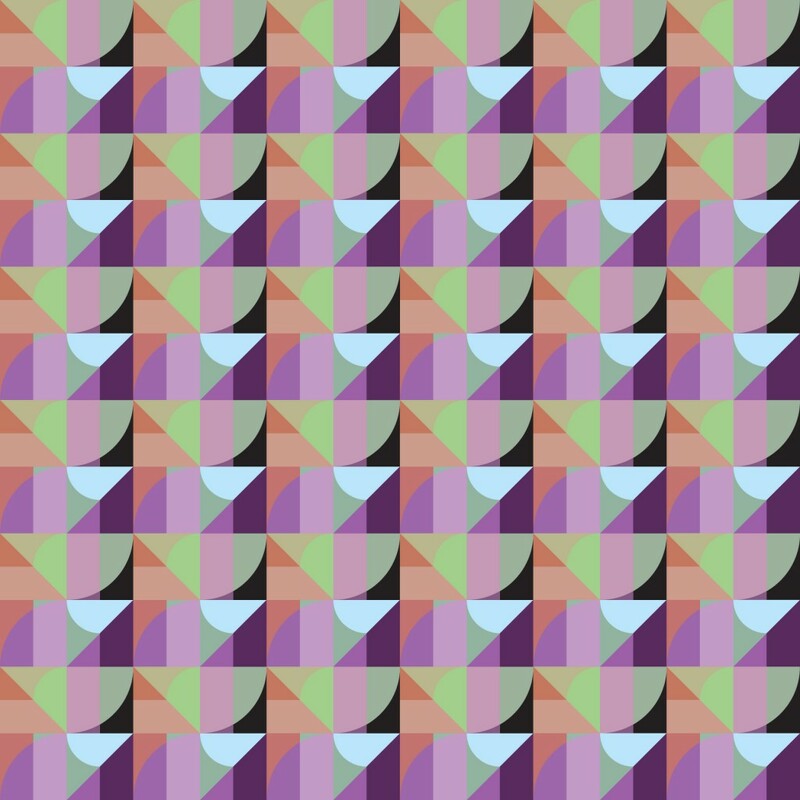 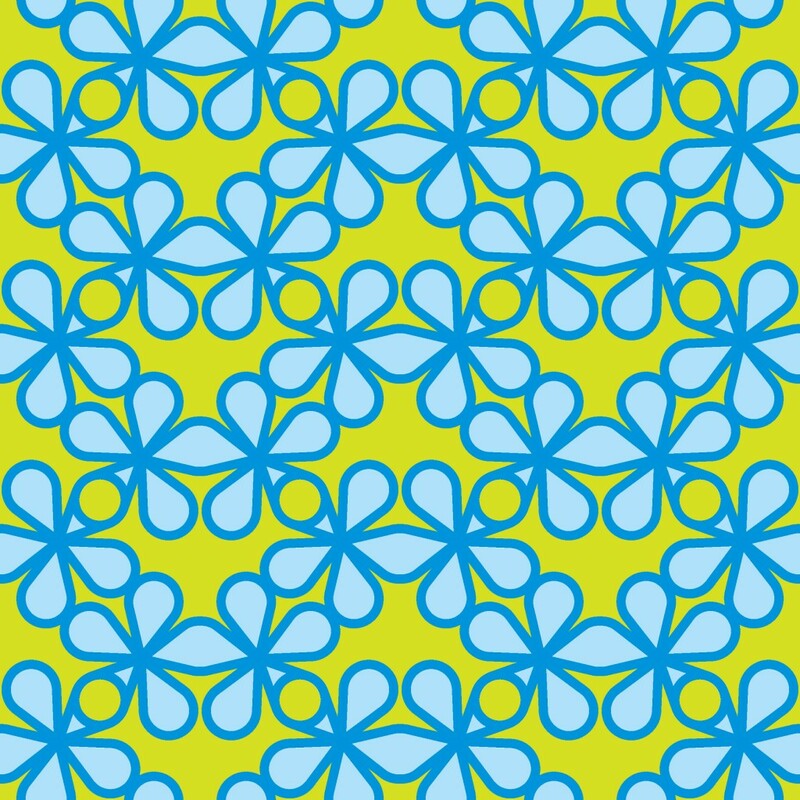 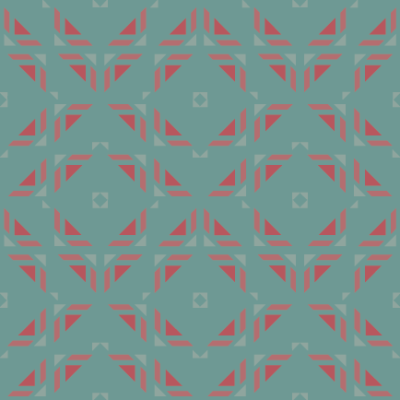 Pattern 3. 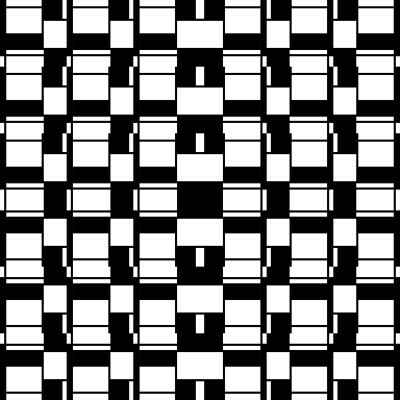 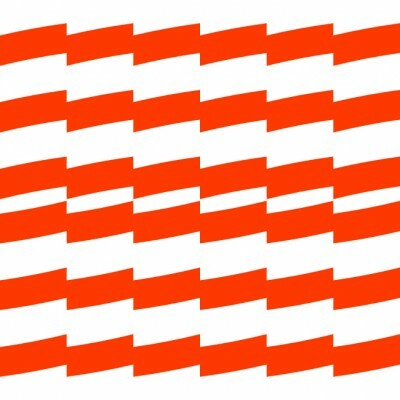 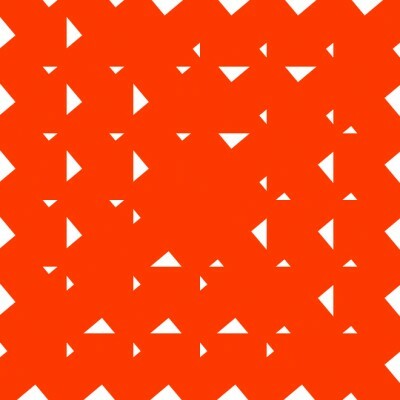 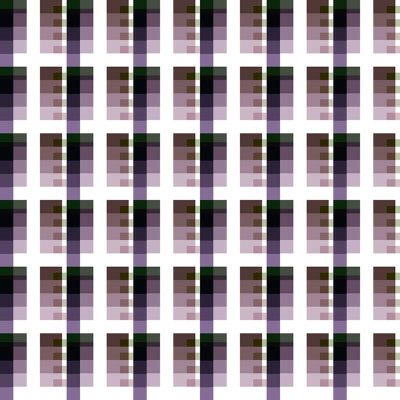 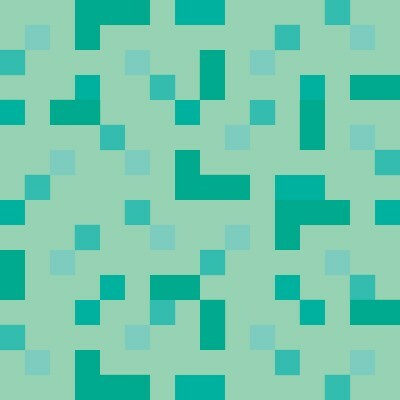 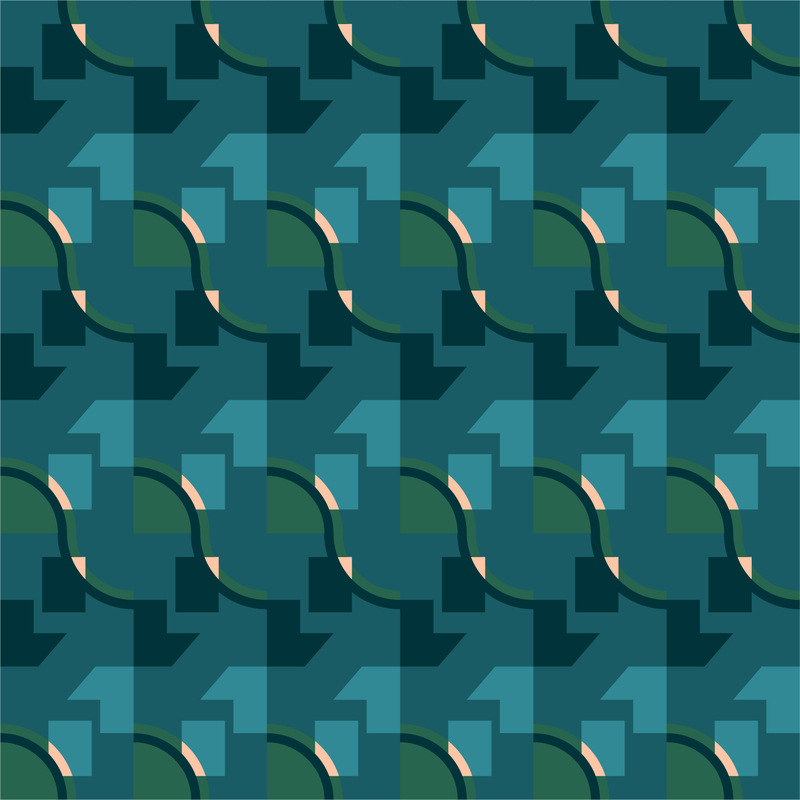 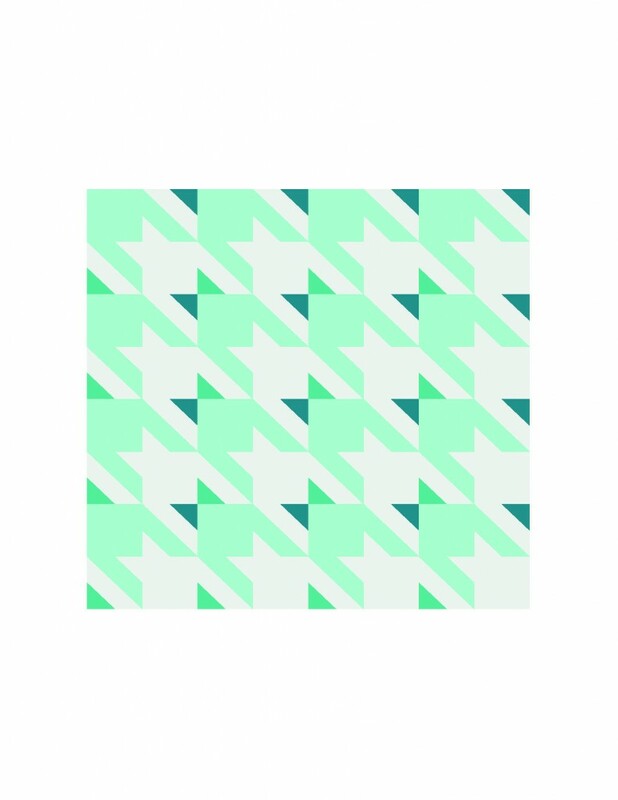 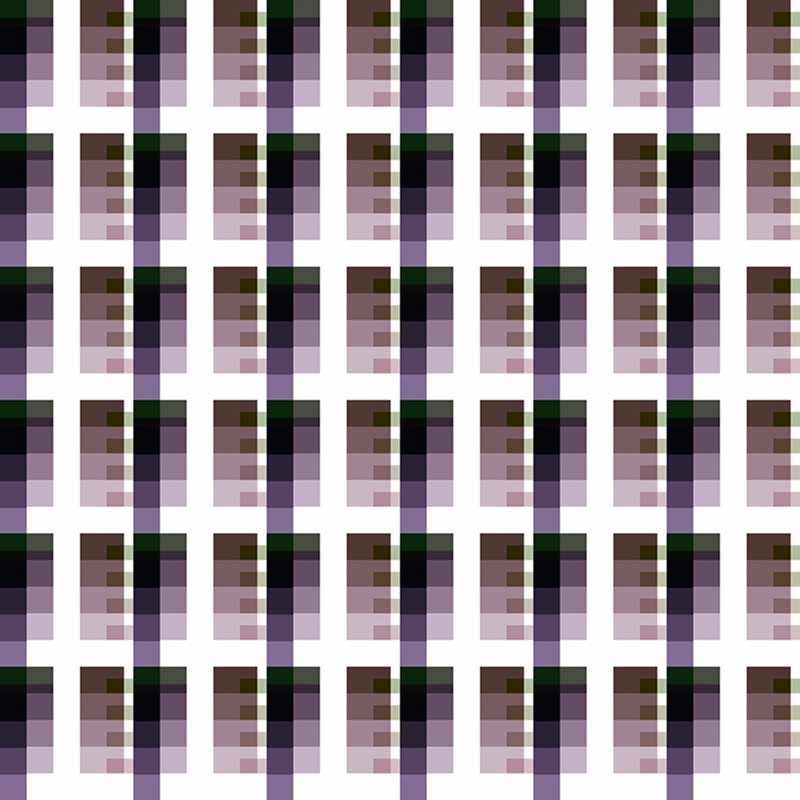 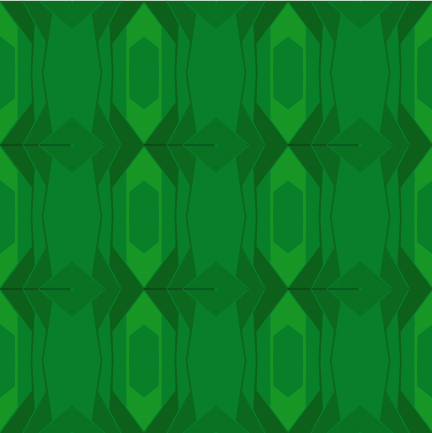 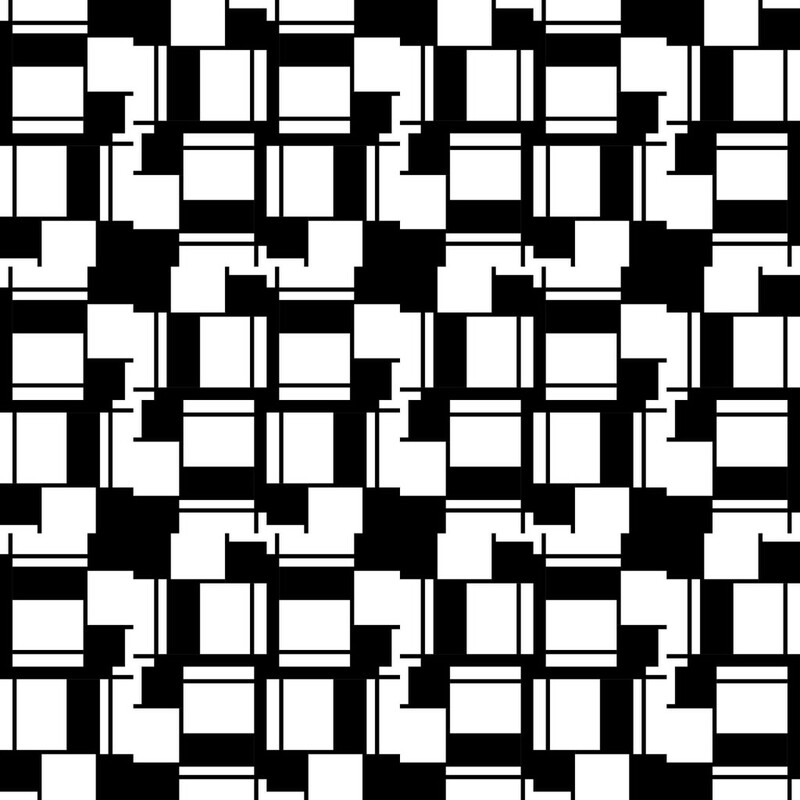 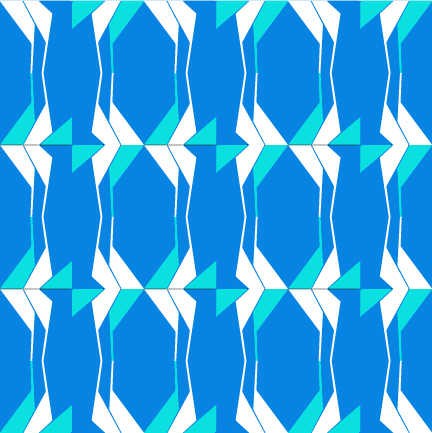 Alternating tiles are vertically refelected. 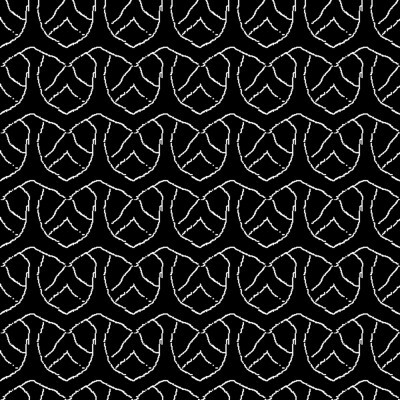 Rows alternate by 180 degree rotations. 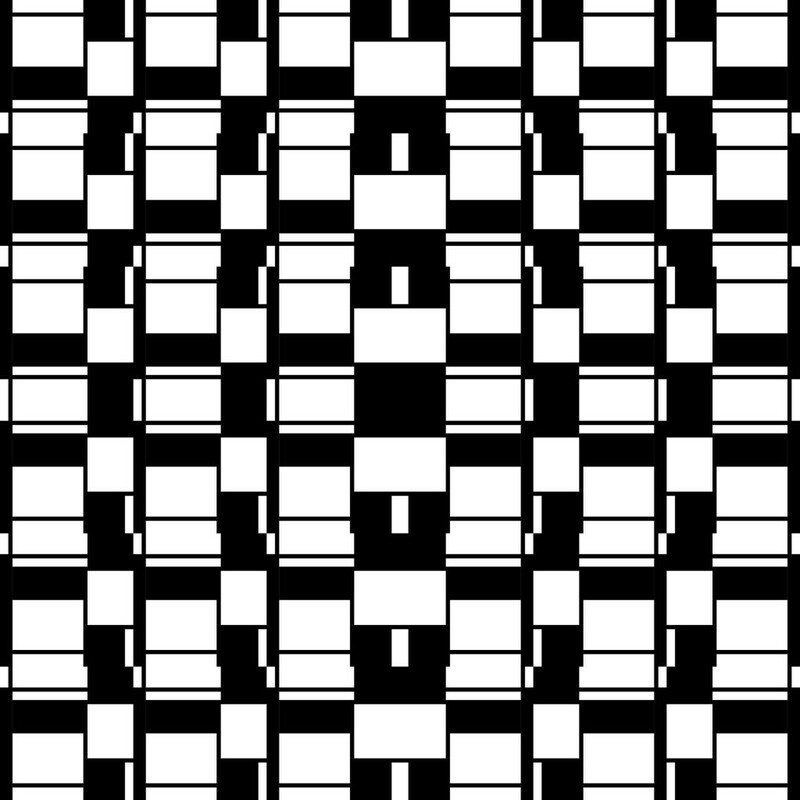 Alternating tiles are vertically refelected. 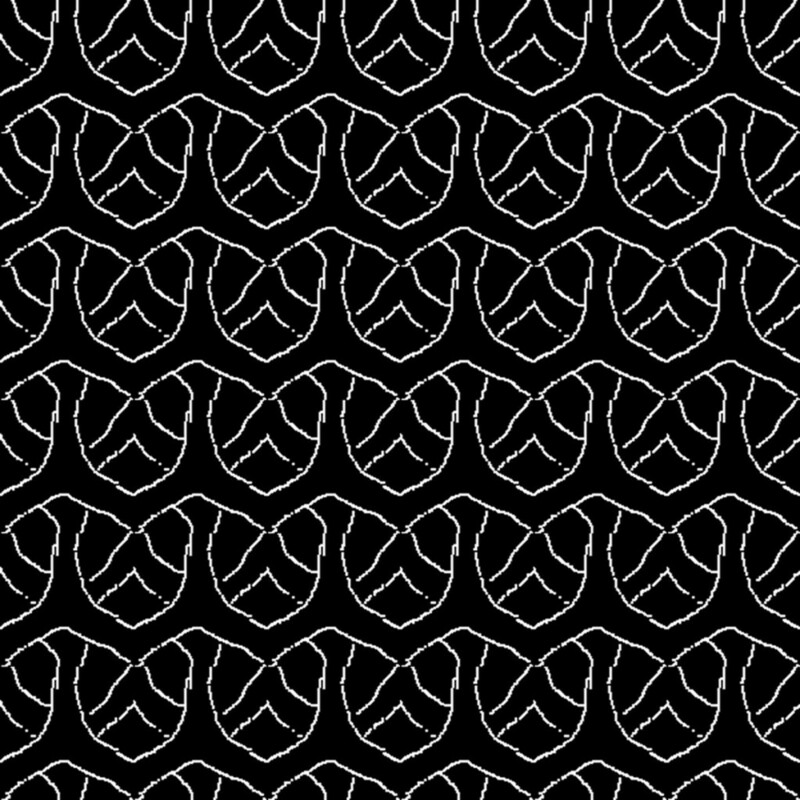 Rows alternate by 180 degree rotations. 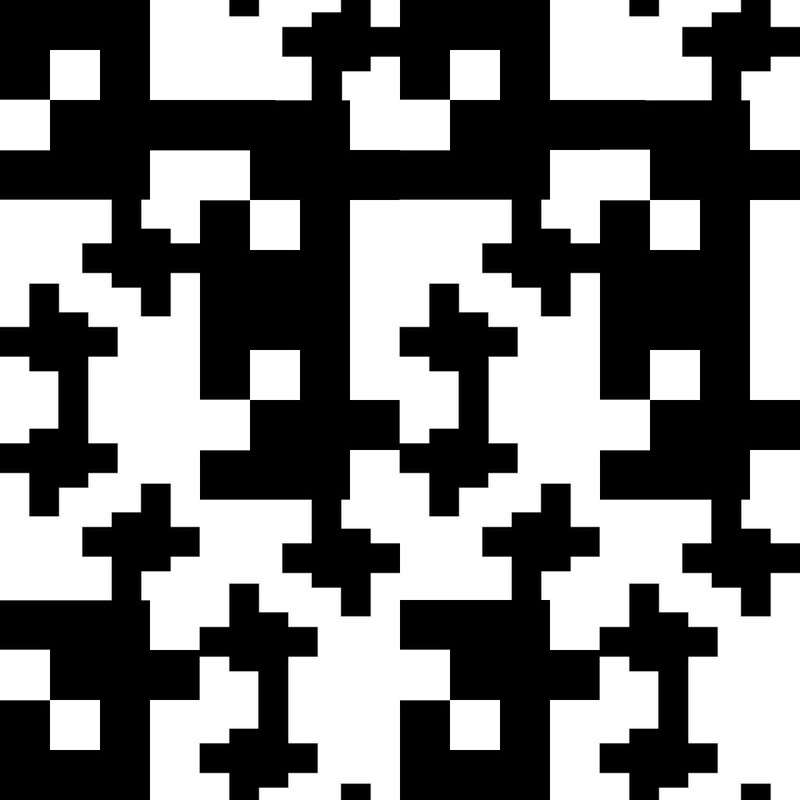 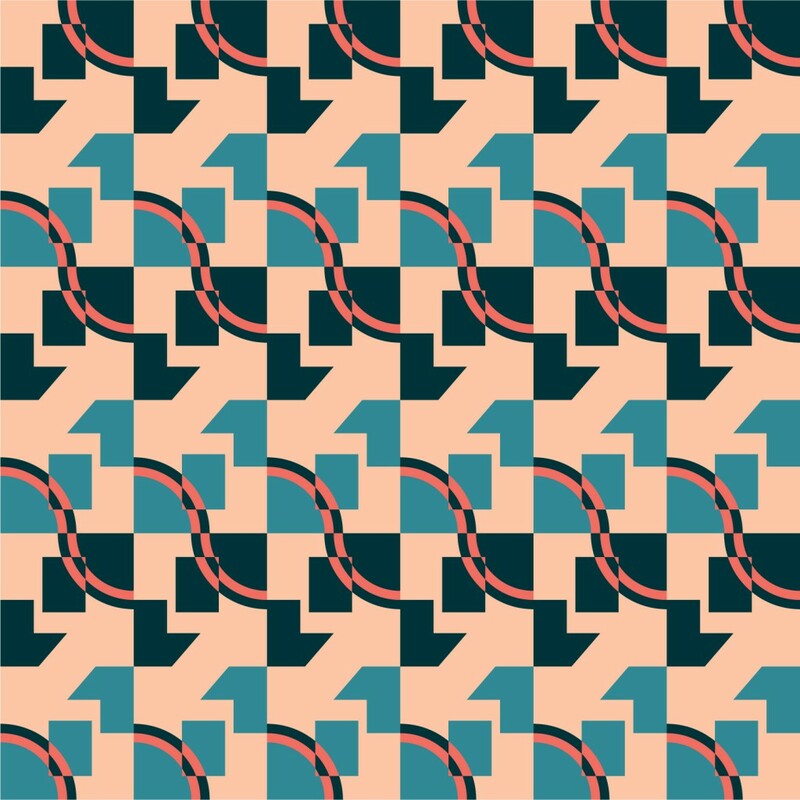 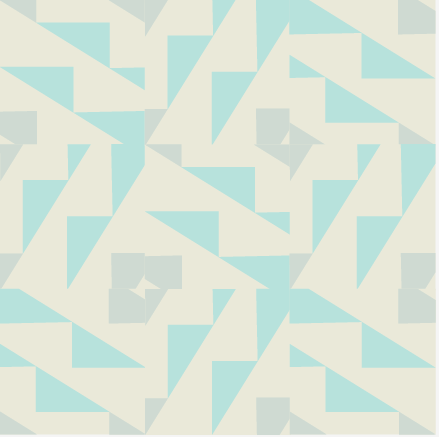 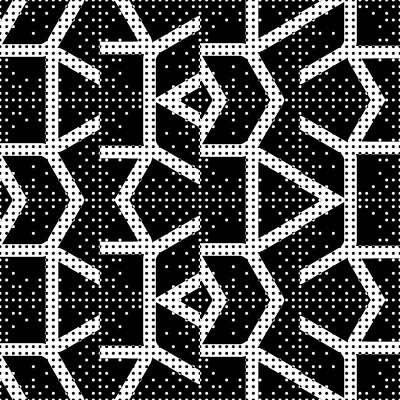 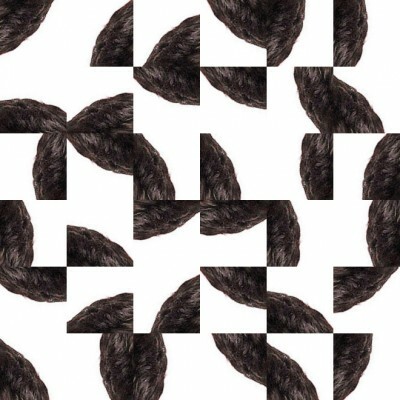 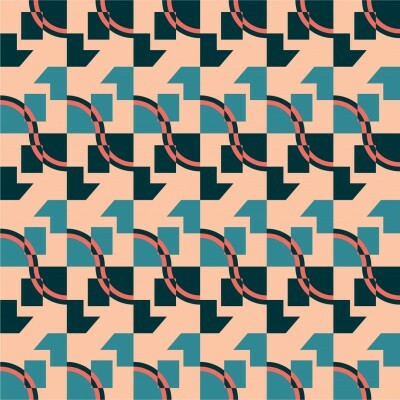 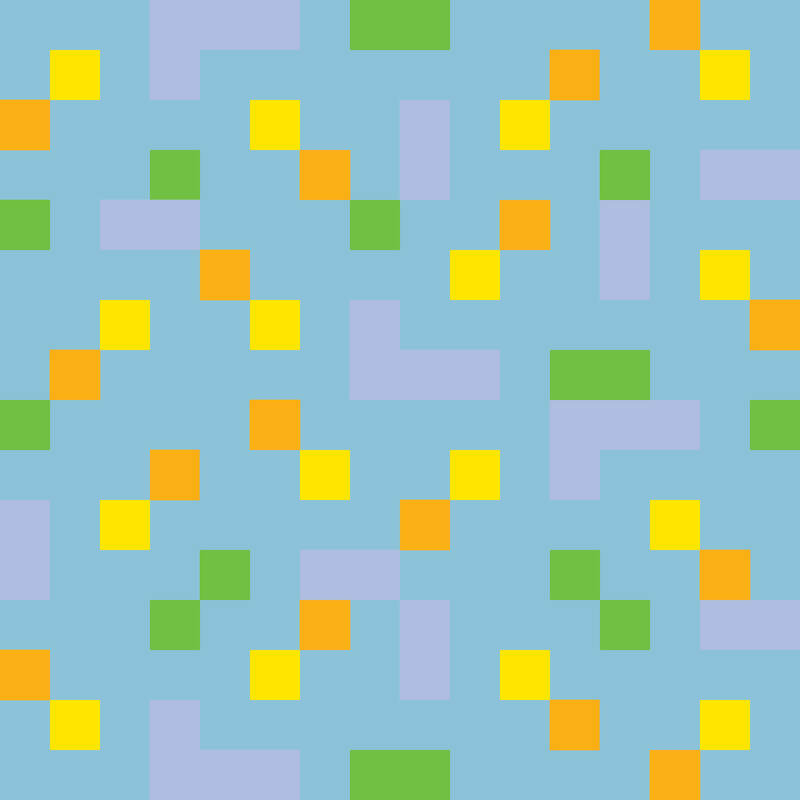 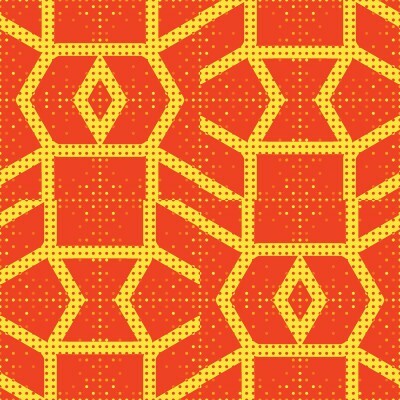 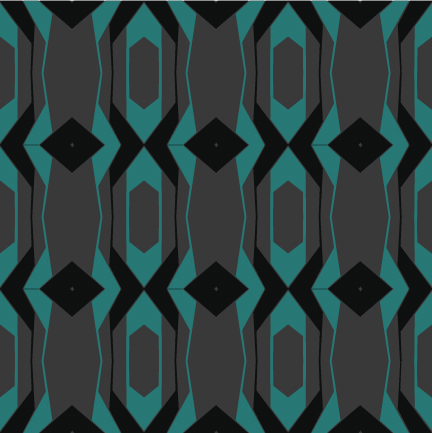 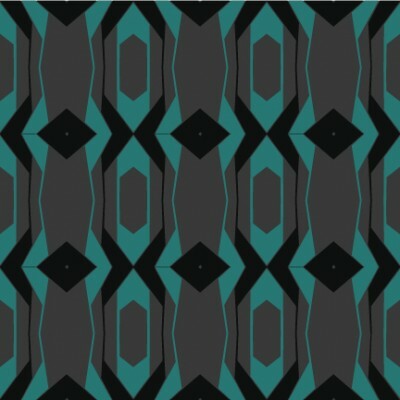 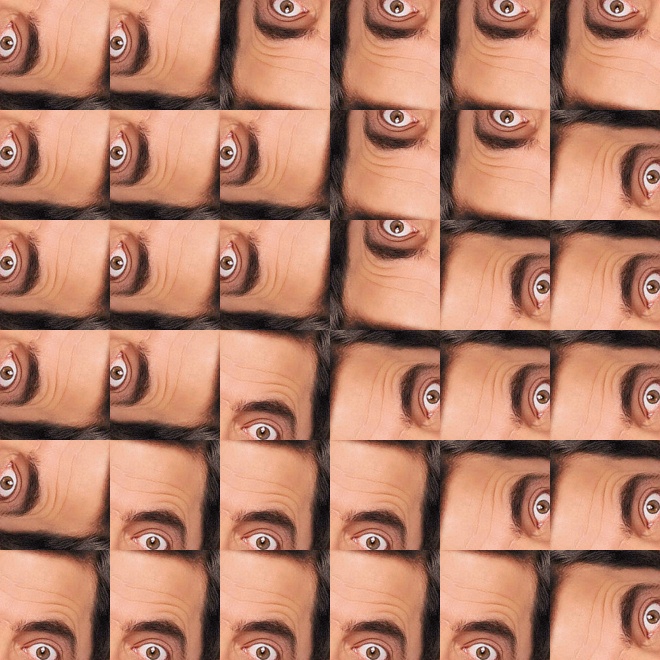 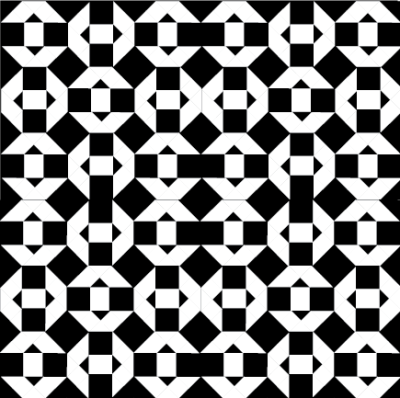 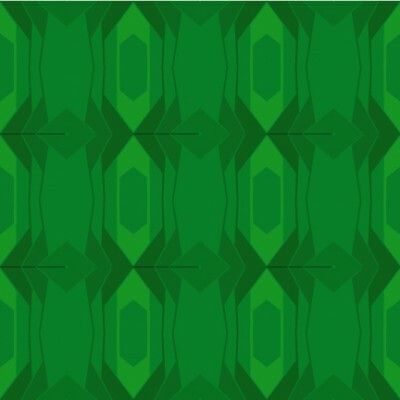 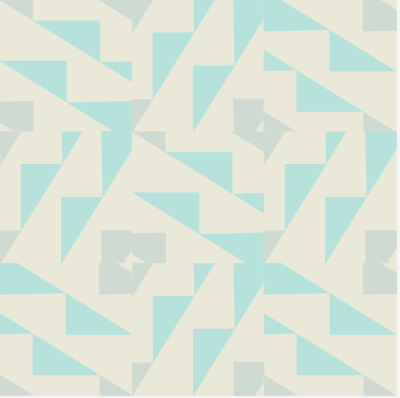 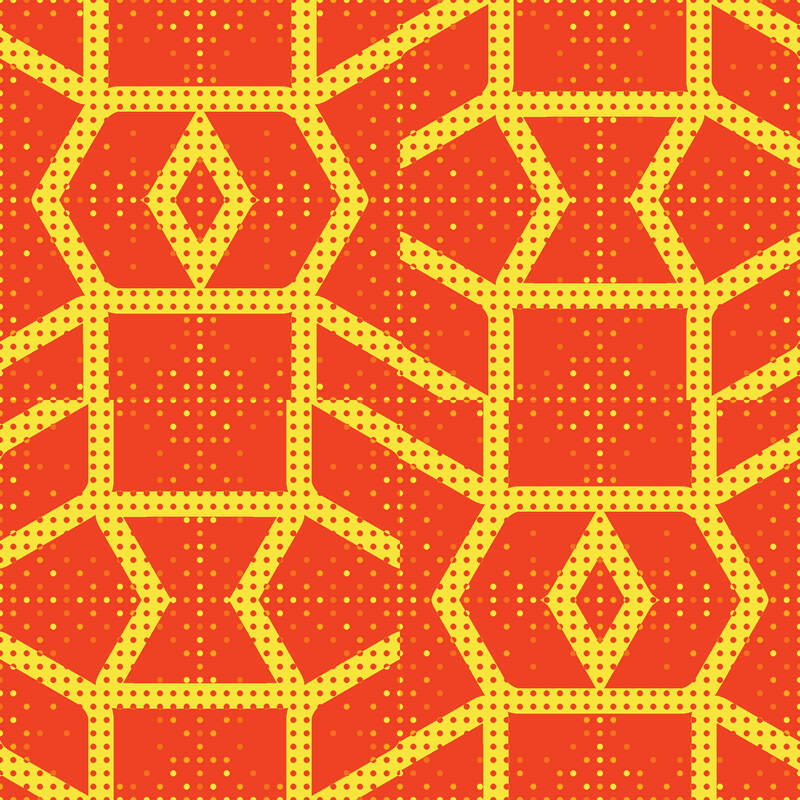 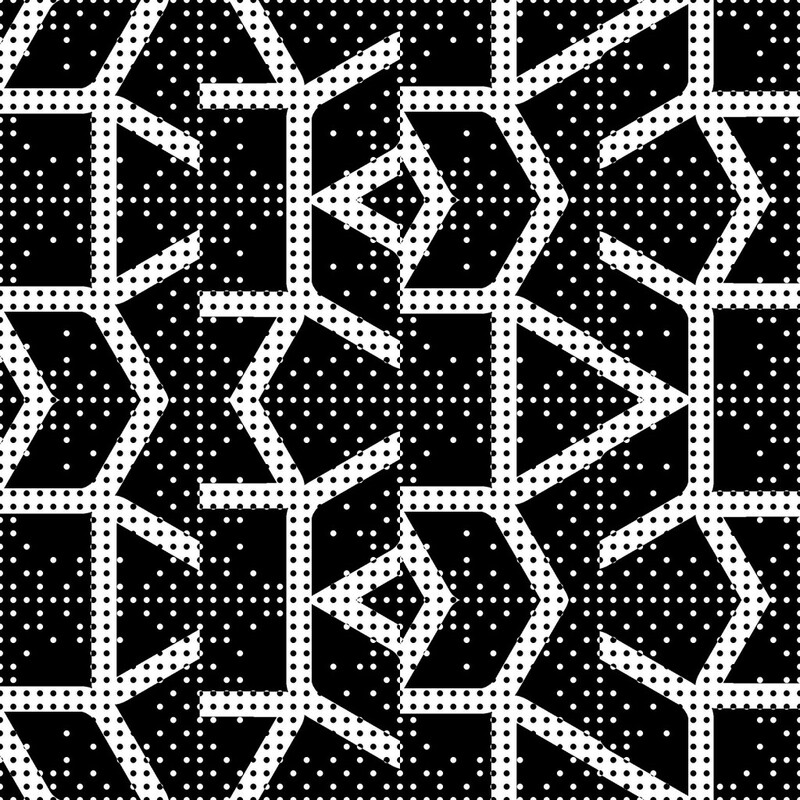 Pattern 2. Every other column is verticaly refelcted. 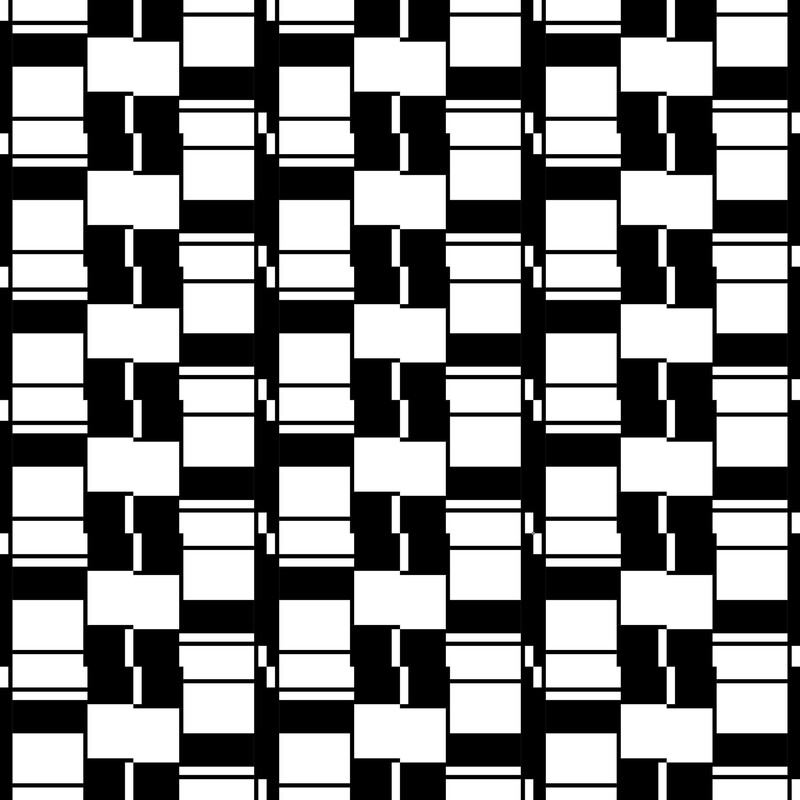 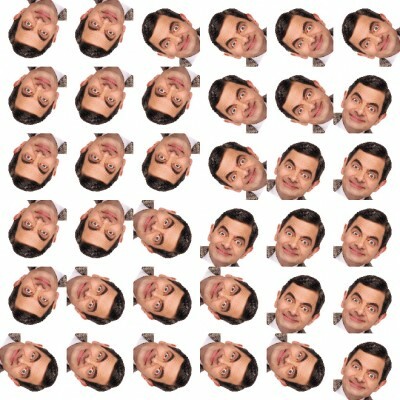 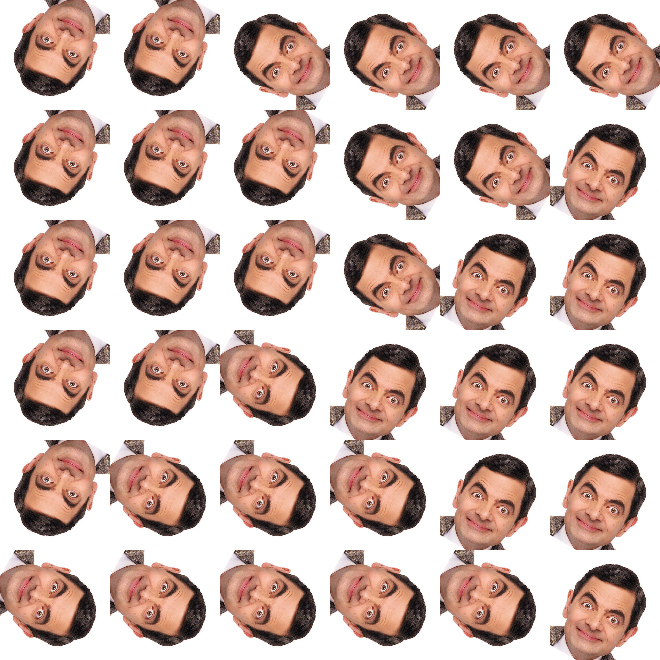 Every other row is rotated 180 degrees. 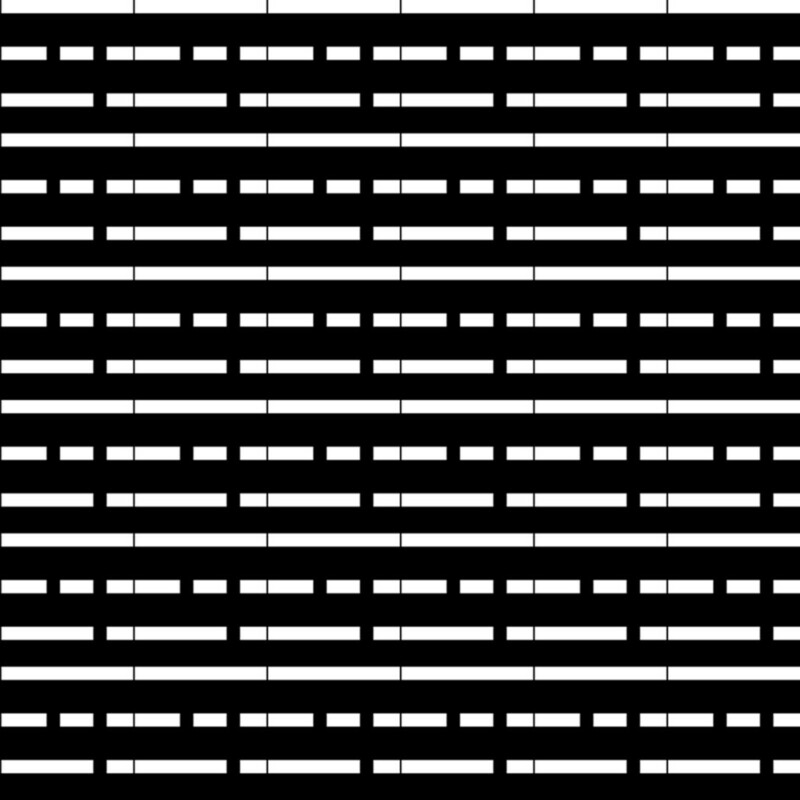 Every other column is verticaly refelcted. 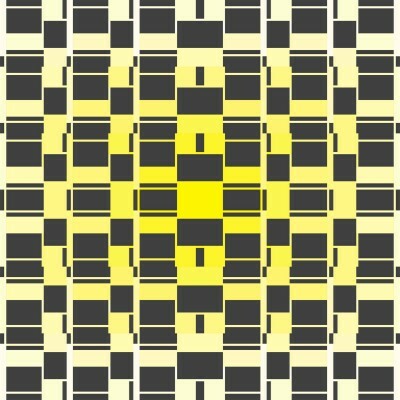 Every other row is rotated 180 degrees. 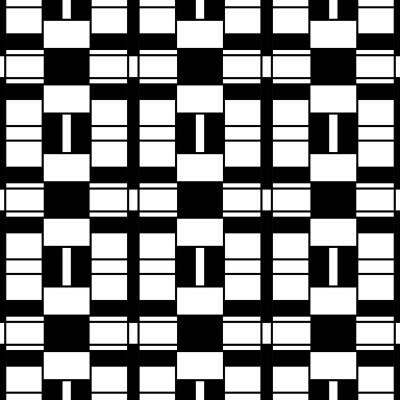 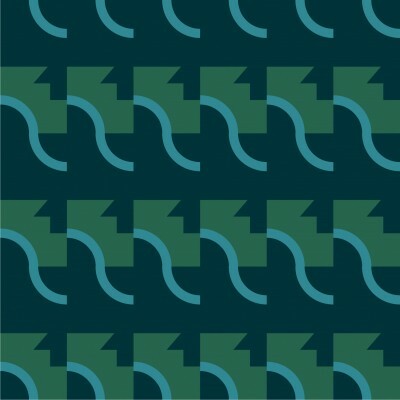 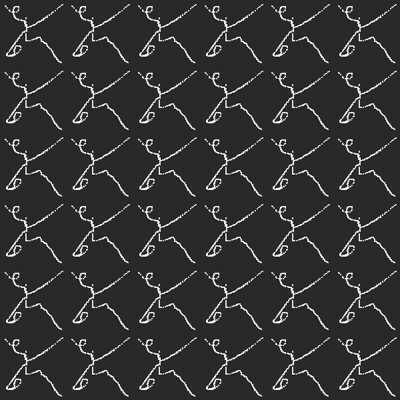 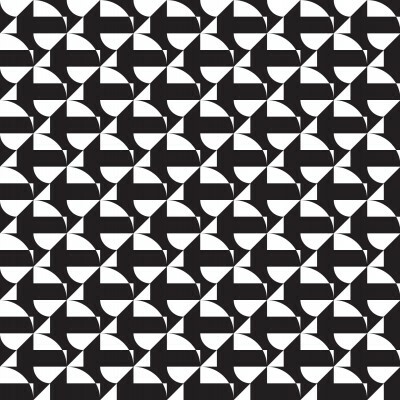 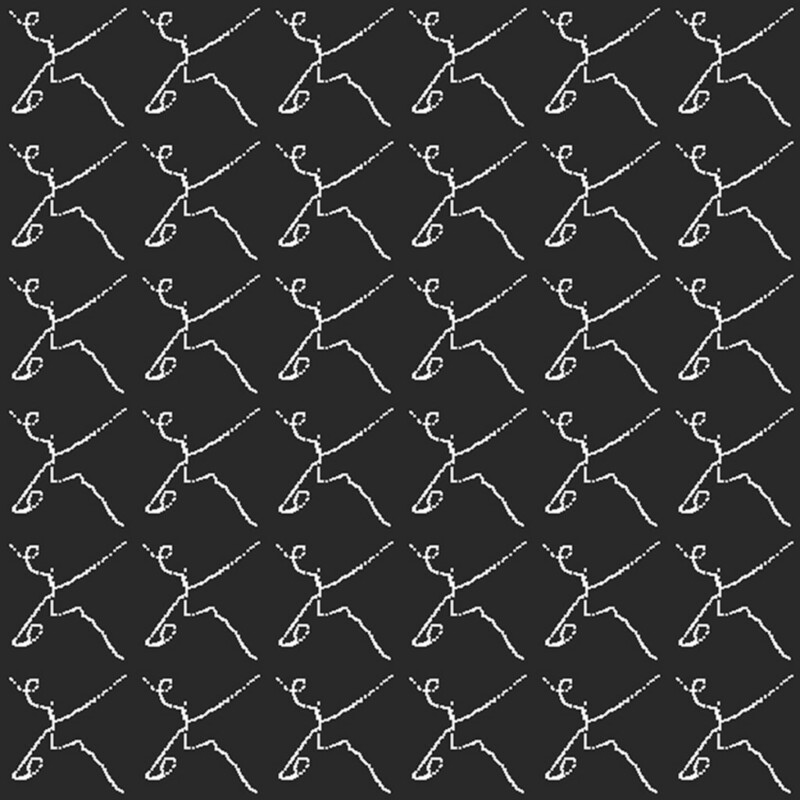 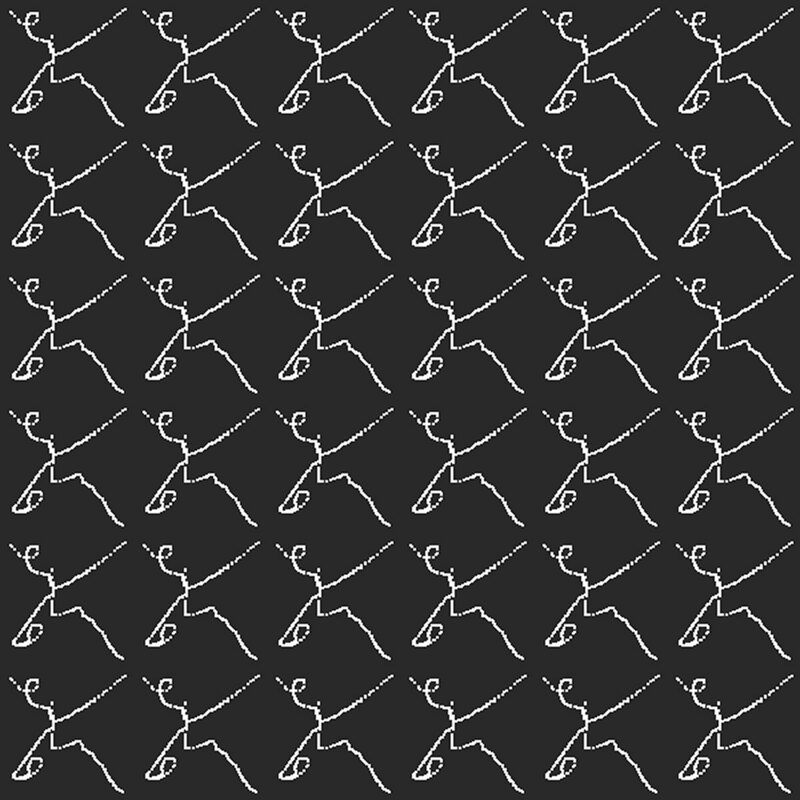 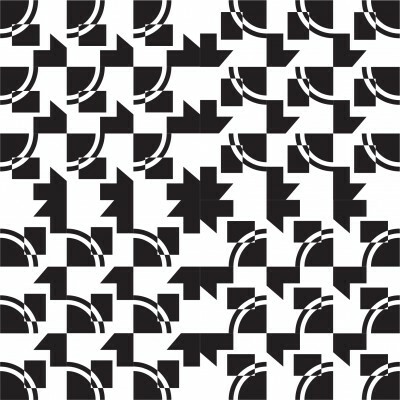 Pattern 1. 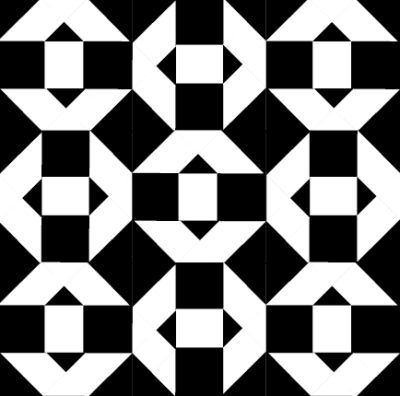 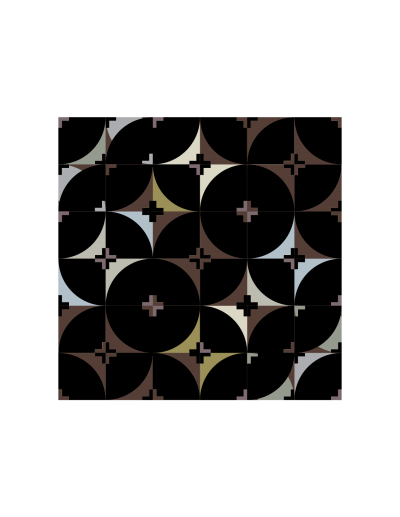 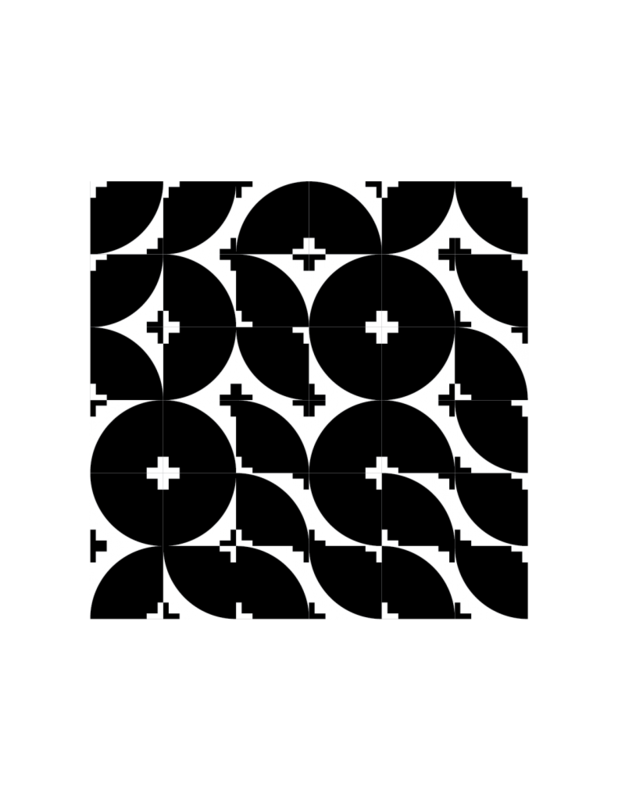 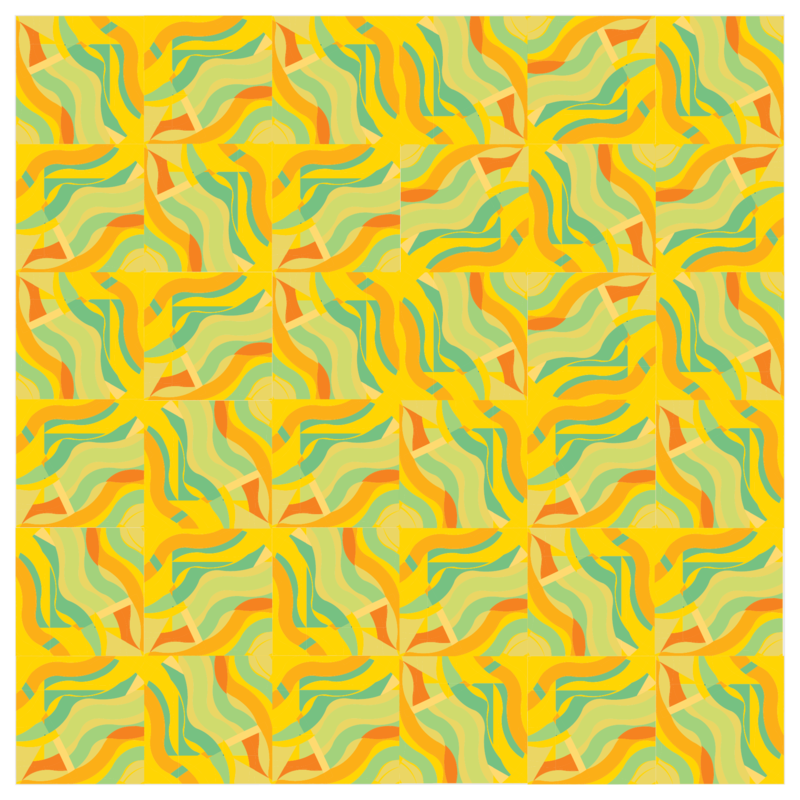 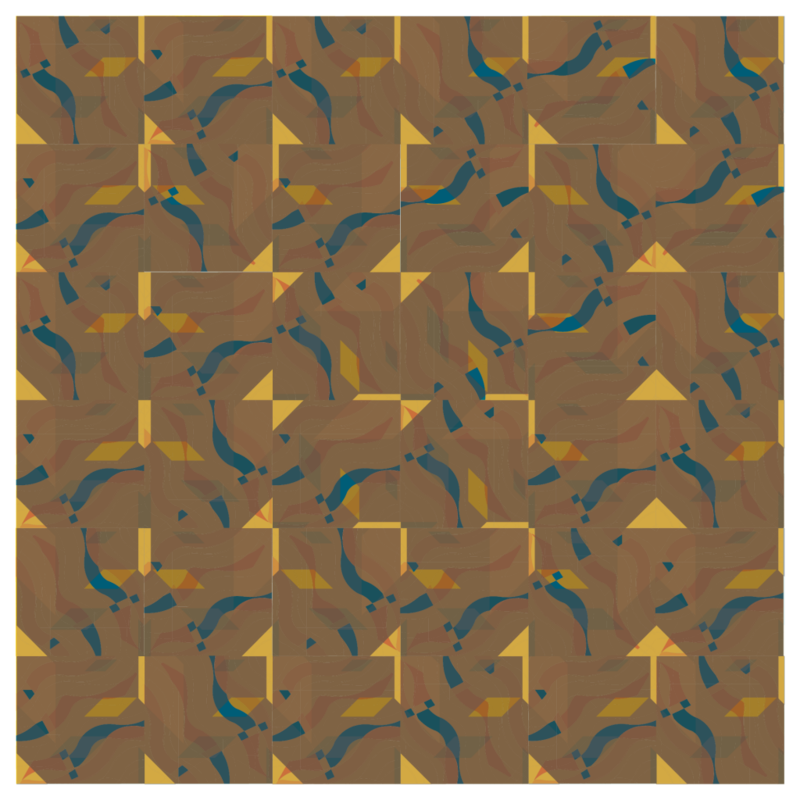 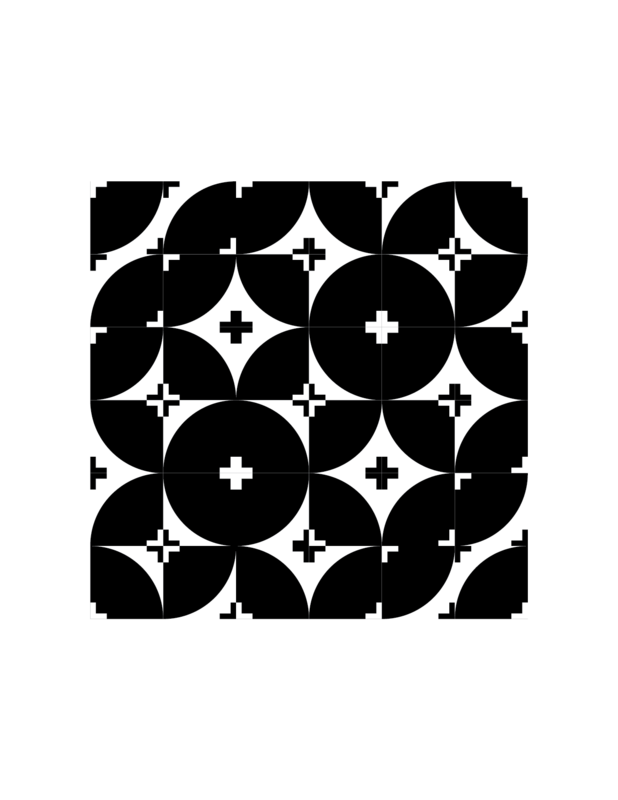 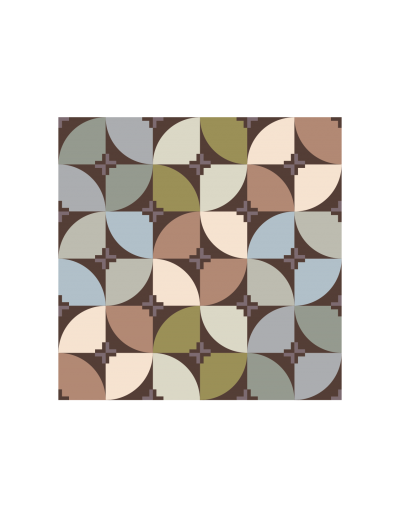 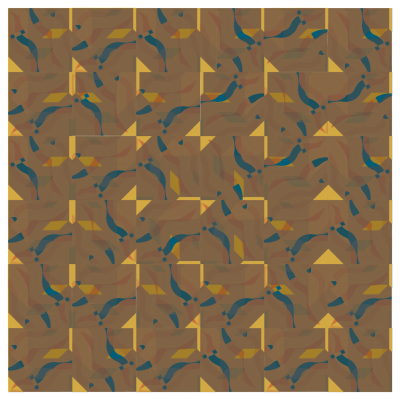 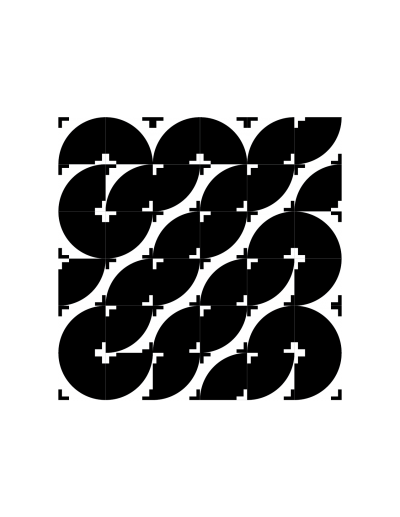 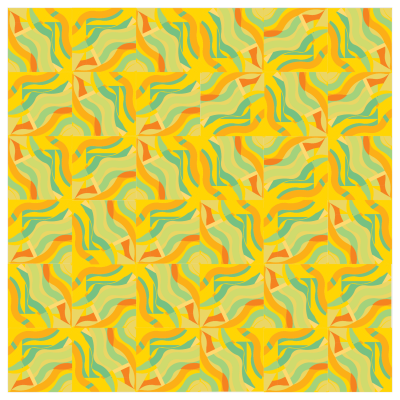 Tile to right has one more clockwise rotation. Tile to right has one more clockwise rotation.